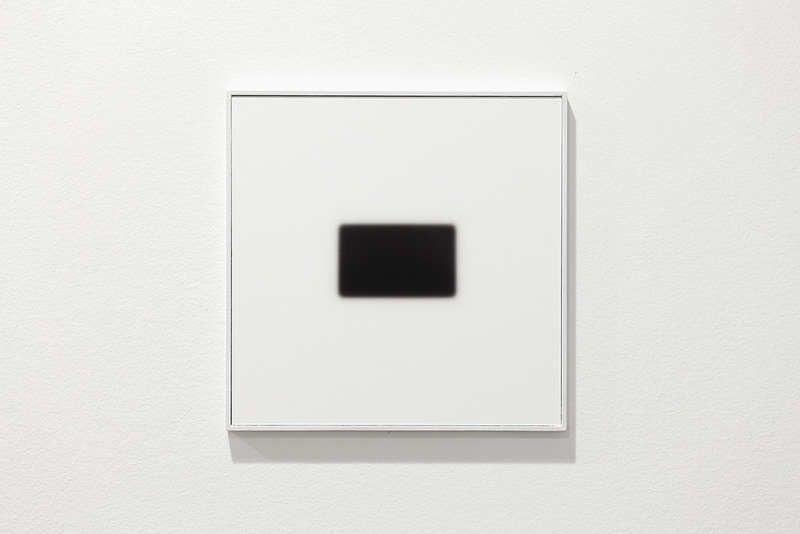 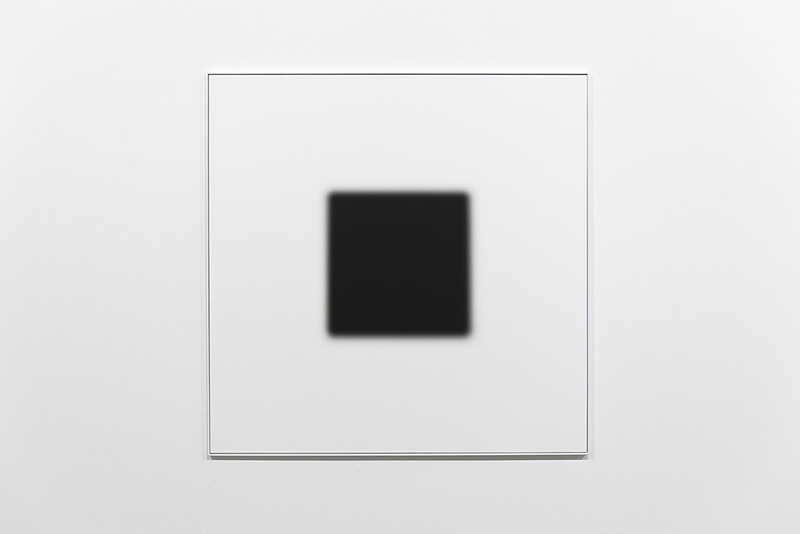 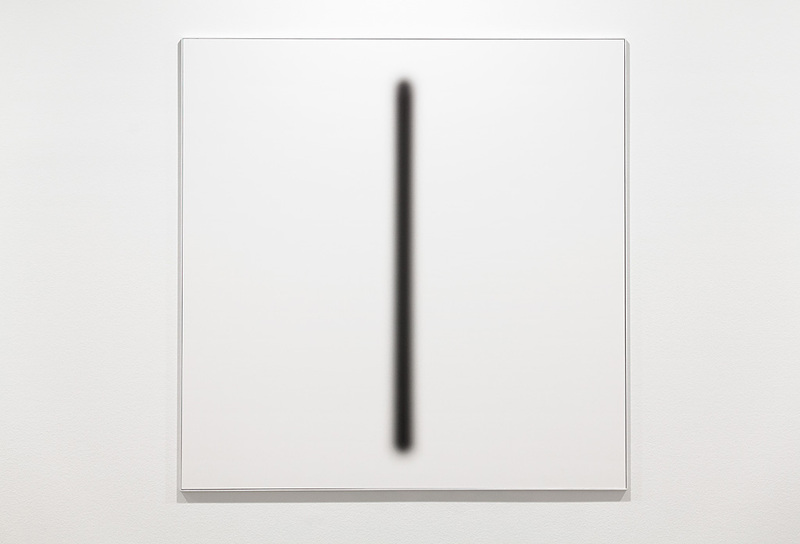 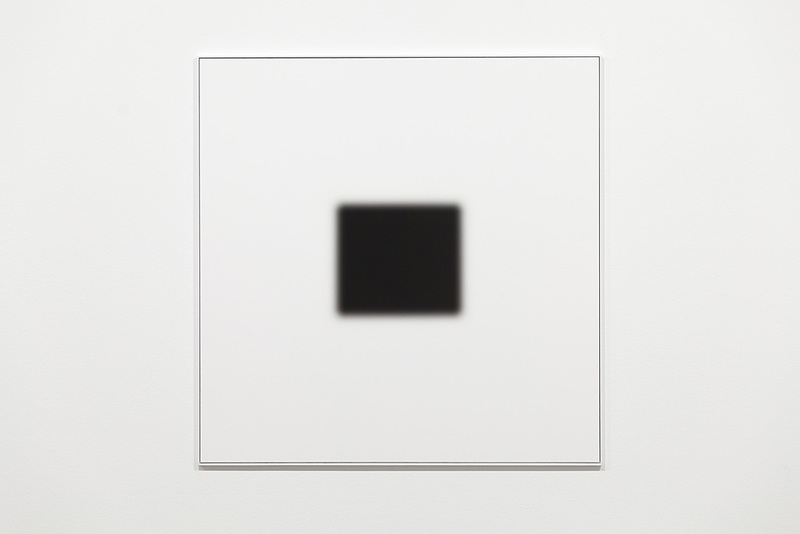 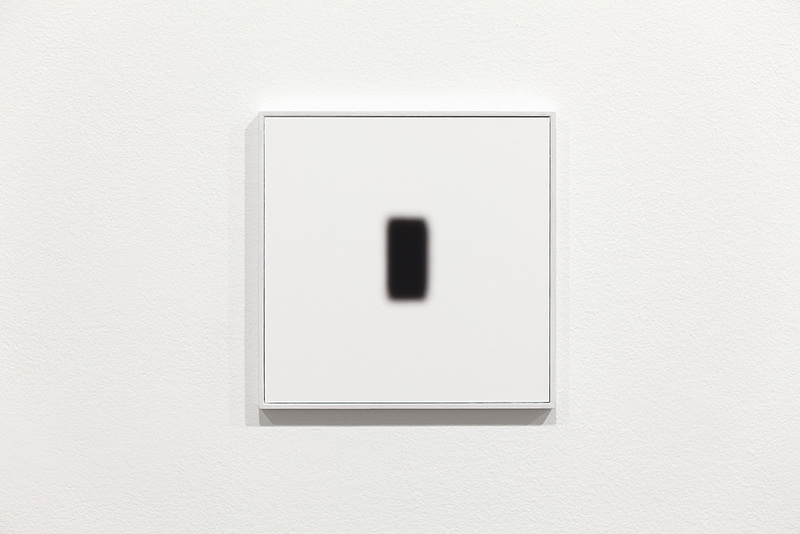 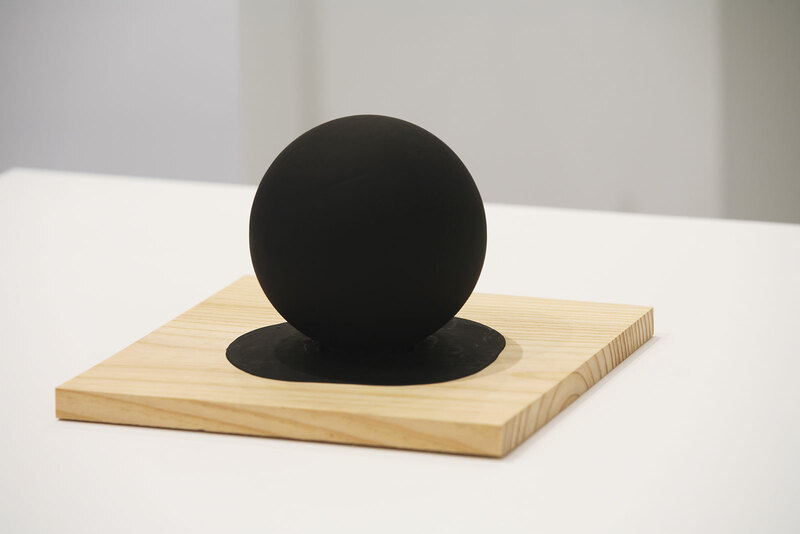 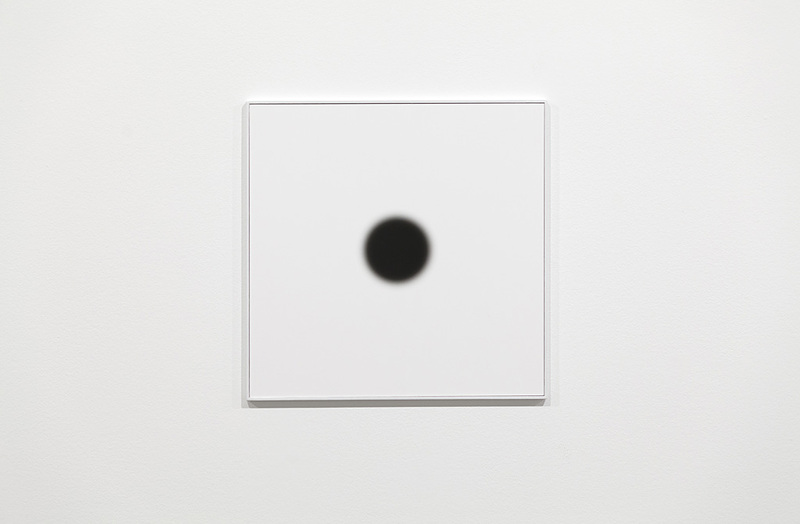 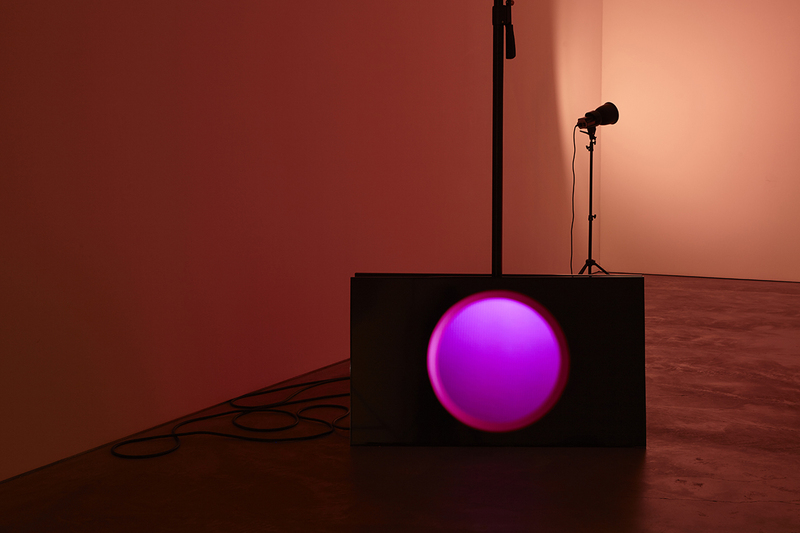 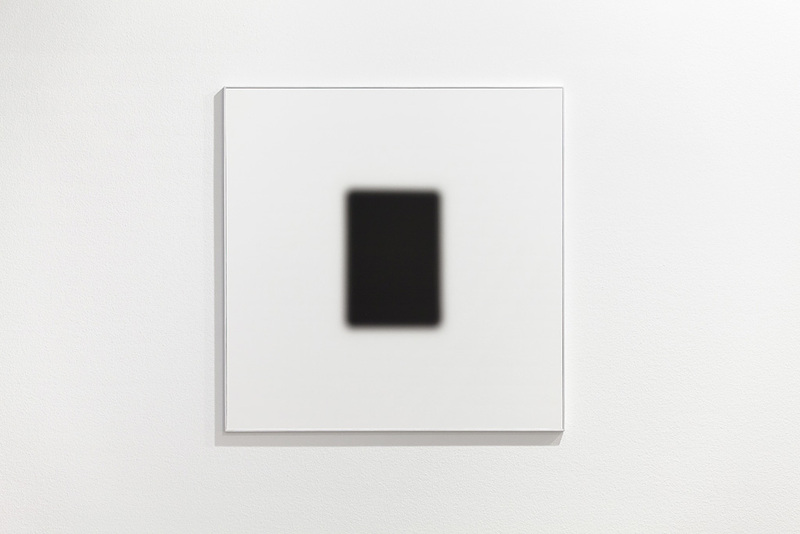 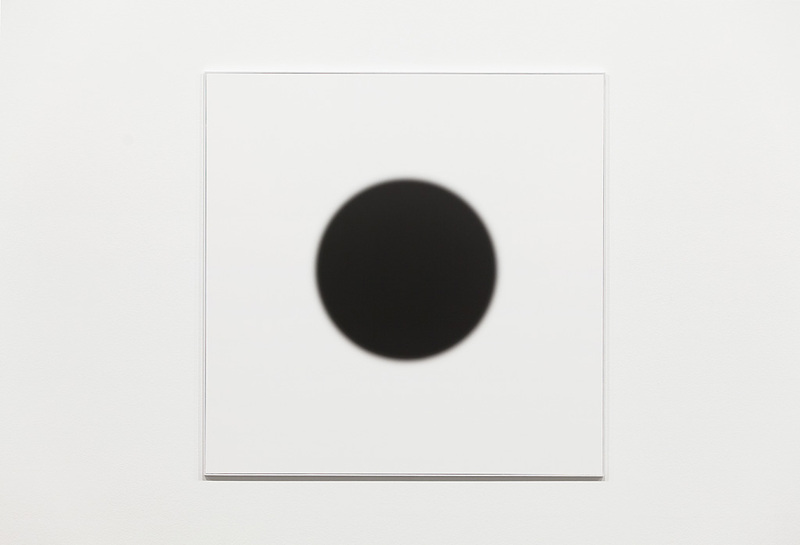 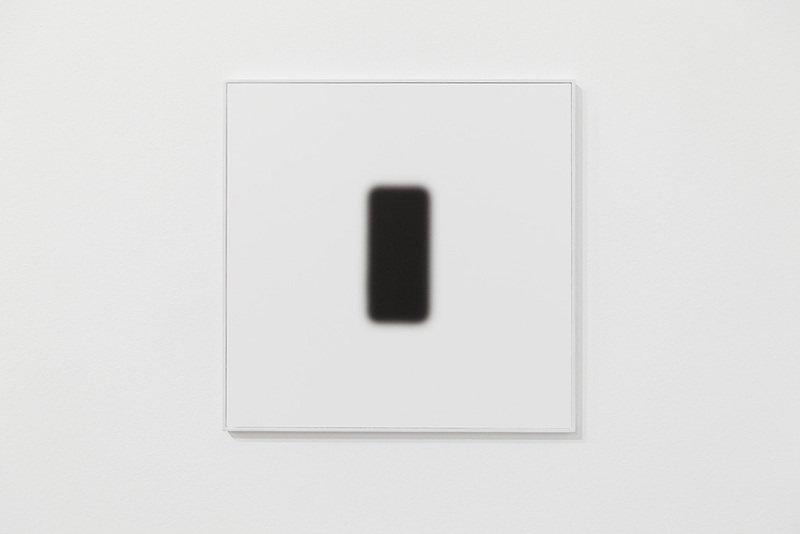 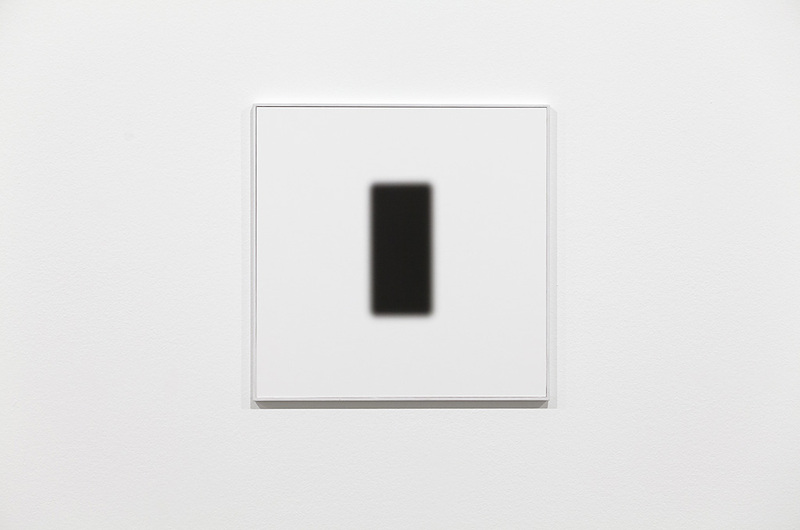 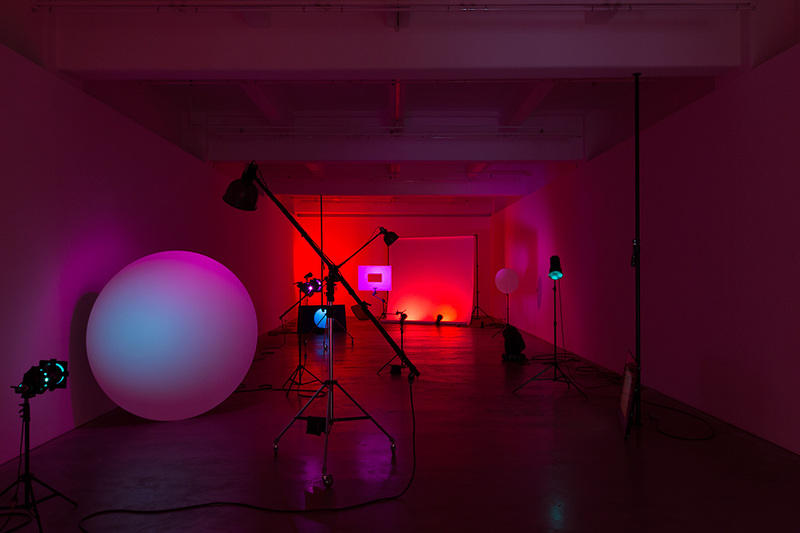 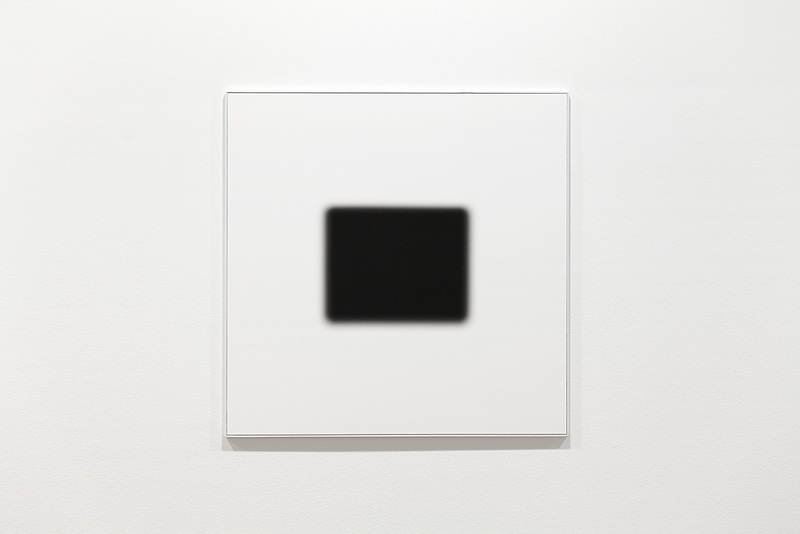 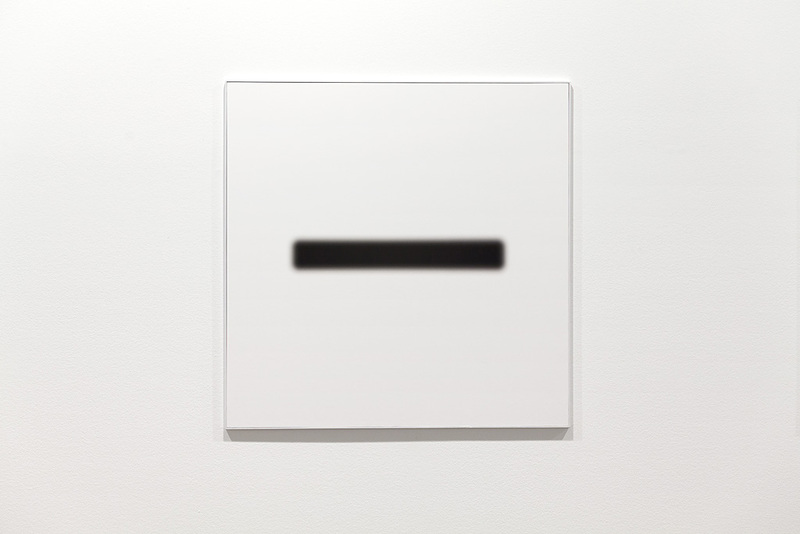 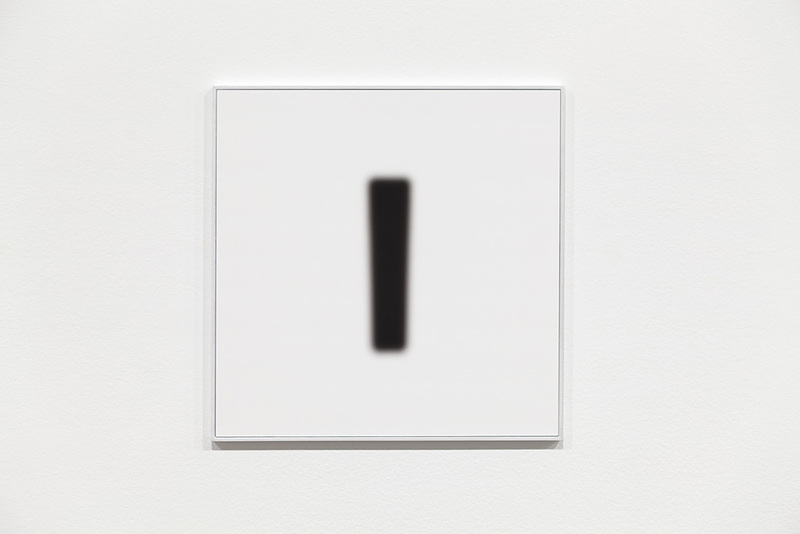 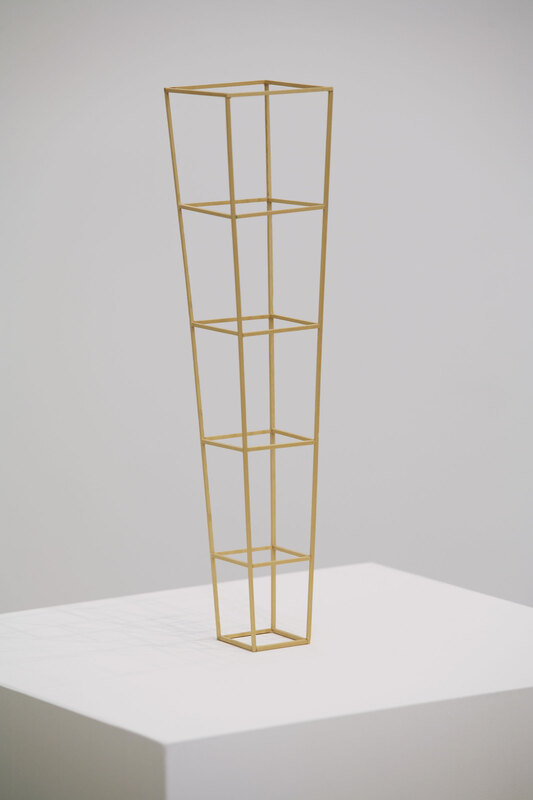 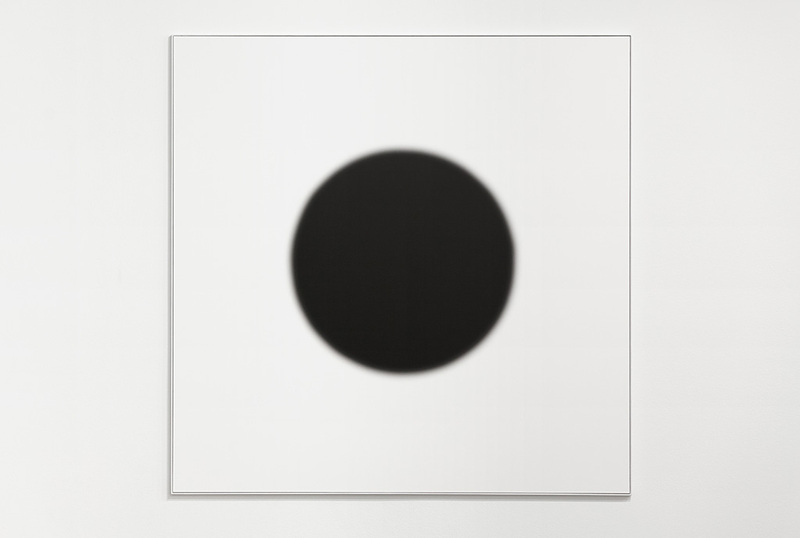 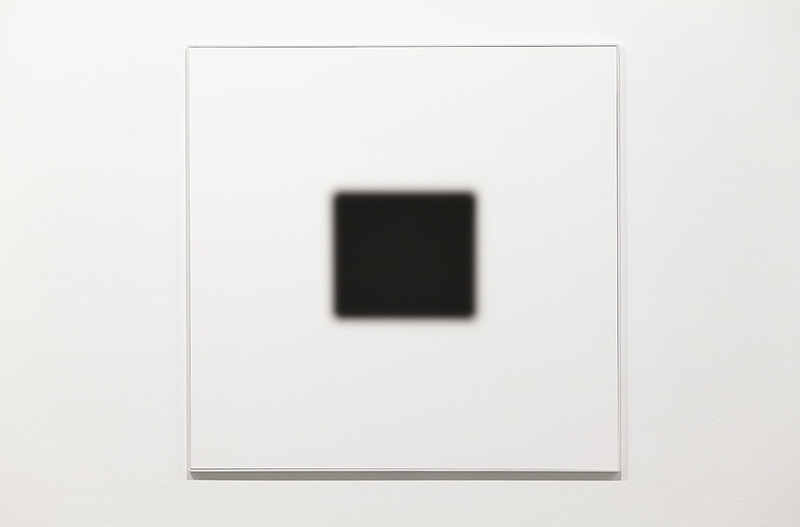 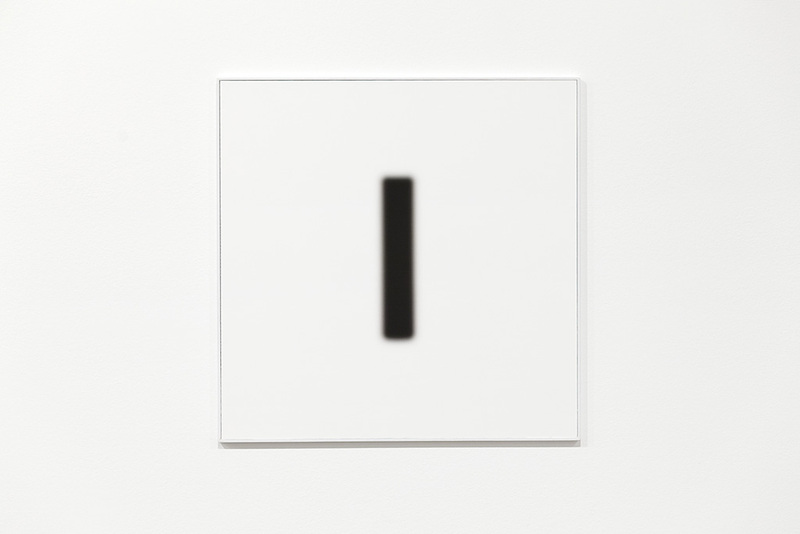 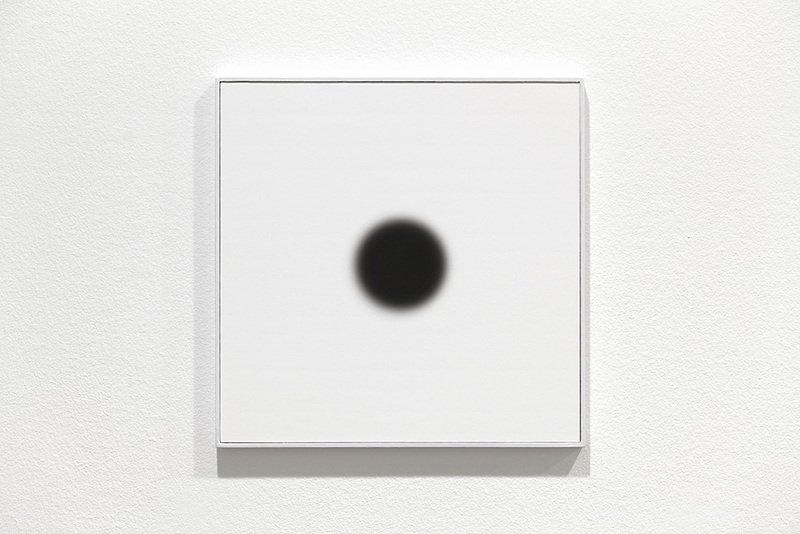 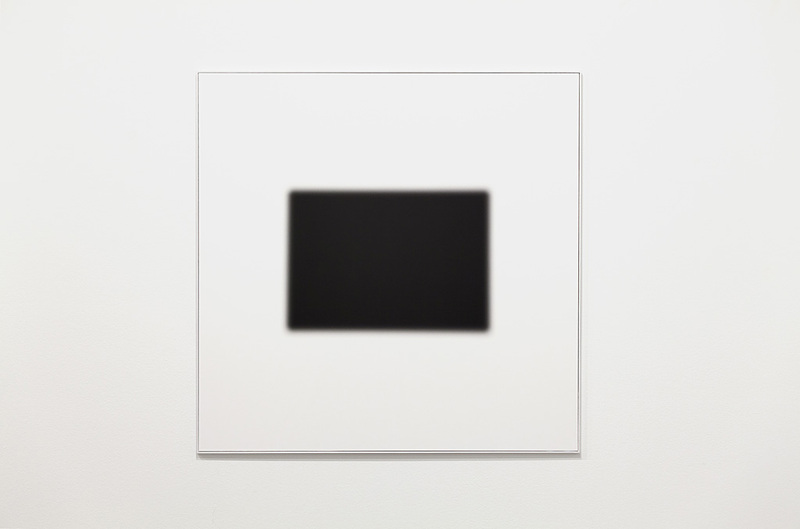 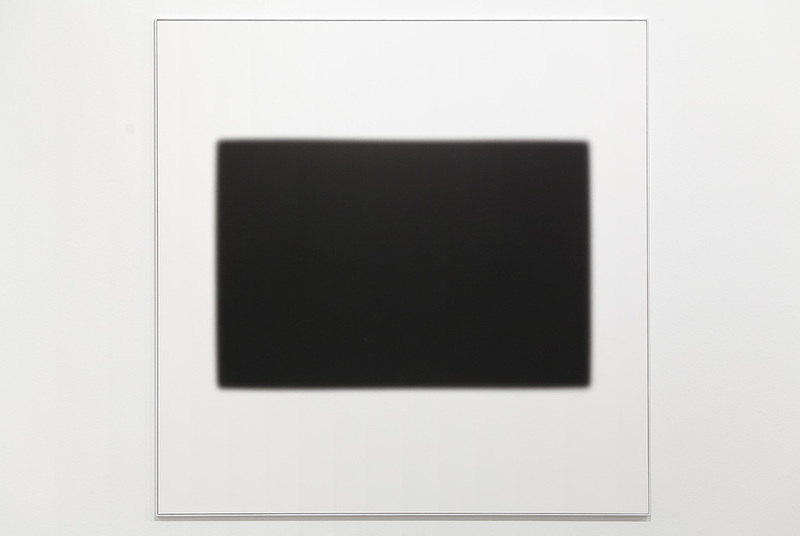 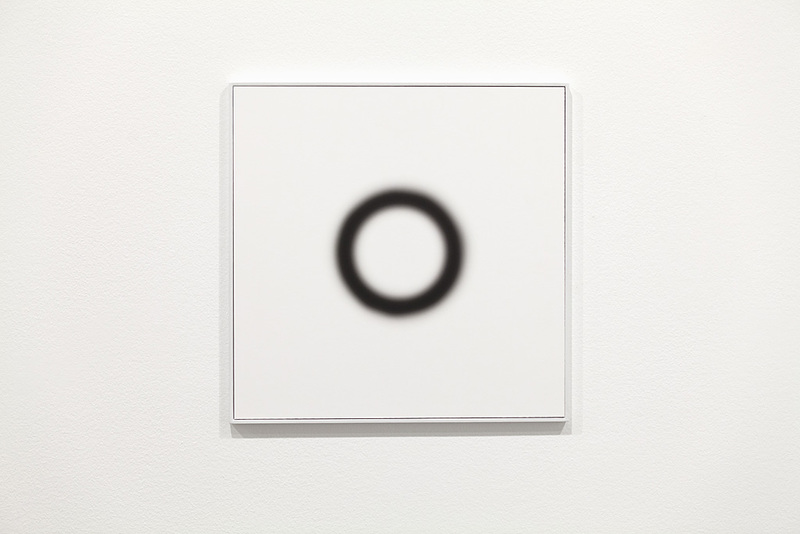 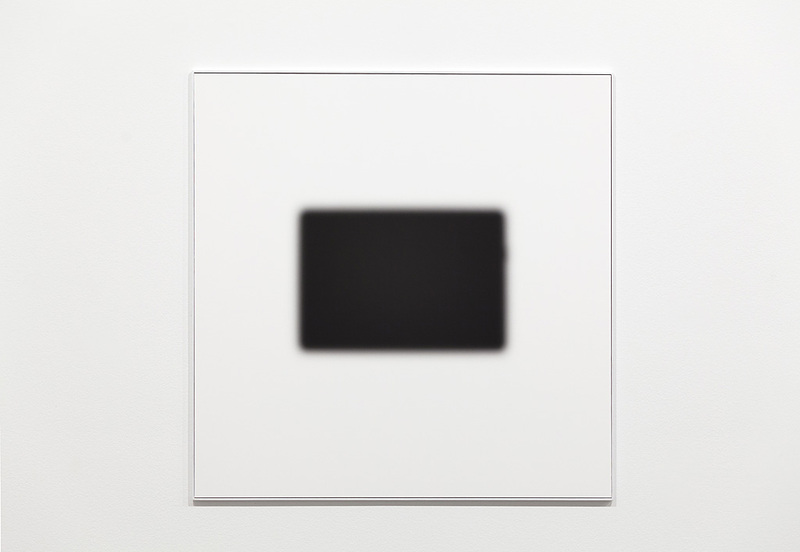 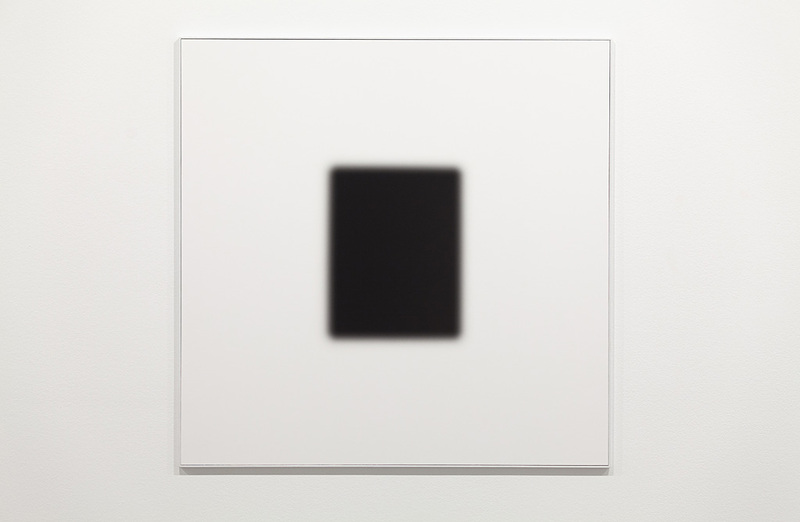 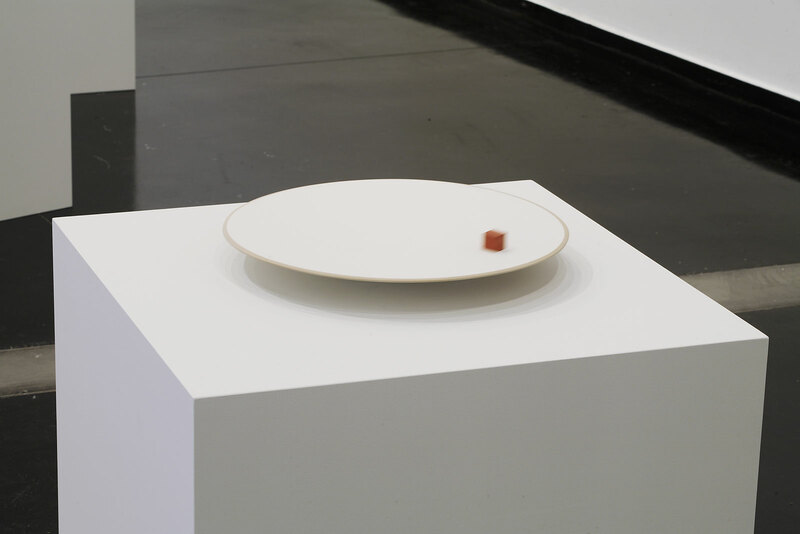 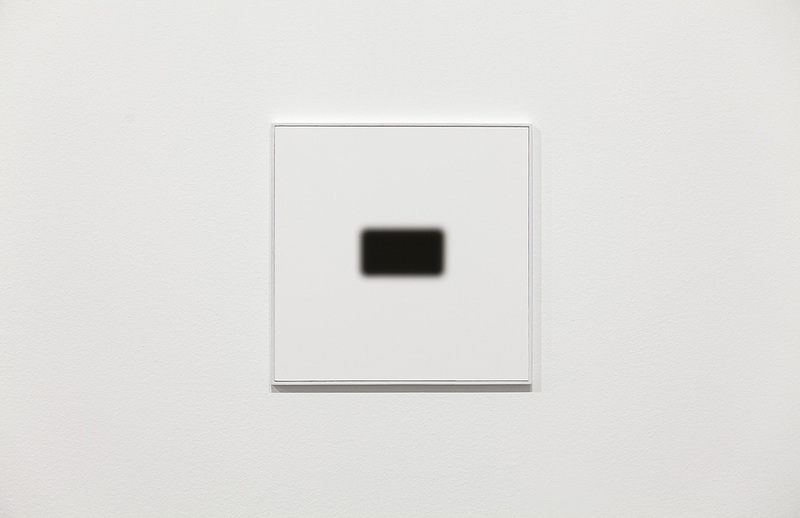 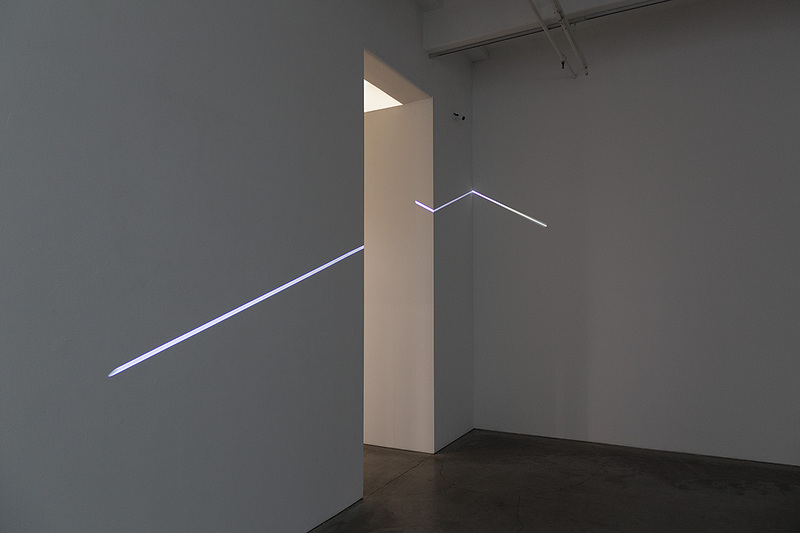 2019 (Anna Schwartz Gallery). 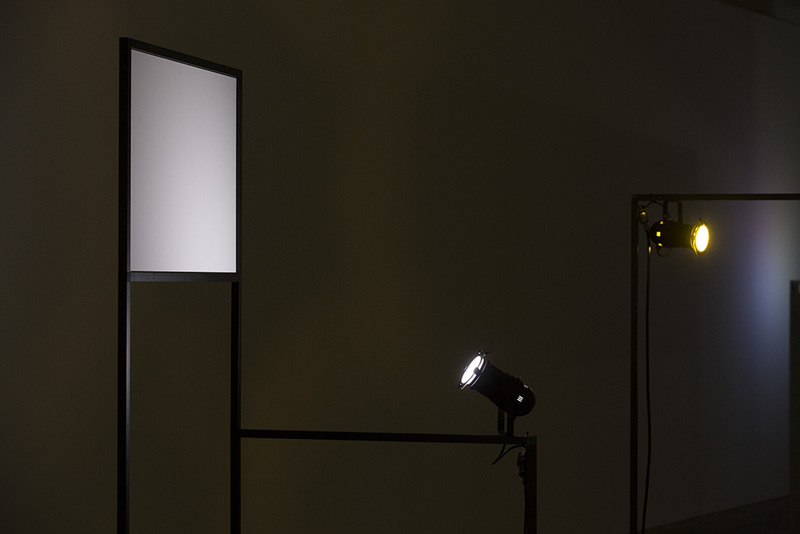 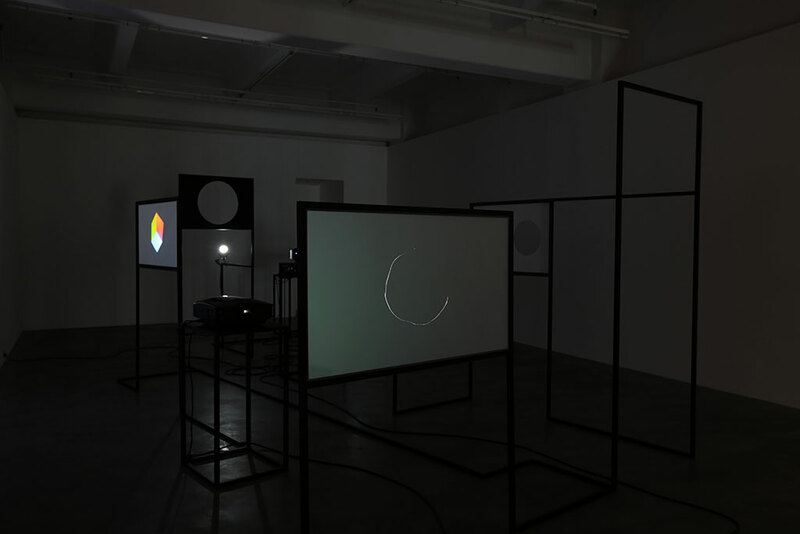 In CATARACT, 81 screens presented as a singular object, play short videos of small-scale ‘events’. 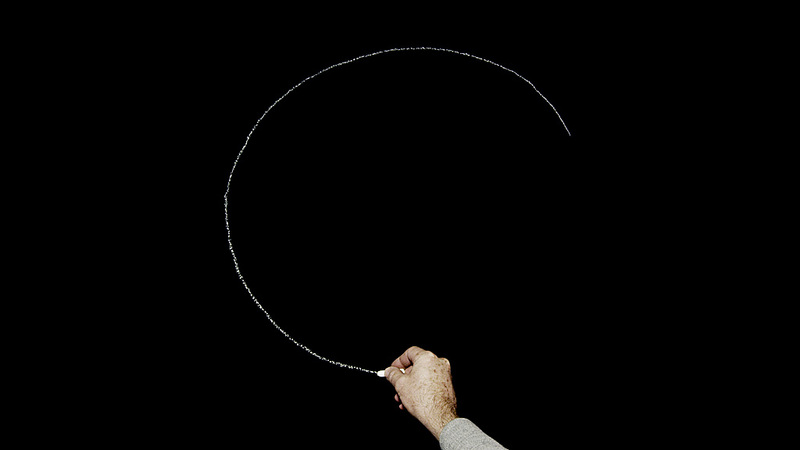 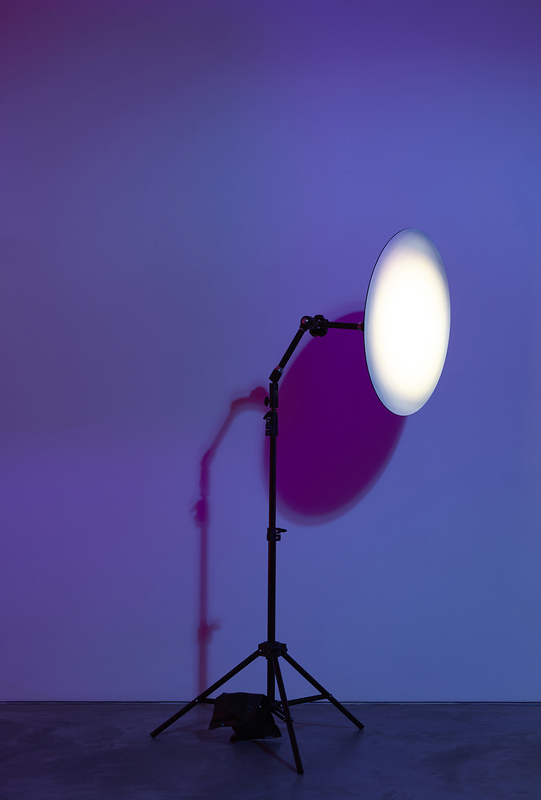 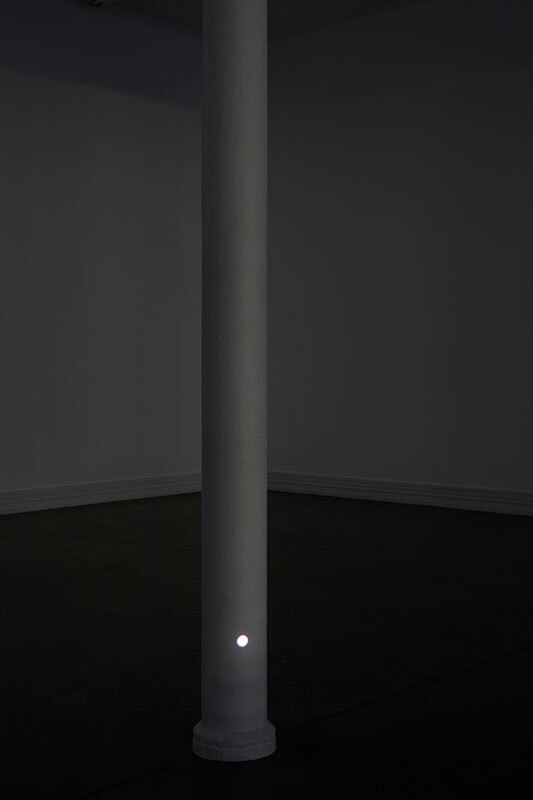 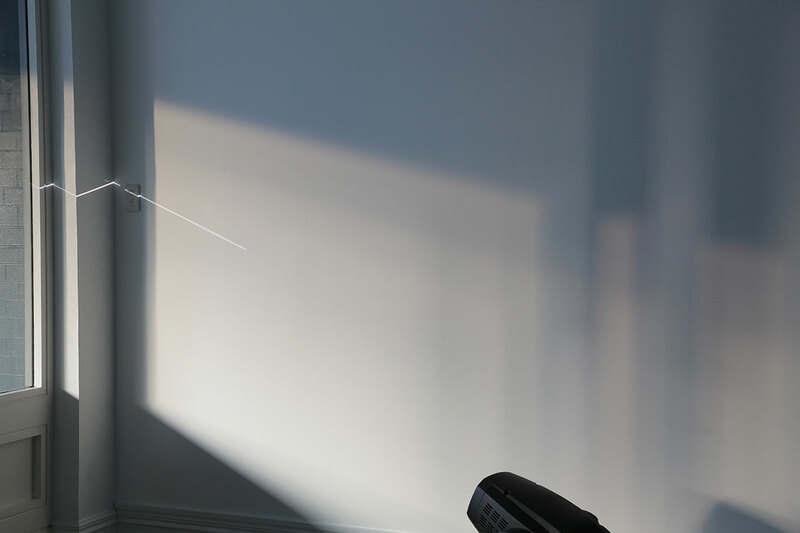 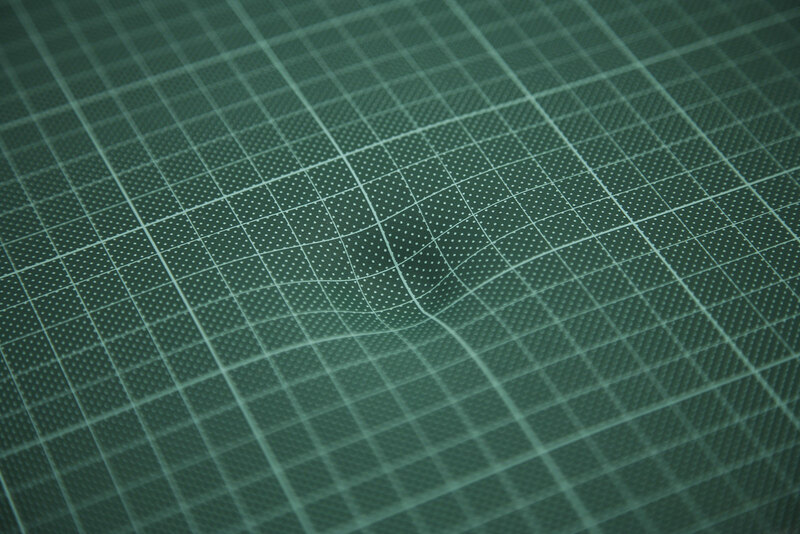 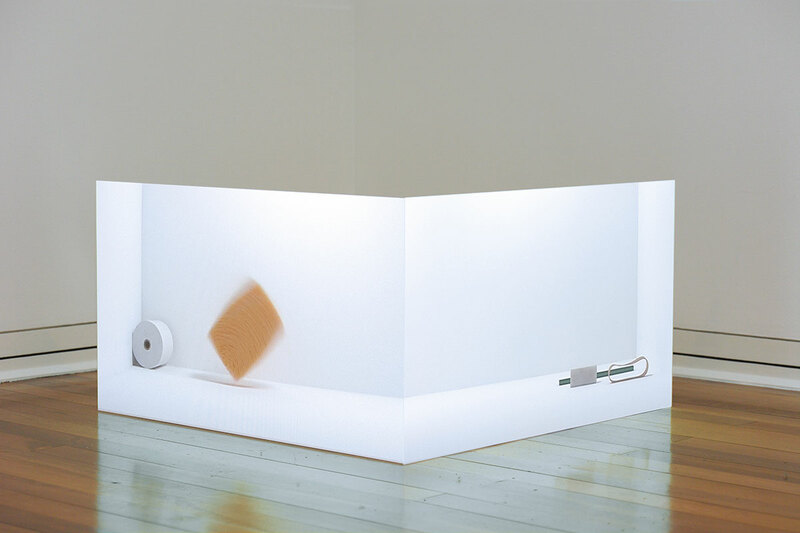 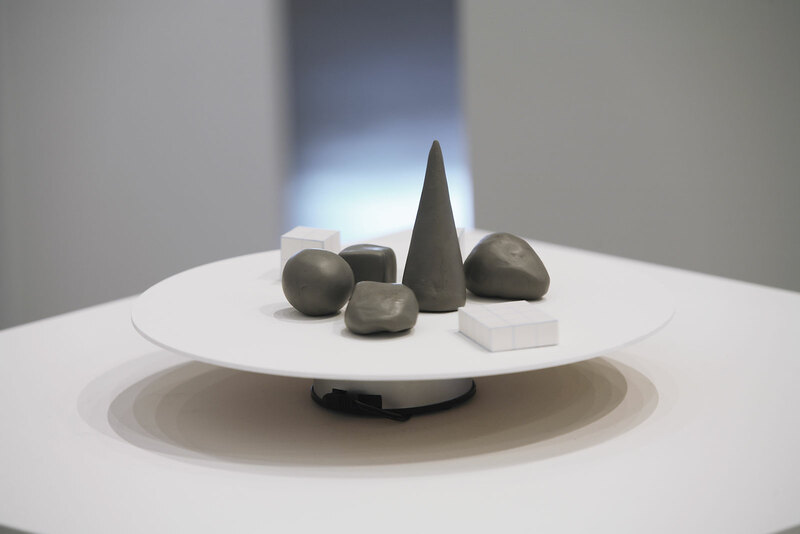 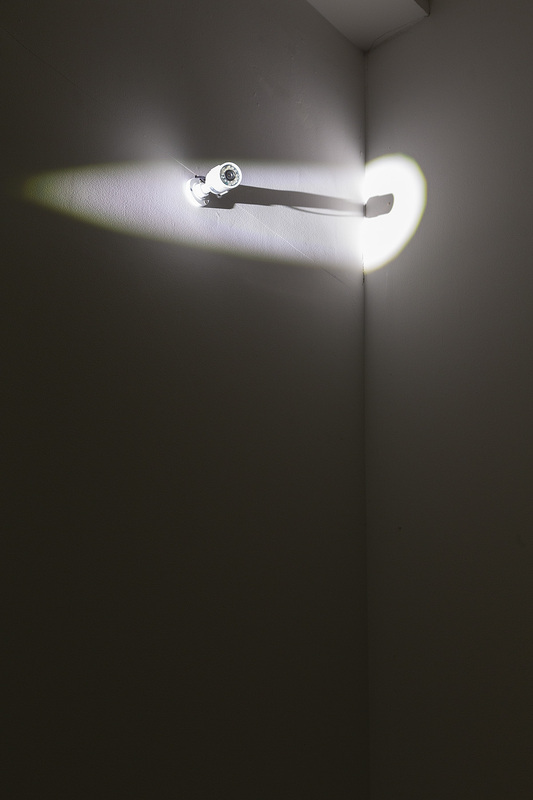 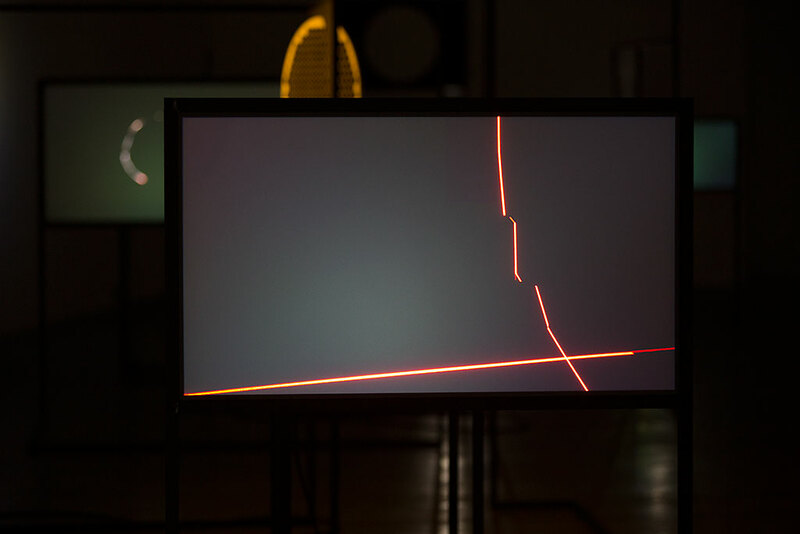 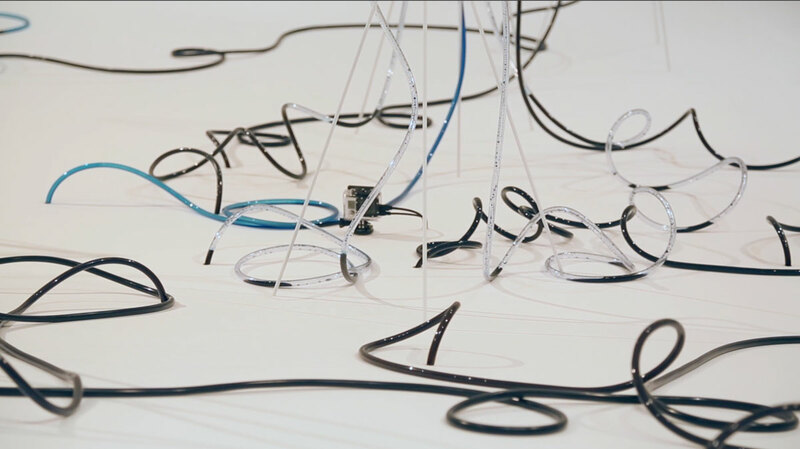 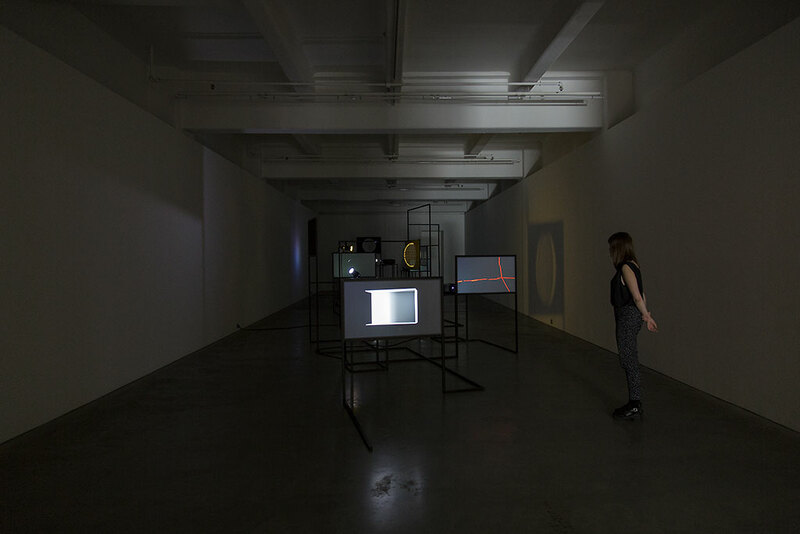 A combination of impromptu recordings and staged scenarios, the work presents a dynamic array of moments that document everyday physical processes and occurrences: spinning, falling, breaking, burning, growing, slowing, starting, stopping… the world is full of happenings, but it is only through selective attention that meaning is found. 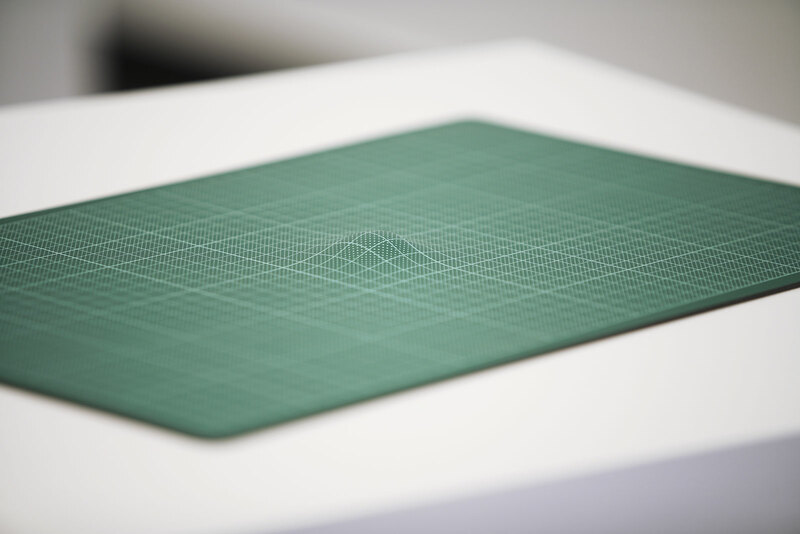 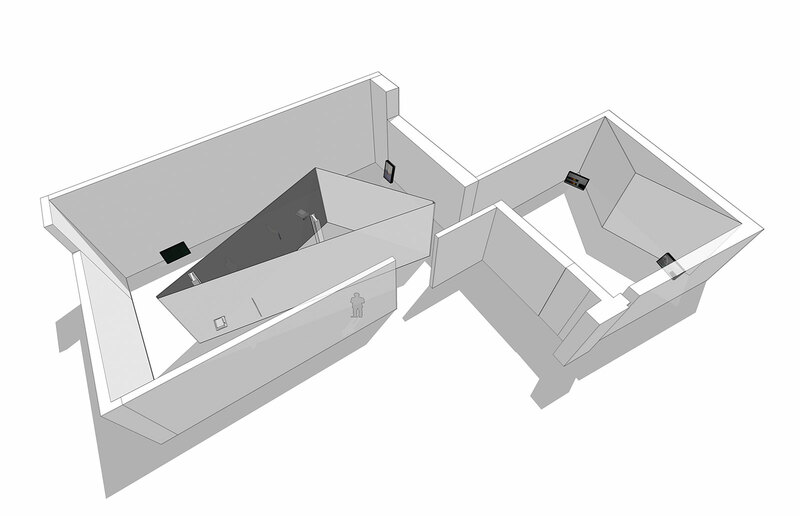 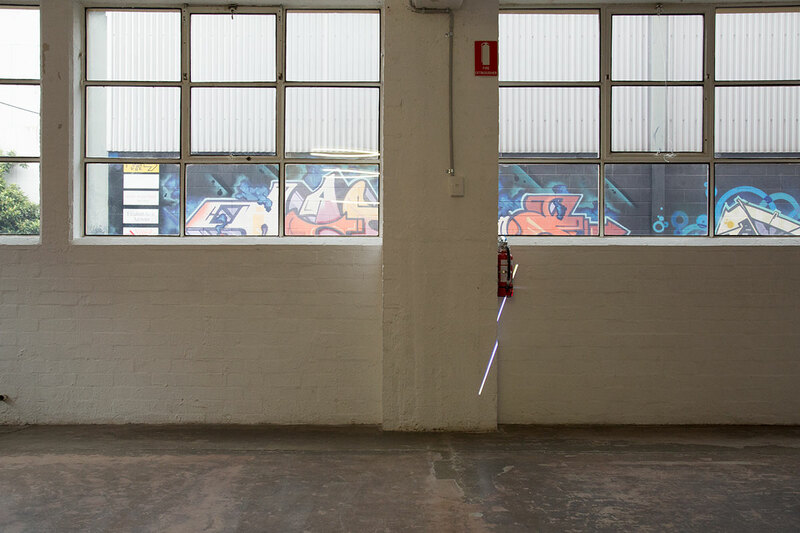 /// This project was made with support from Monash Art, Design and Architecture. 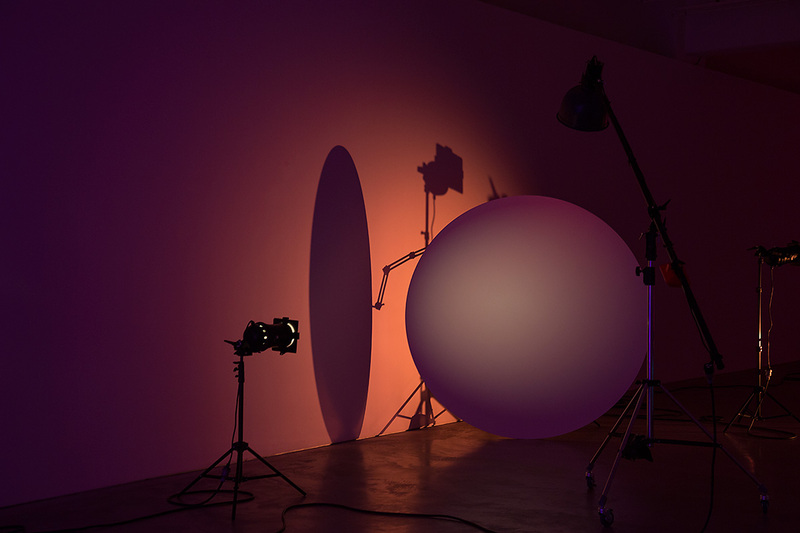 Photography: Zan Wimberley. 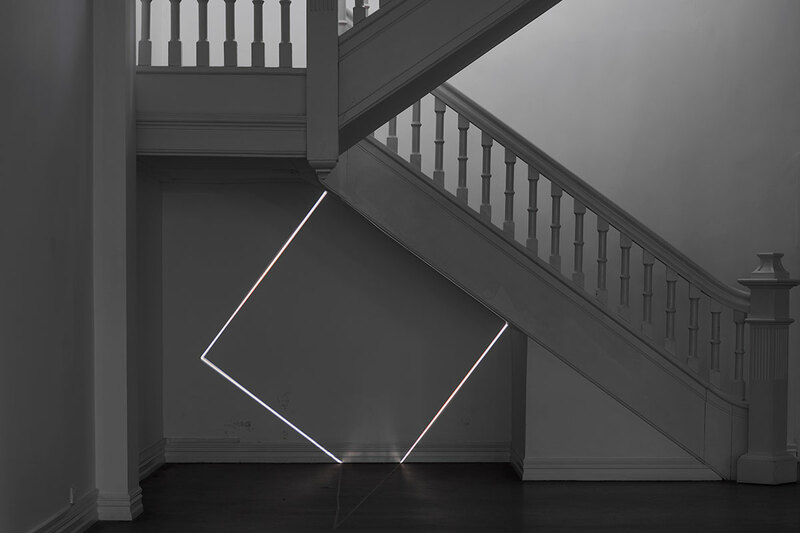 Animated light installation. 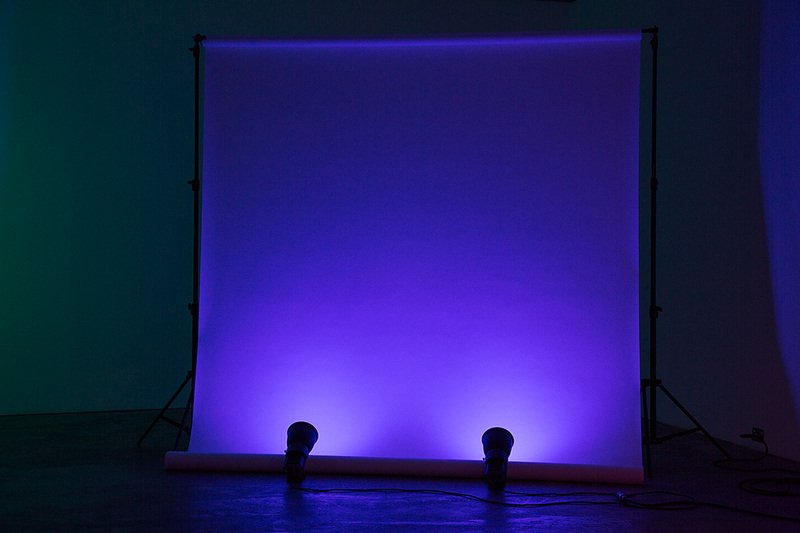 Moving head profile light custom programming, custom gobos. 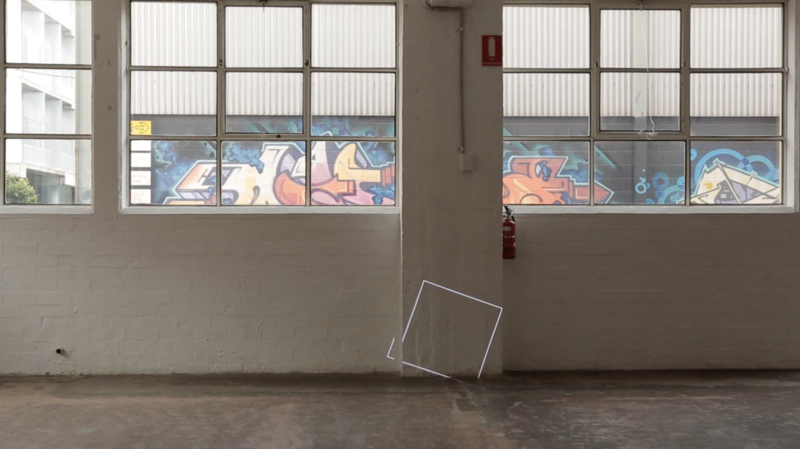 6 mins 30 seconds sequence. 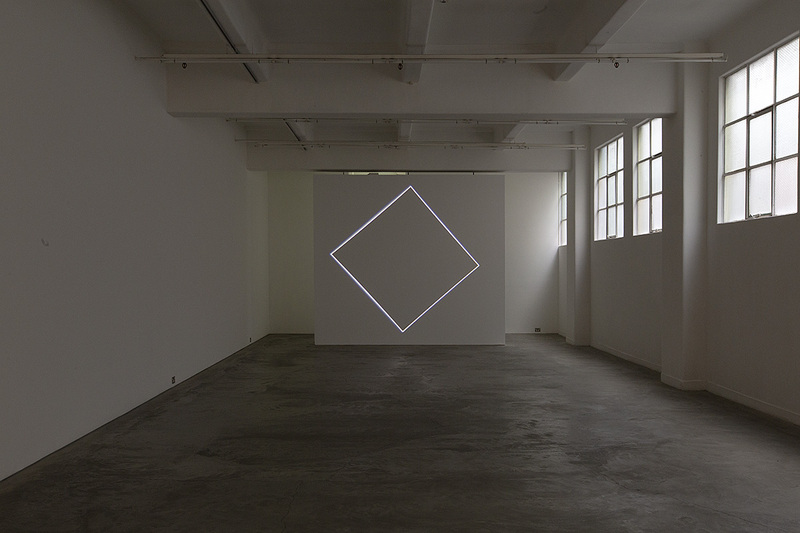 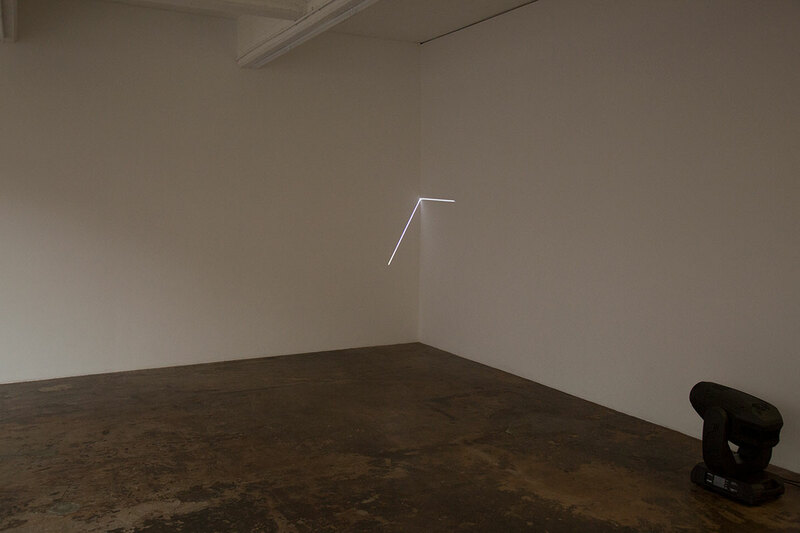 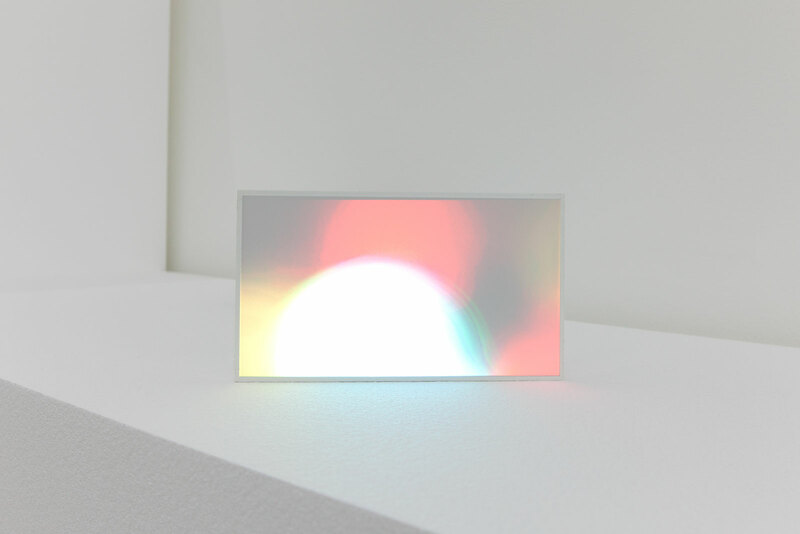 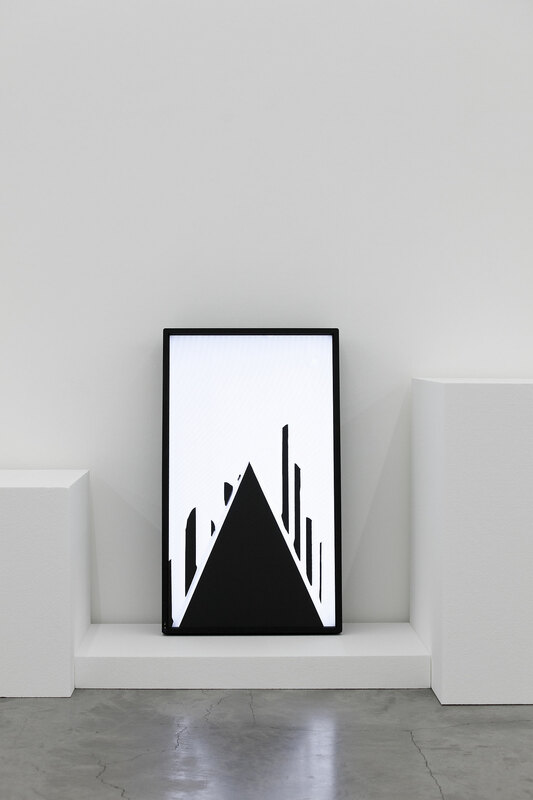 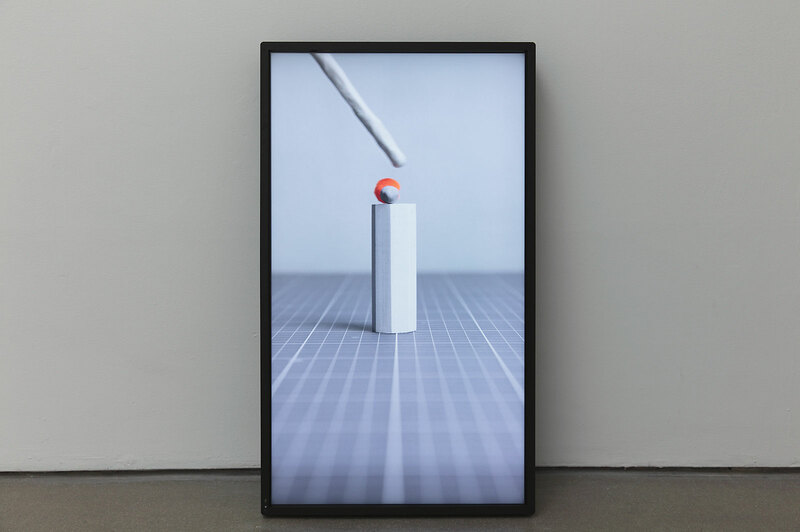 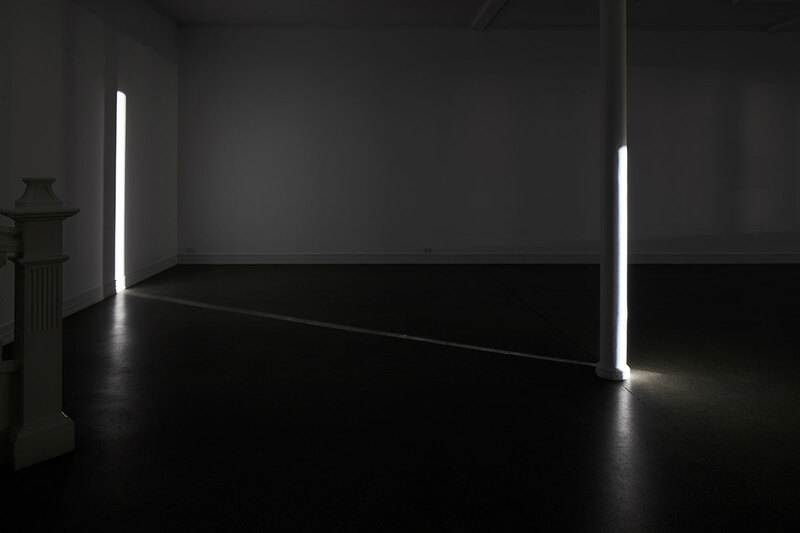 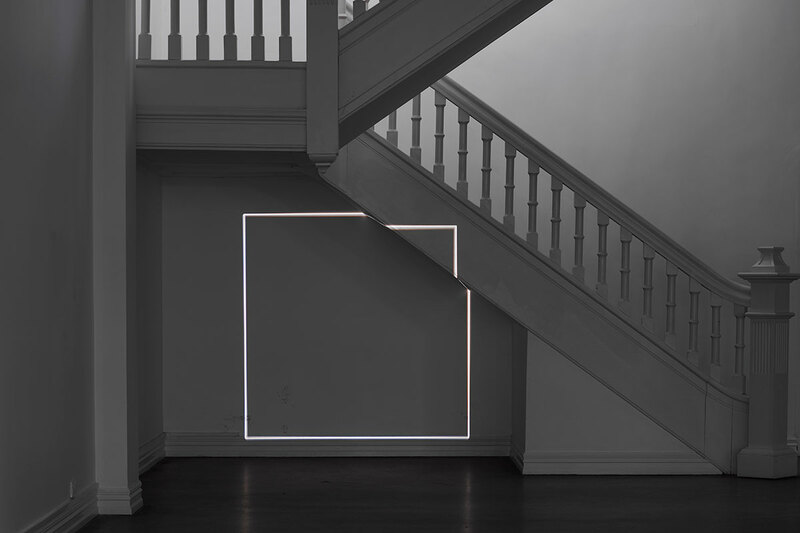 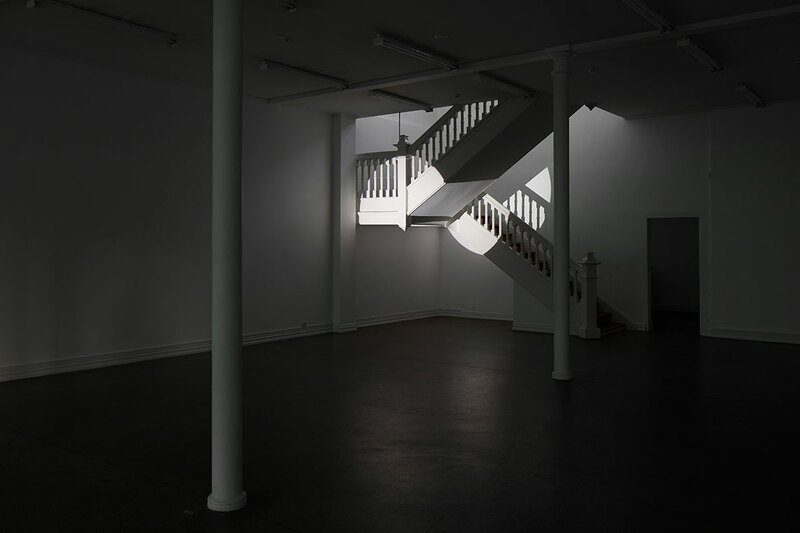 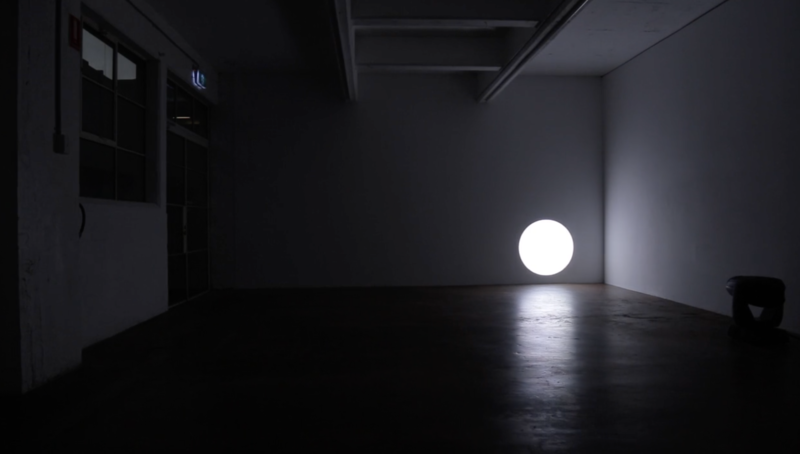 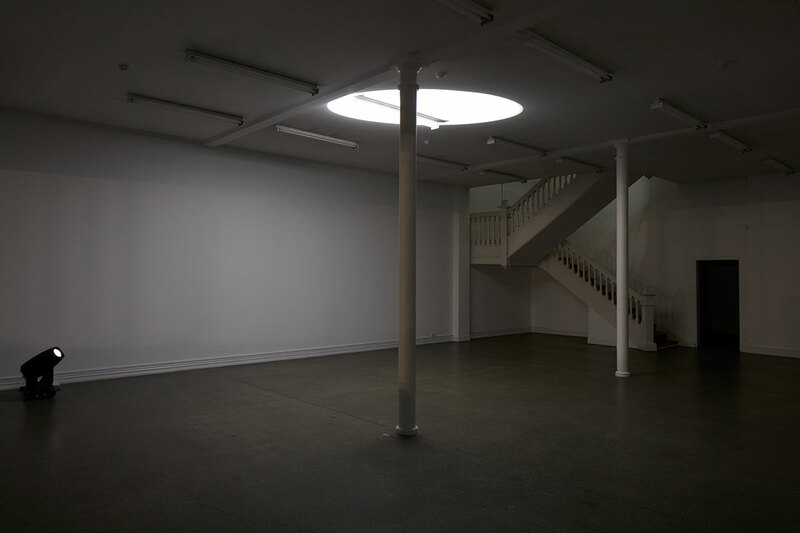 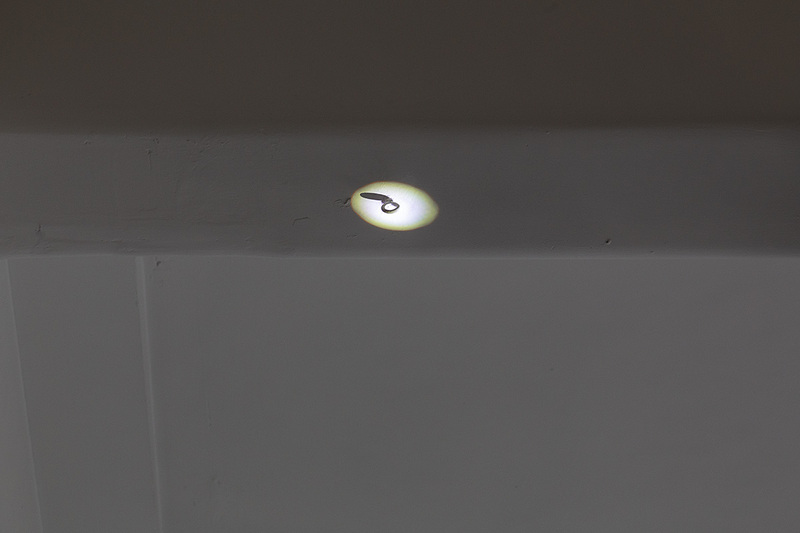 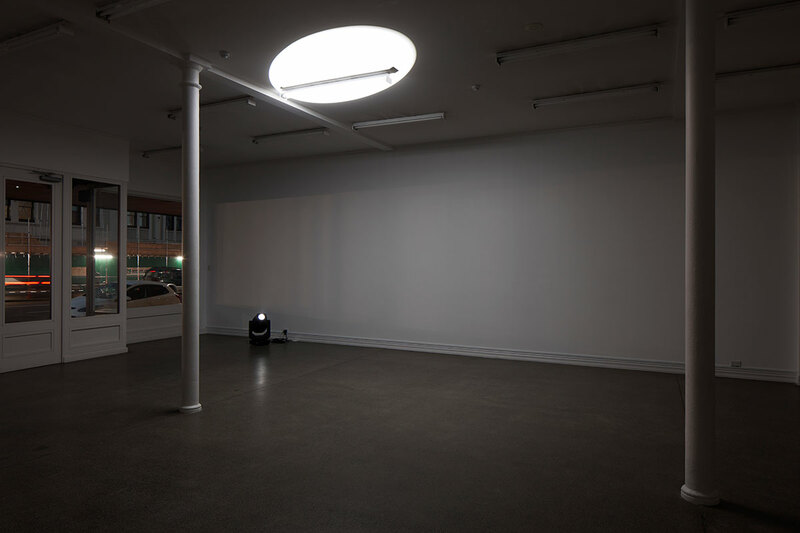 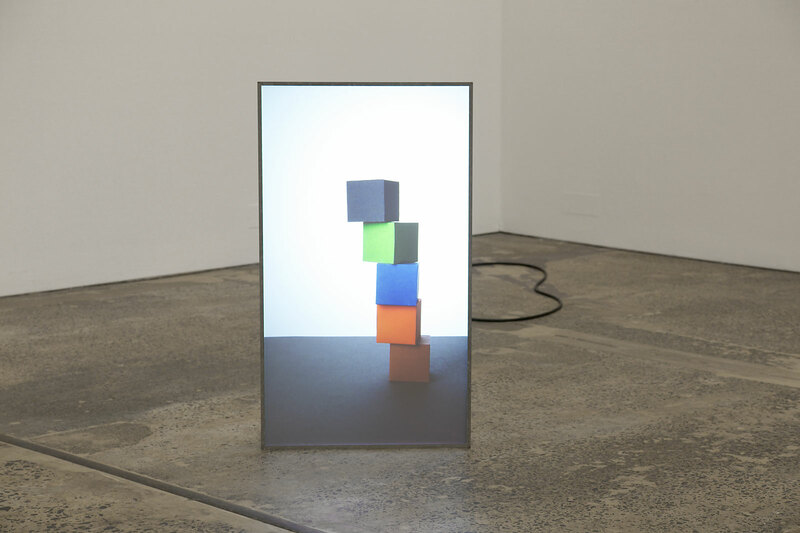 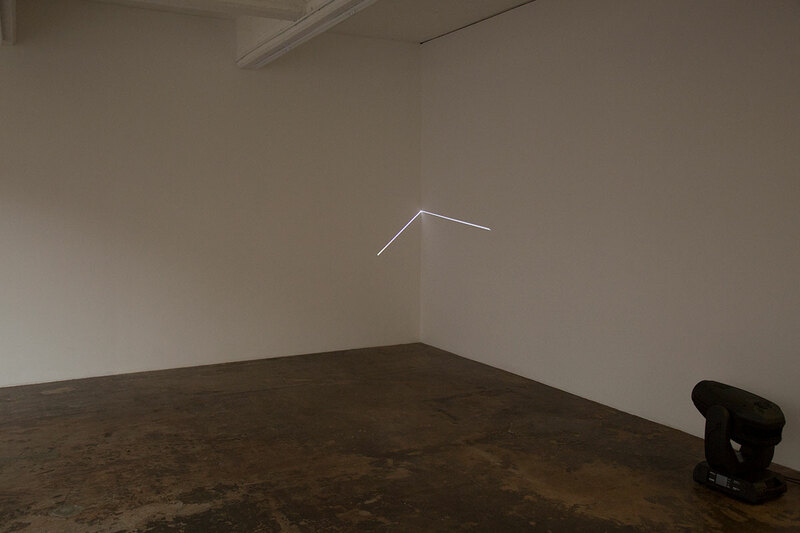 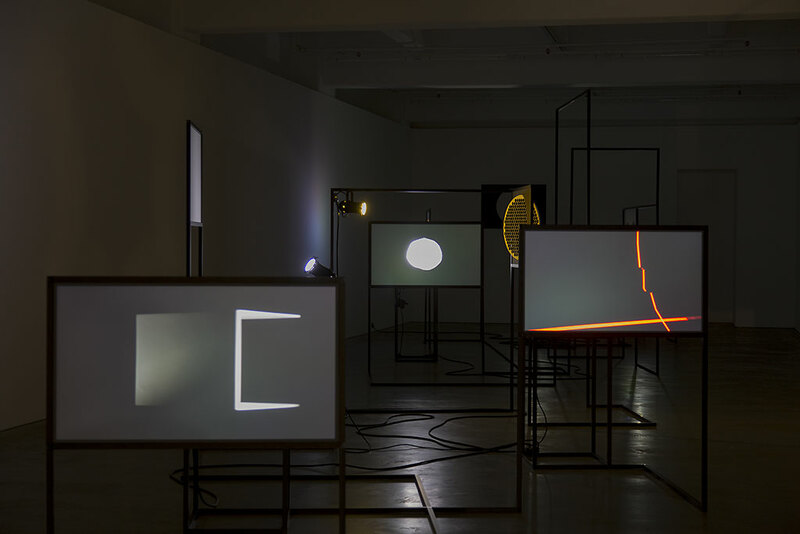 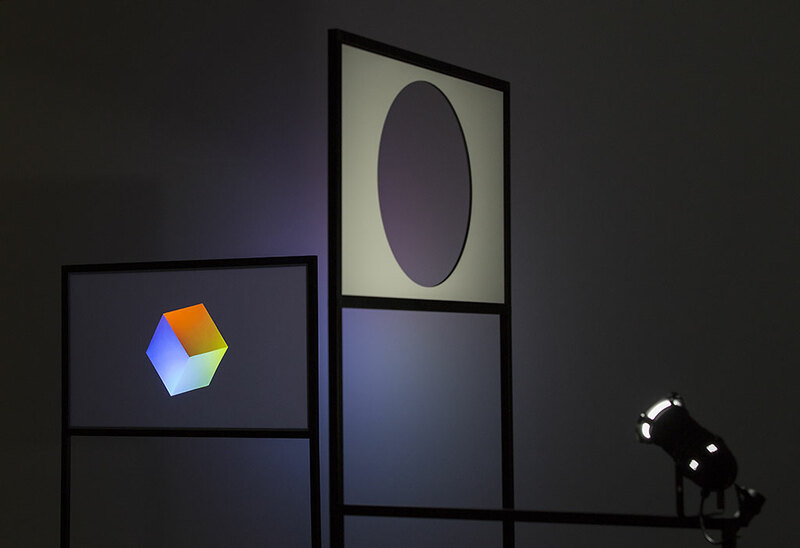 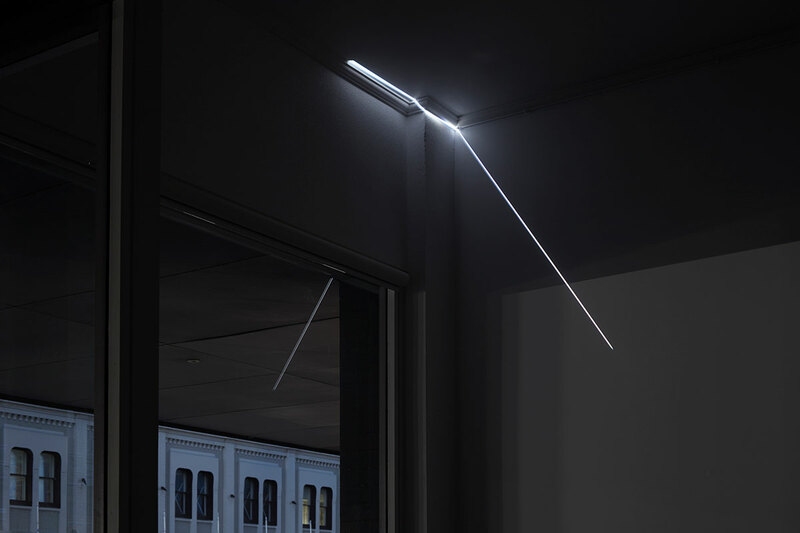 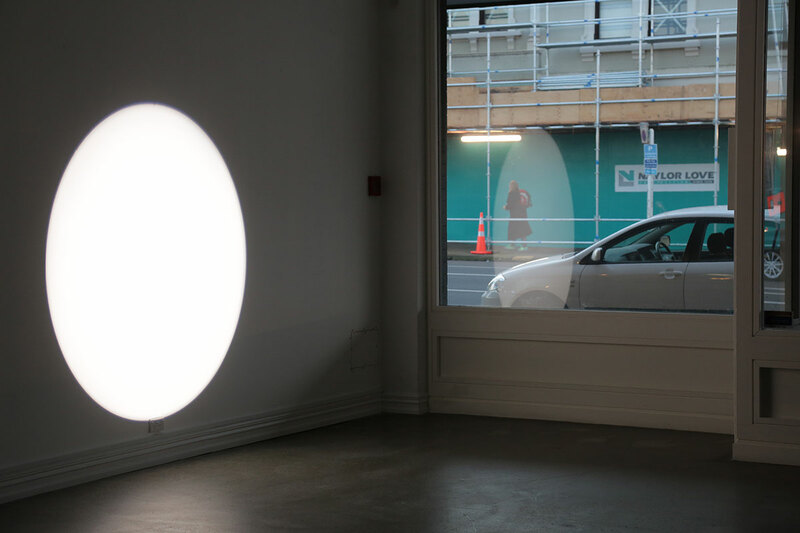 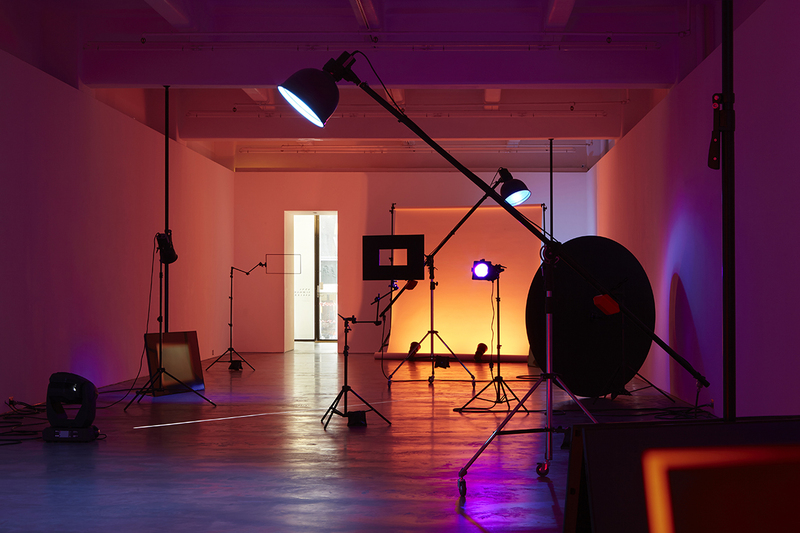 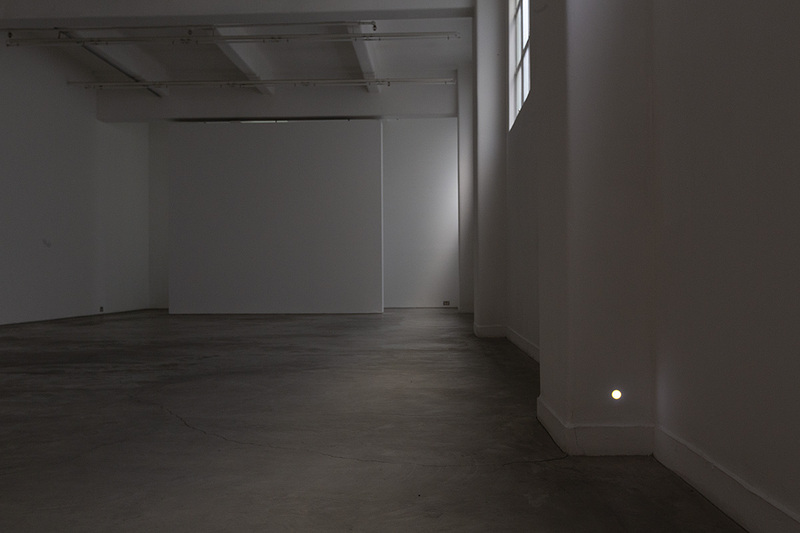 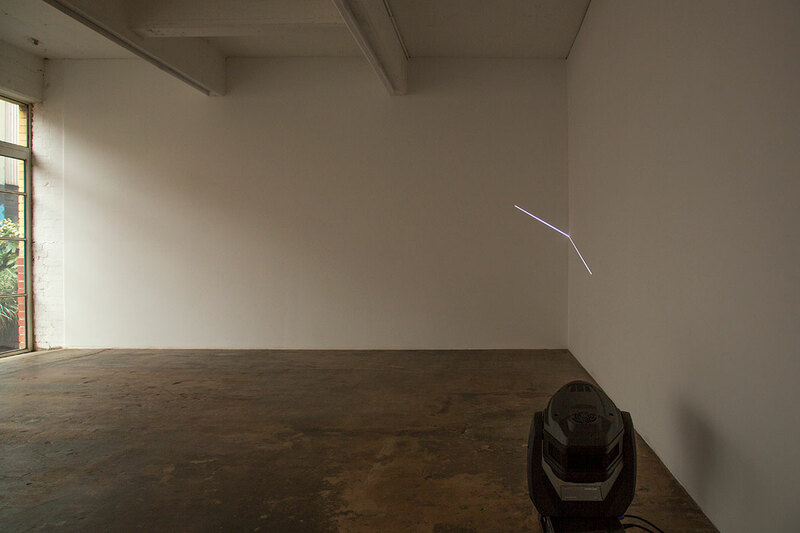 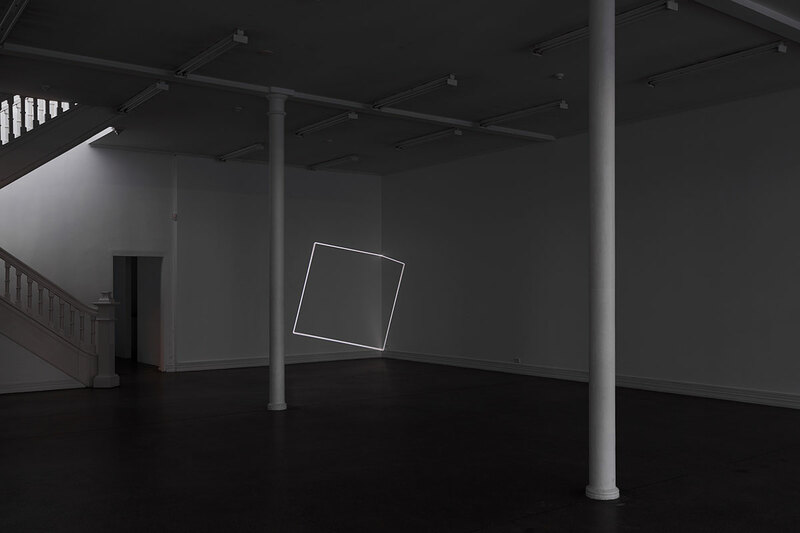 Electric Light (facts/figures/anna schwartz gallery upstairs) is an animated light installation that illuminates the architectural features of the gallery space using projected light to create an animated sequence of ‘figures’ that interact with the architecture. 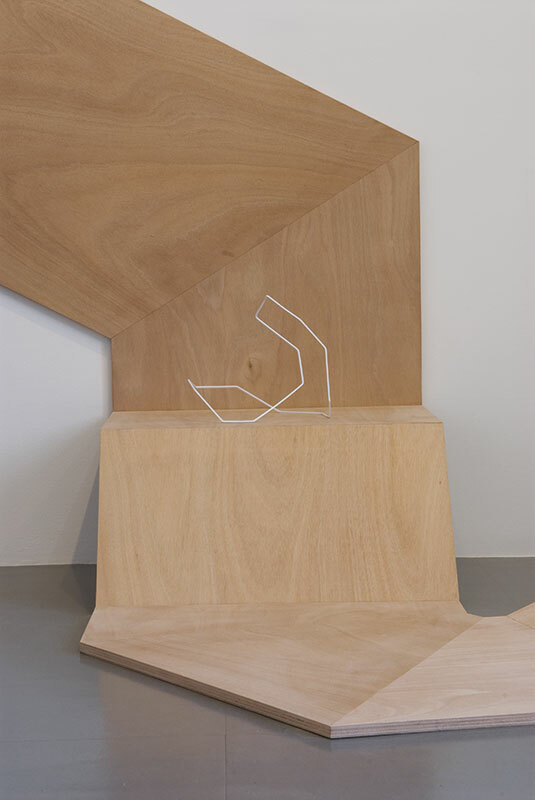 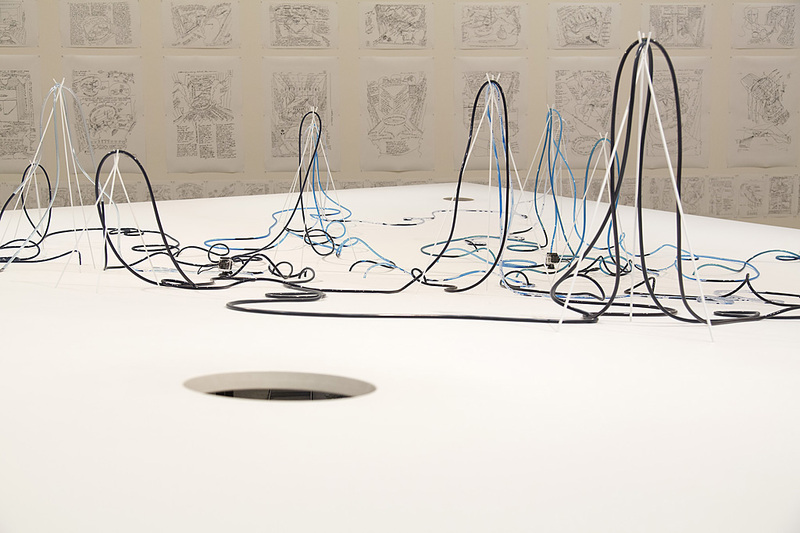 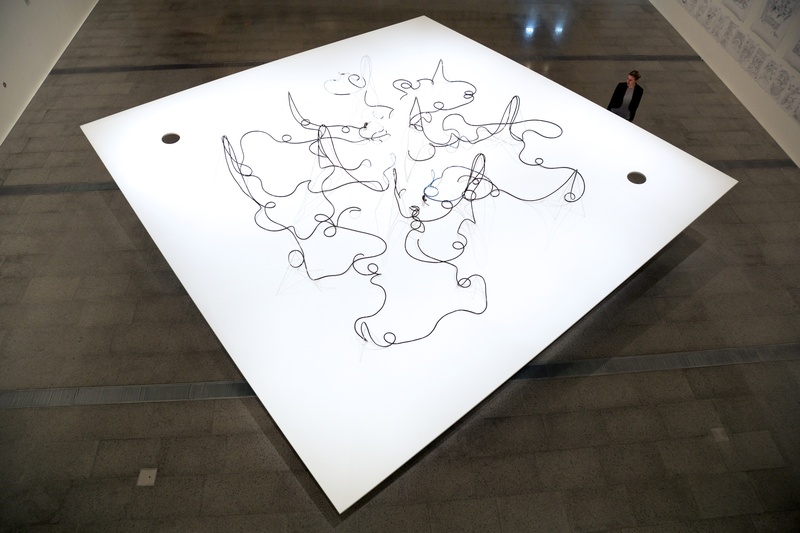 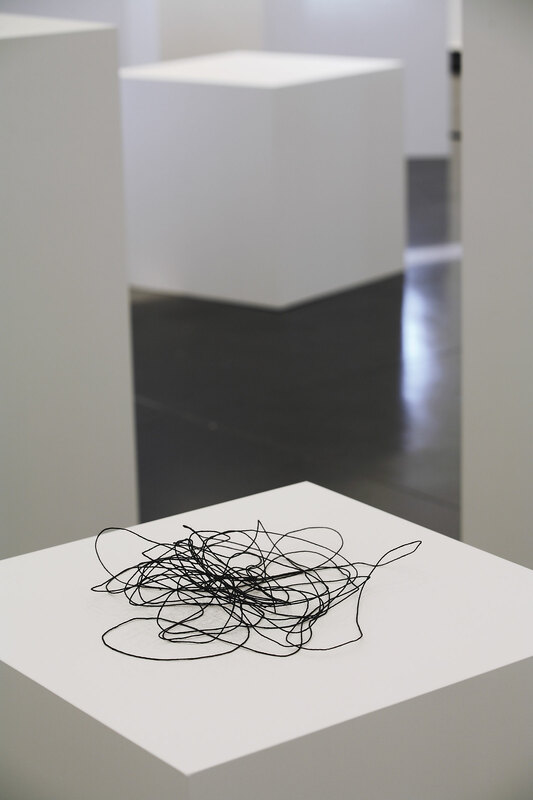 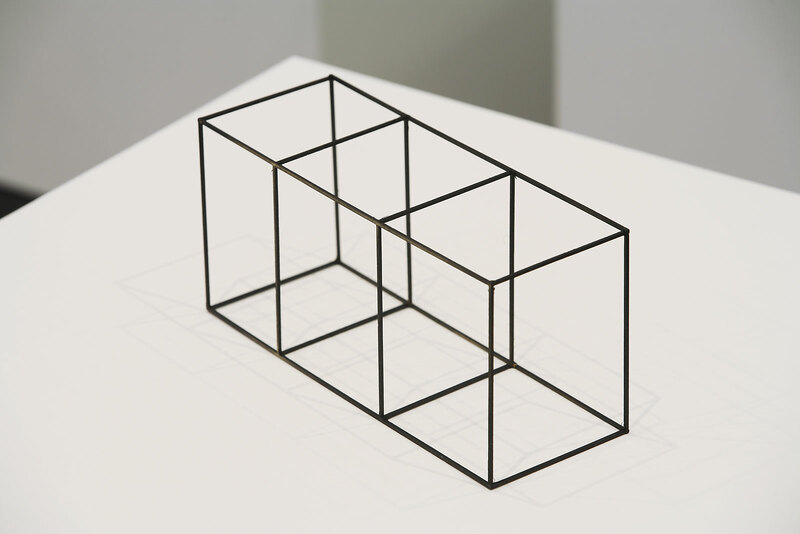 The work is part of an open series; a drawing in space, dynamically redrawn with each refresh of the sequence. 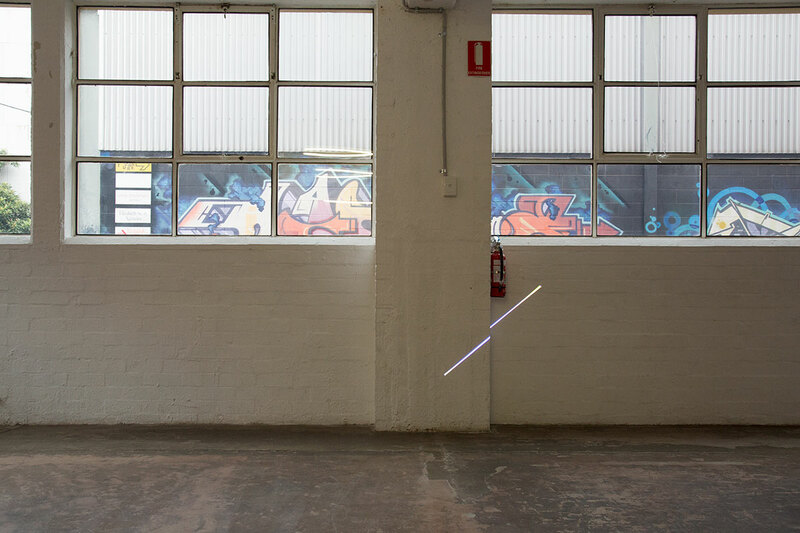 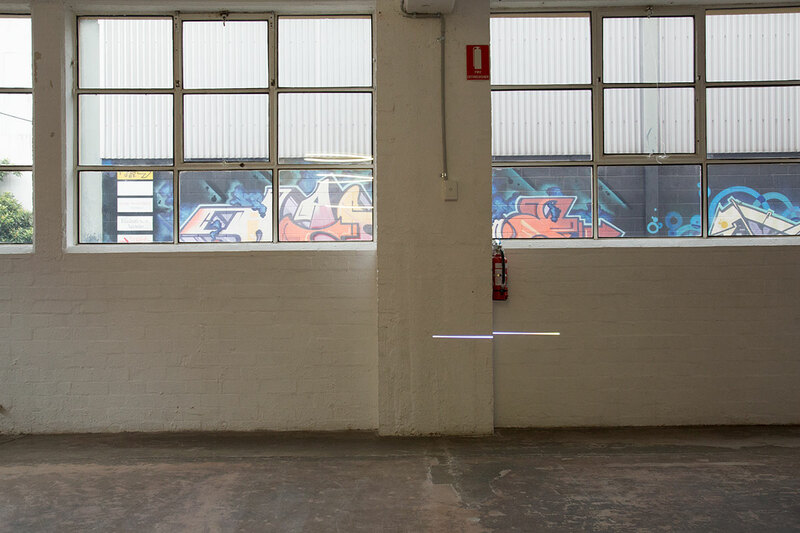 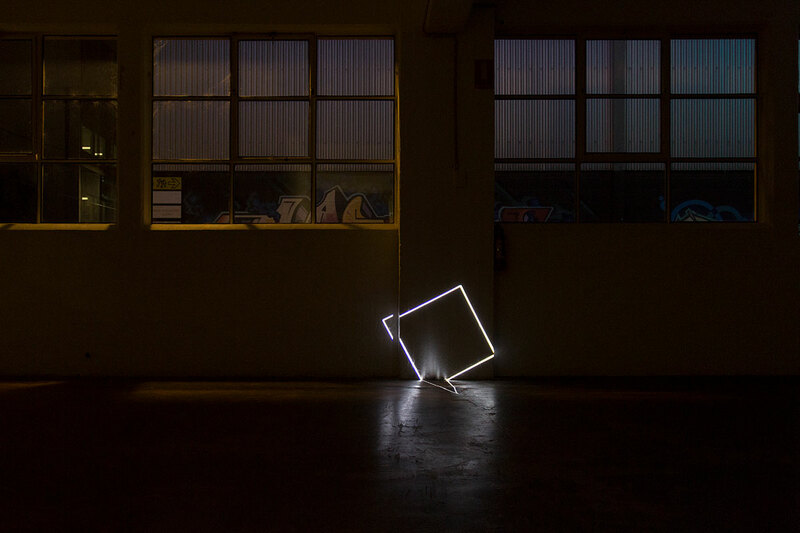 Animated light installation, 2017, Bus Projects, Melbourne. 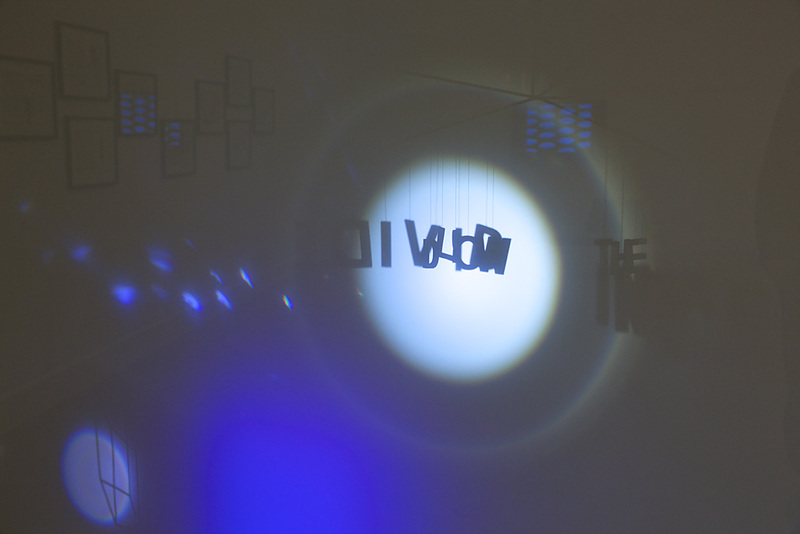 For video documentation see here and here. 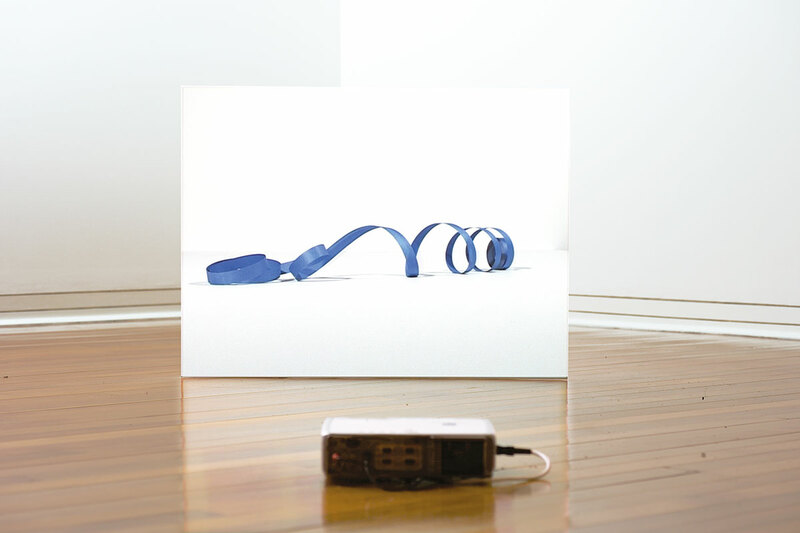 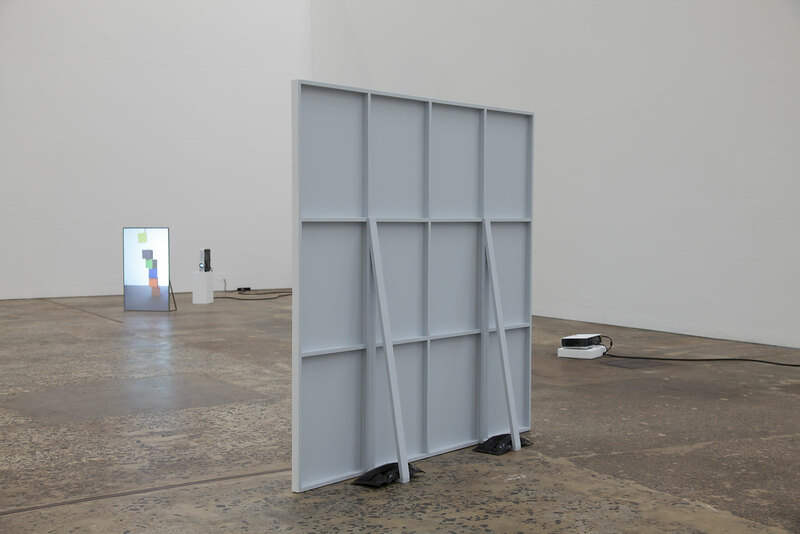 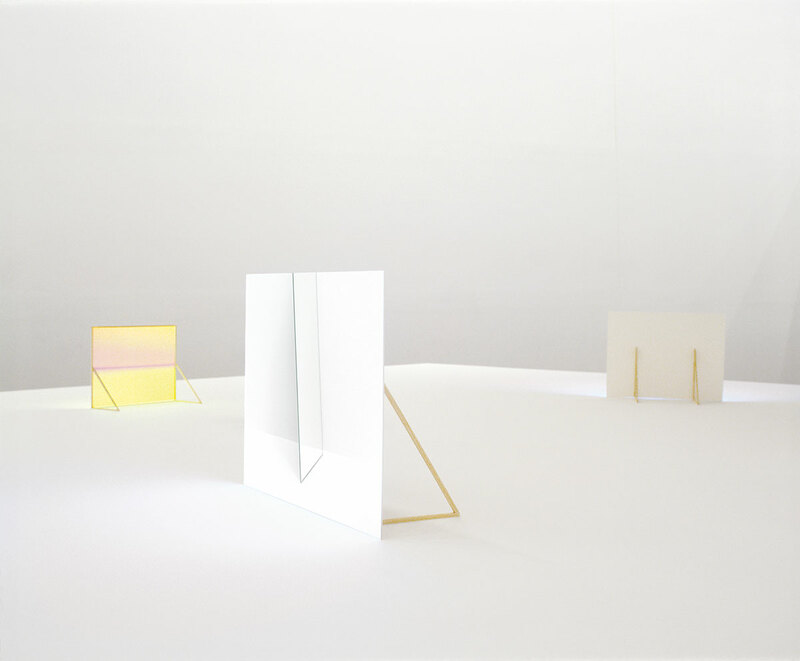 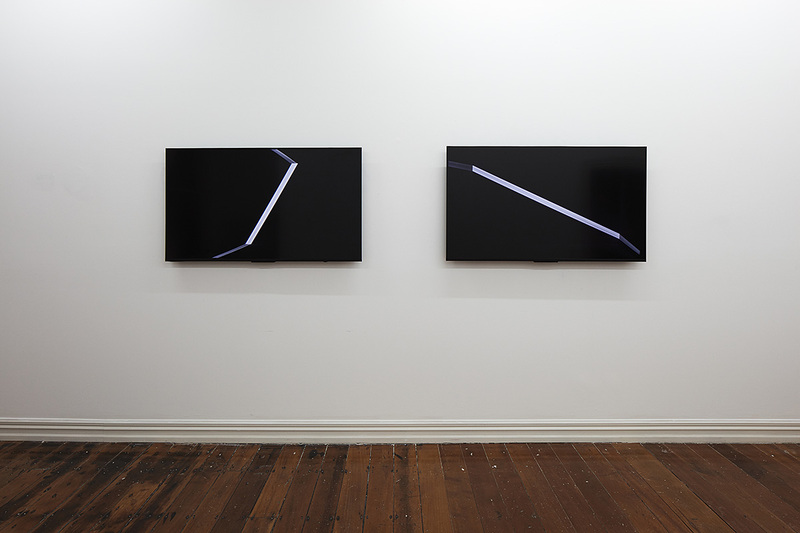 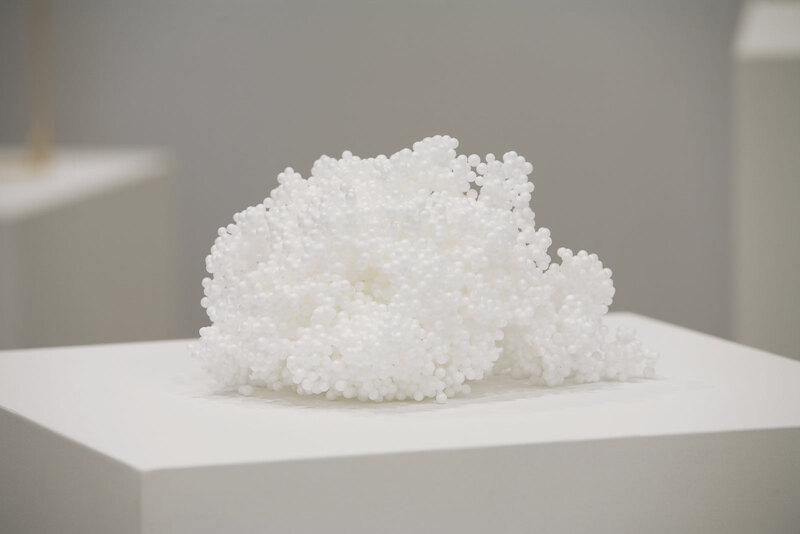 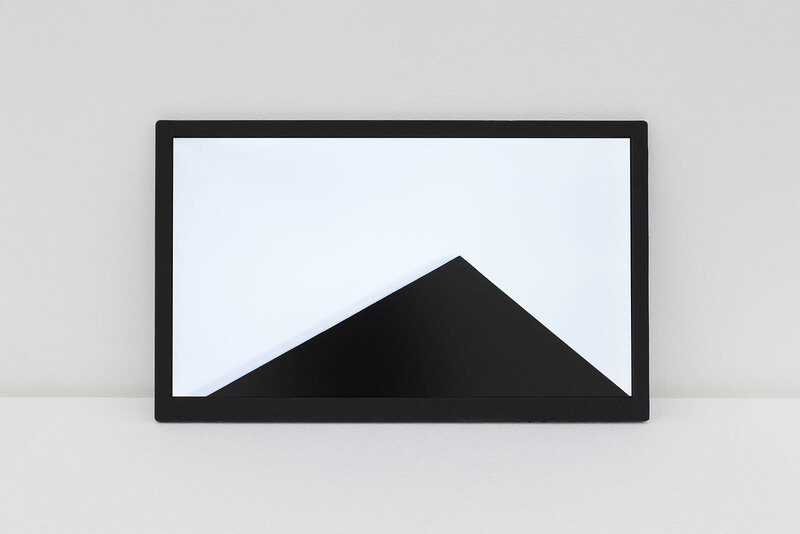 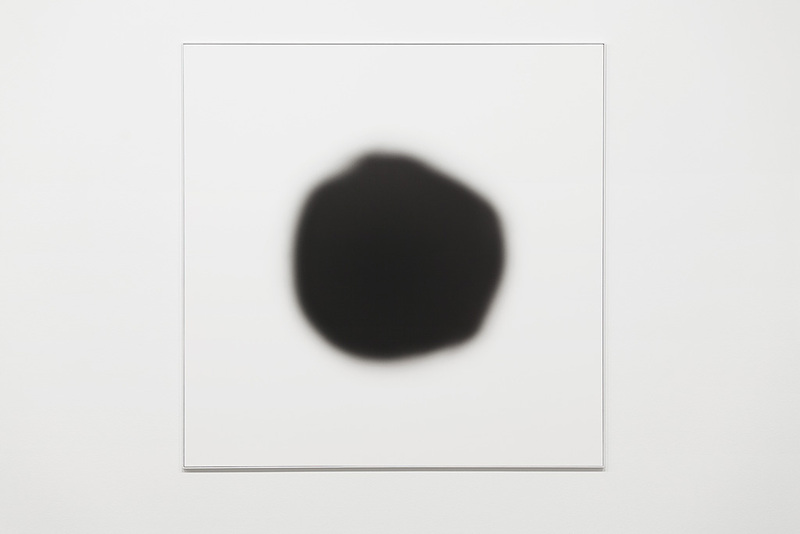 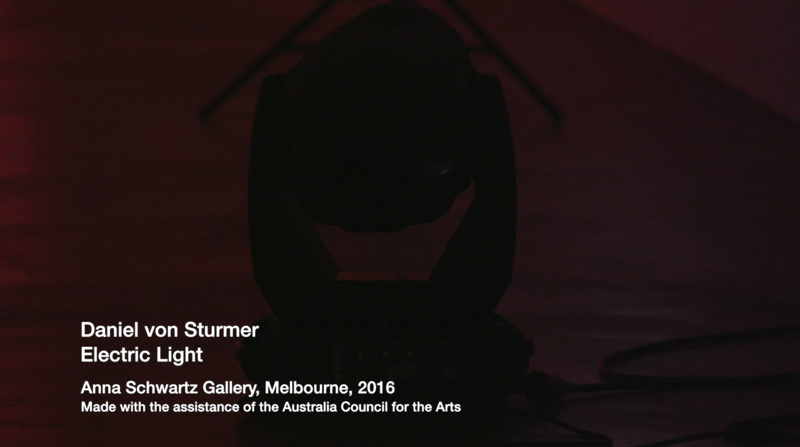 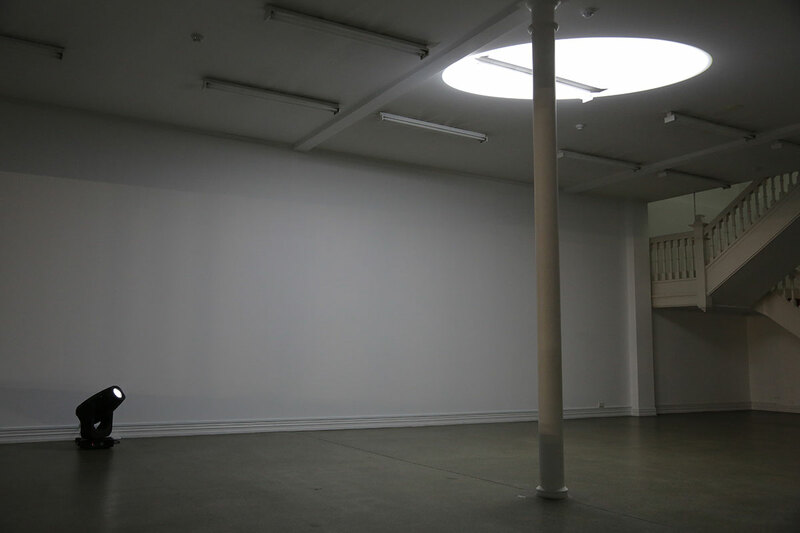 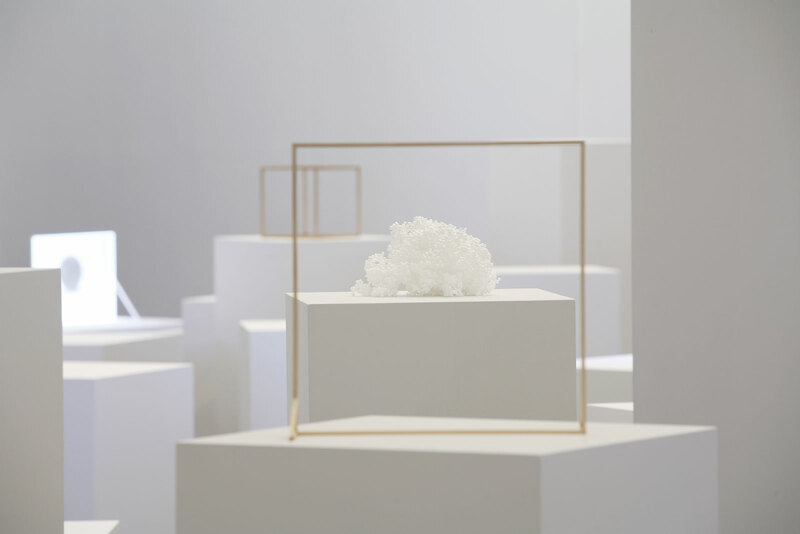 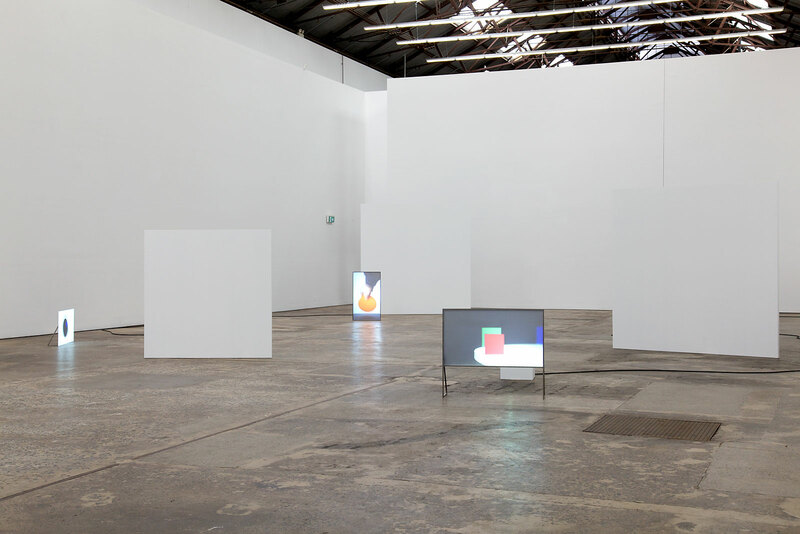 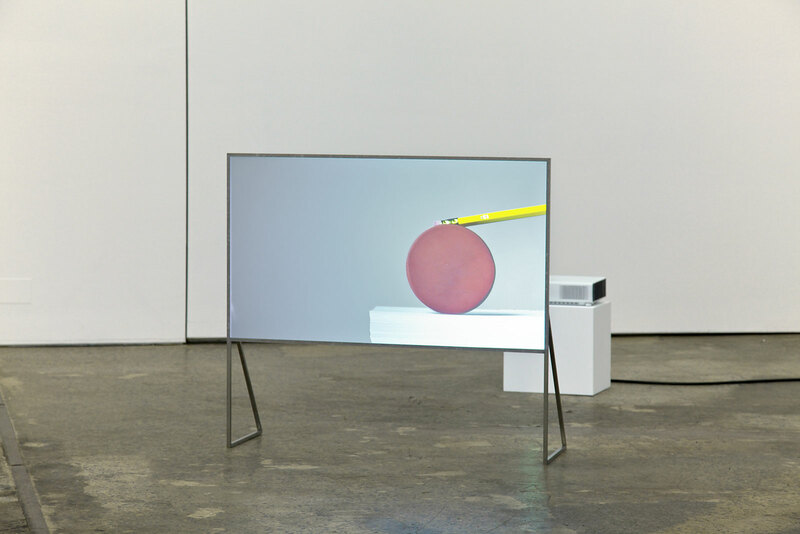 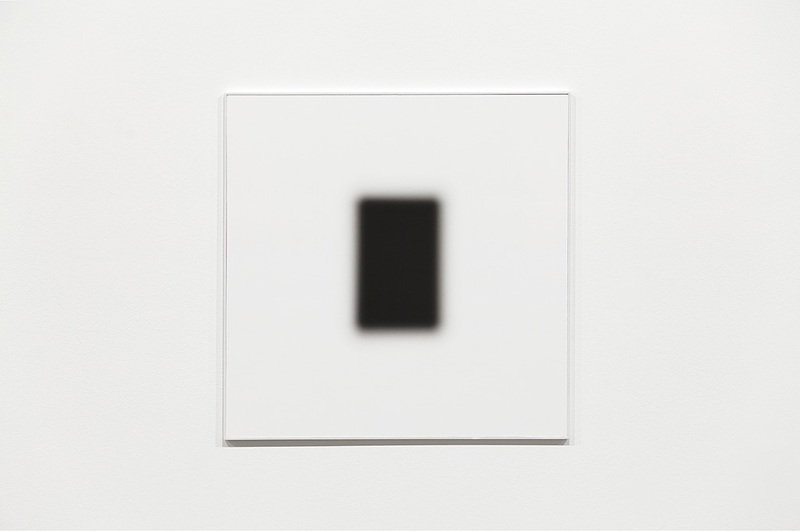 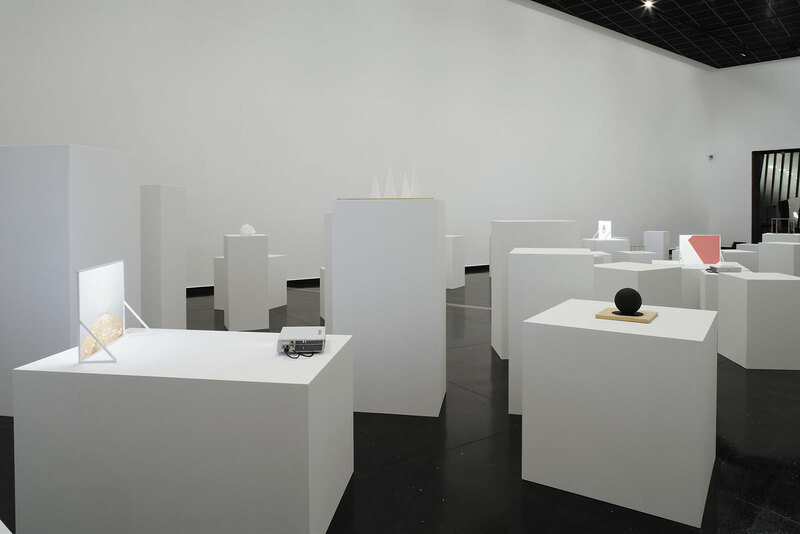 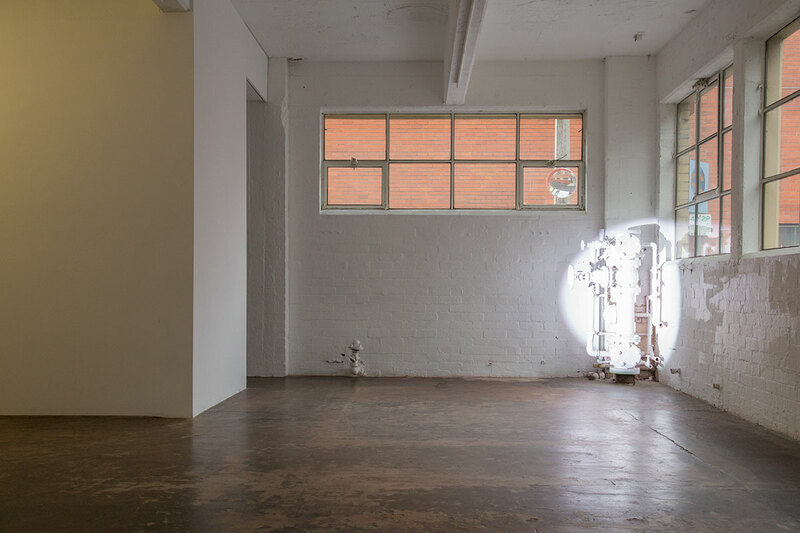 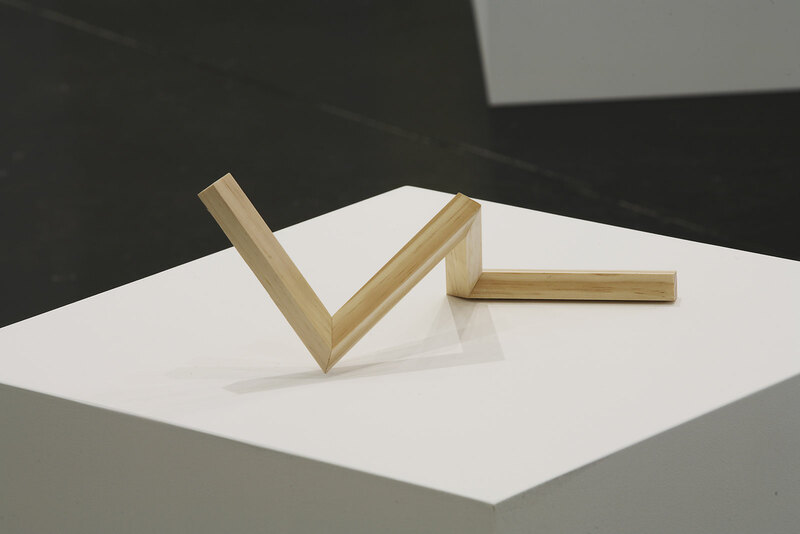 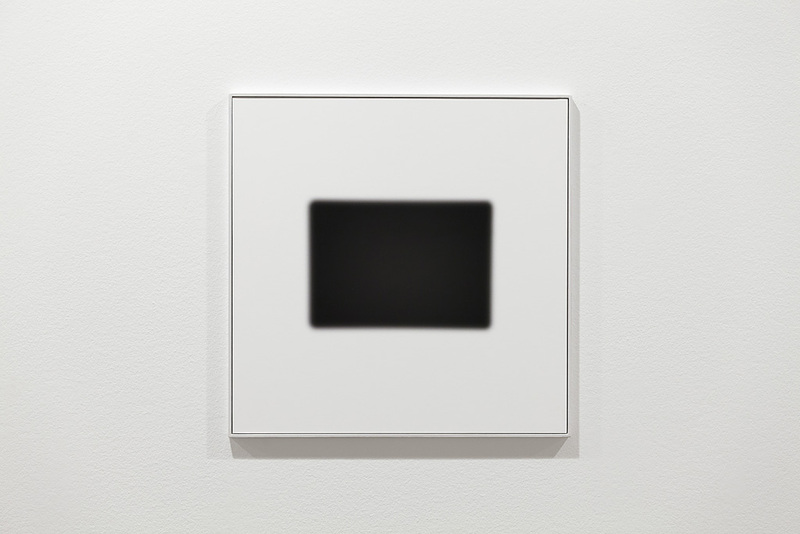 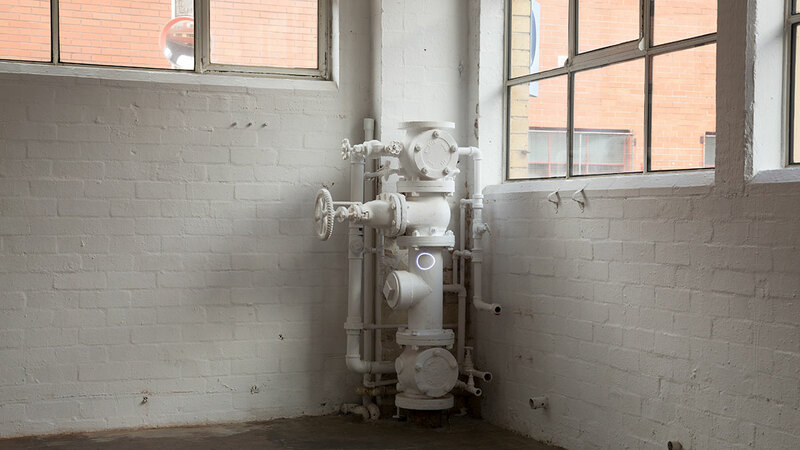 Anna Schwartz Gallery, Melbourne, June 30 - July 23, 2016. 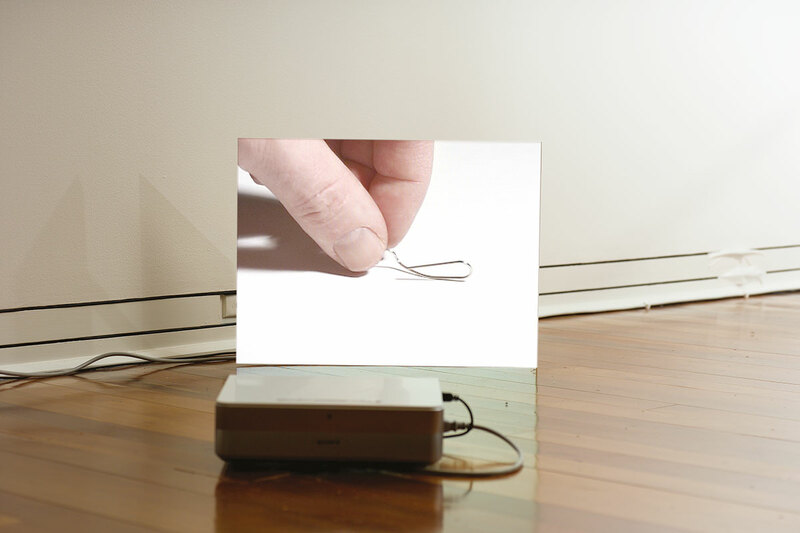 Made with the assistance of the Australia Council for the Arts. 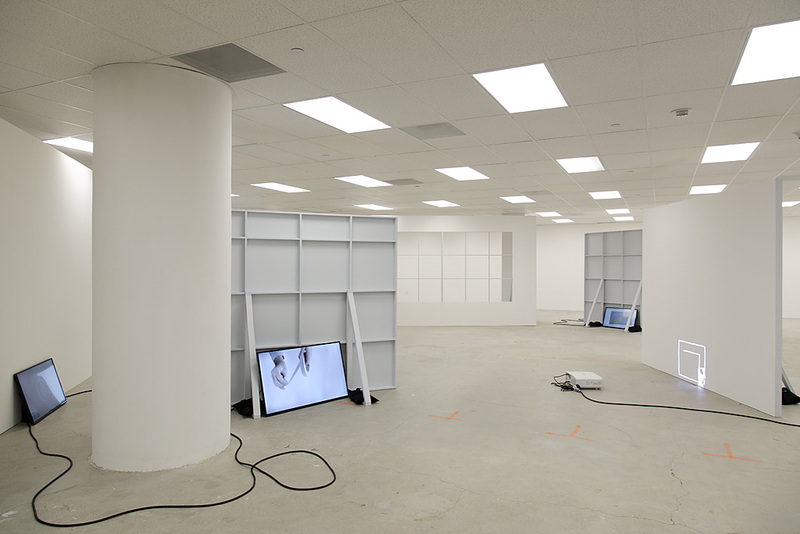 Mixed media installation with 4 HD videos (programmable LED lights, moving head profile light, custom cables, backdrops, booms, supports). 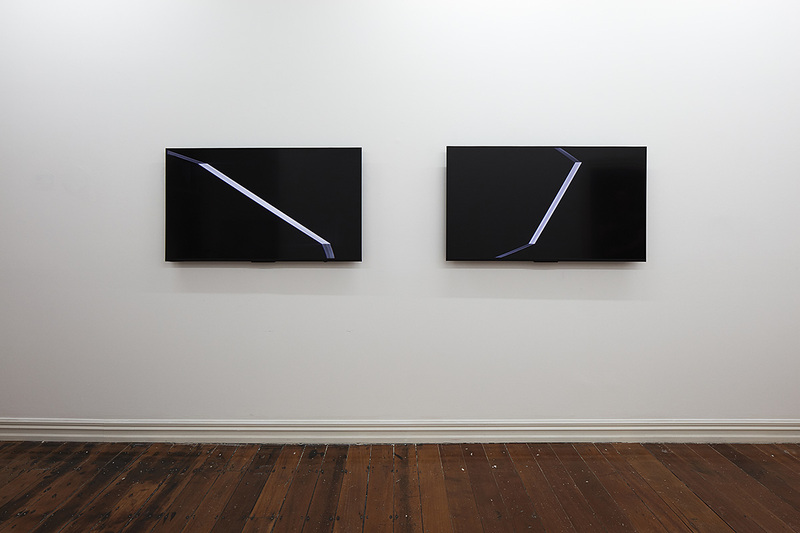 Images 11-17 by Zan Wimberley. 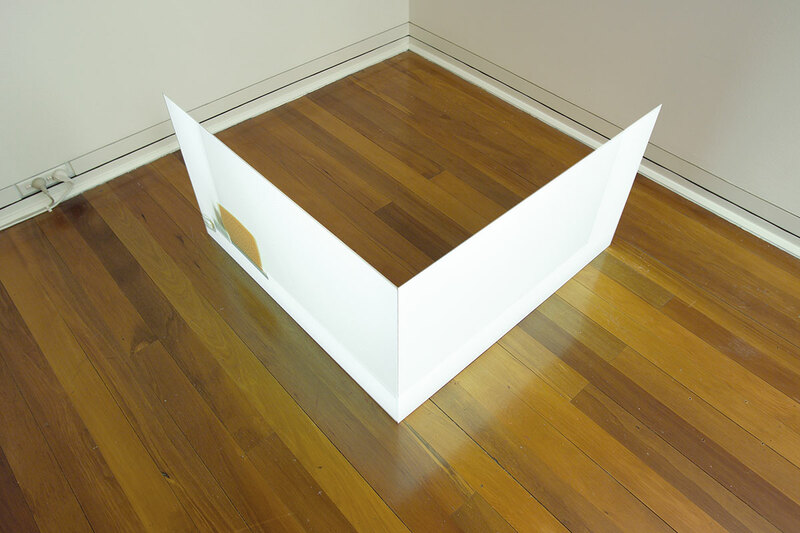 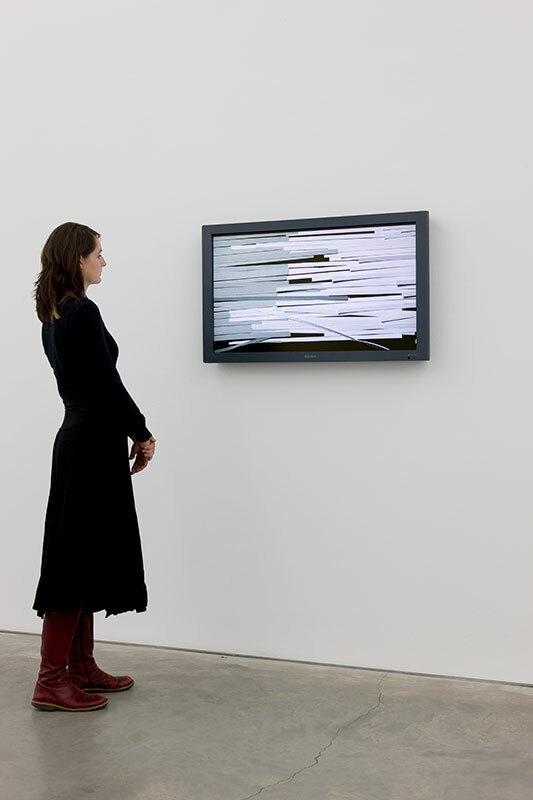 See here for video documentation. 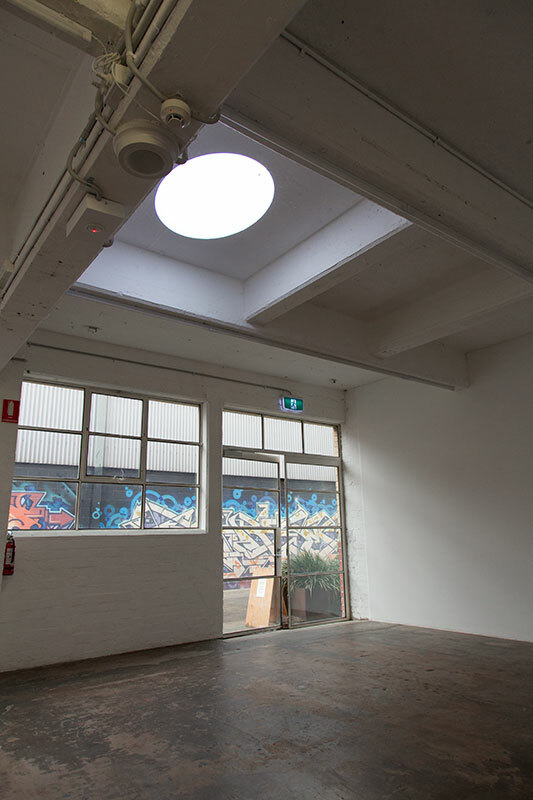 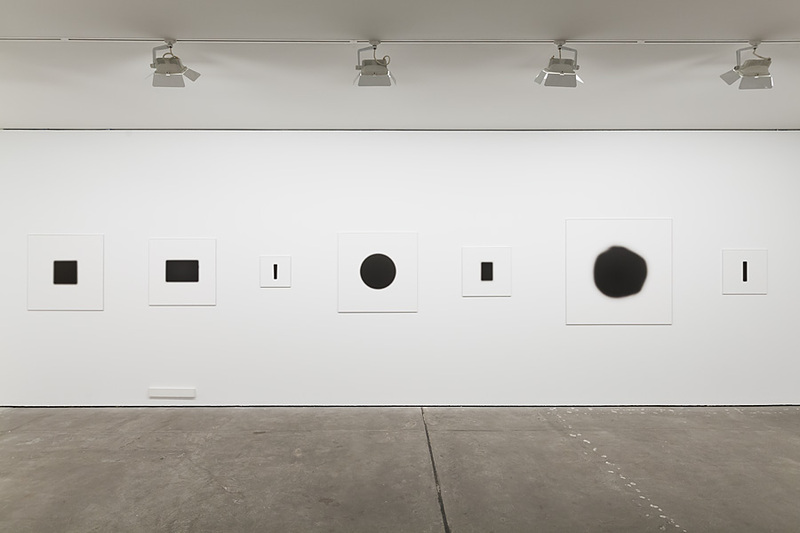 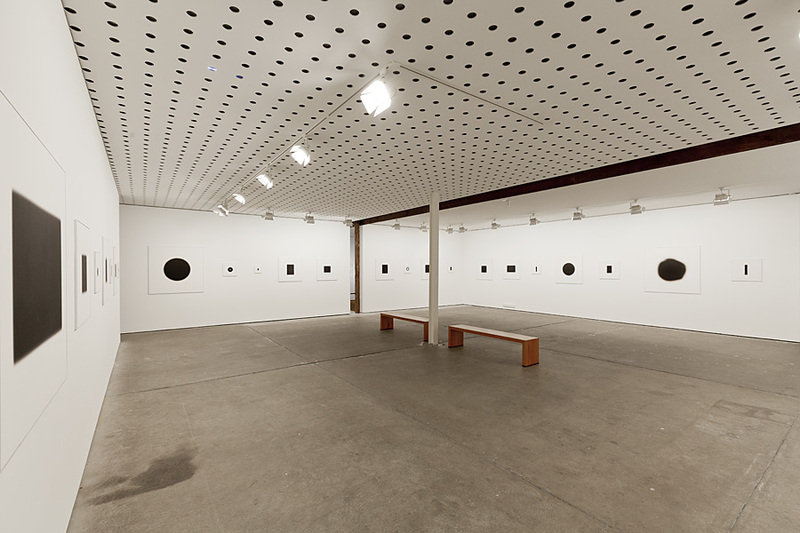 Anna Schwartz Gallery Melbourne, 2015. 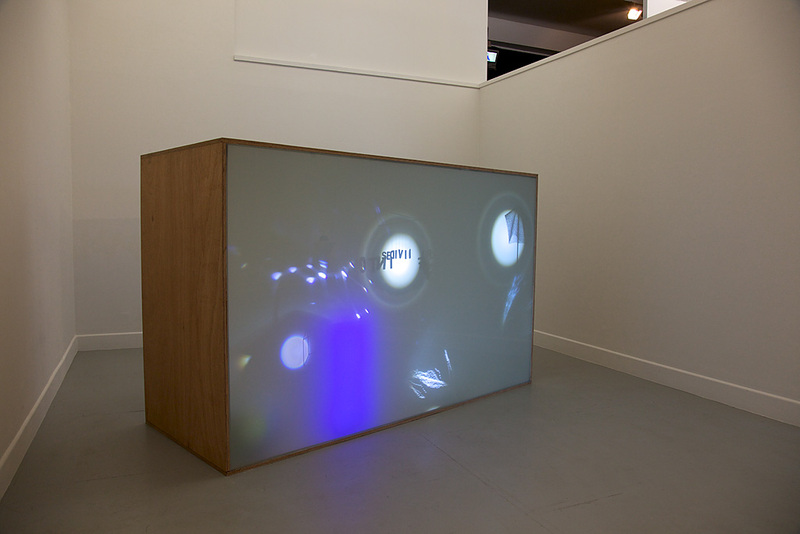 Five screen video installation, aluminium construction, laser cut MDF, parcan lights. 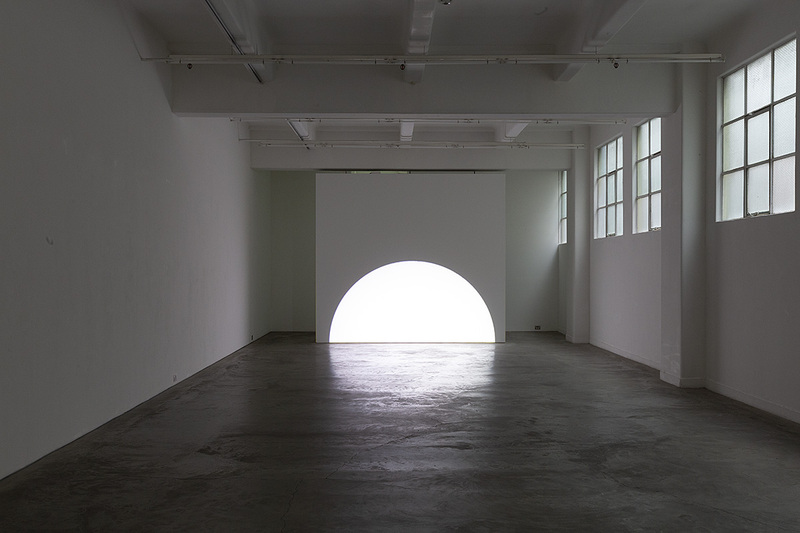 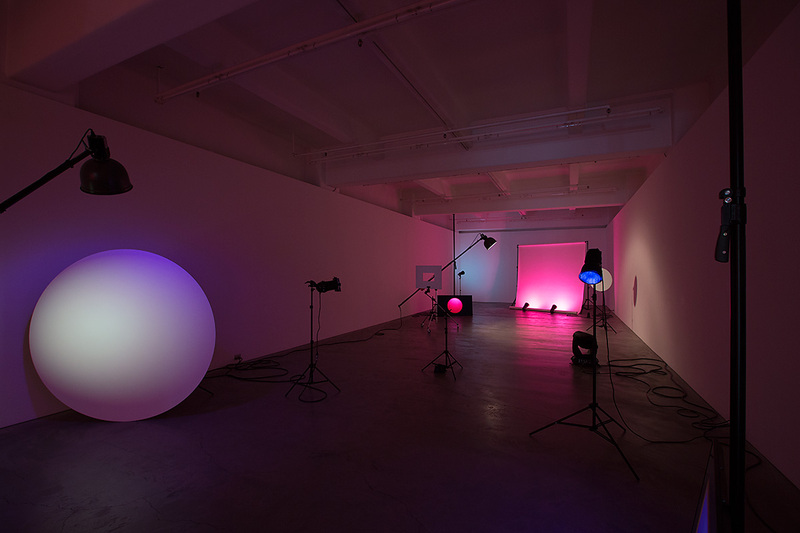 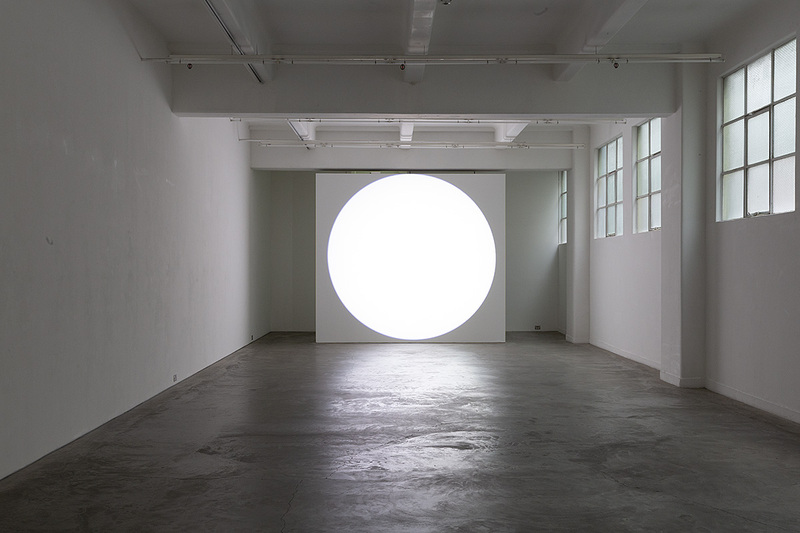 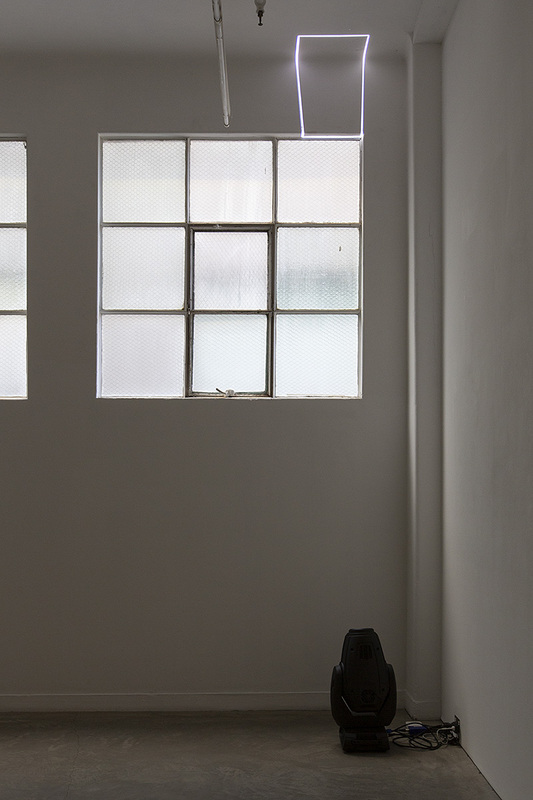 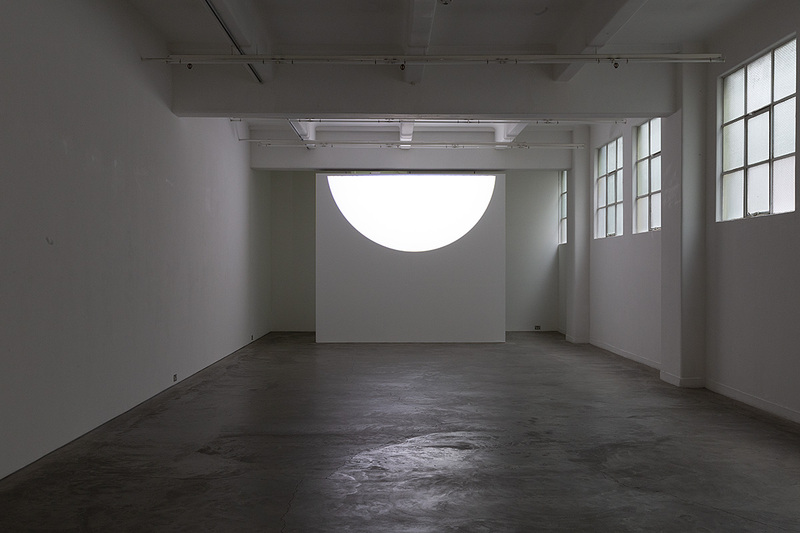 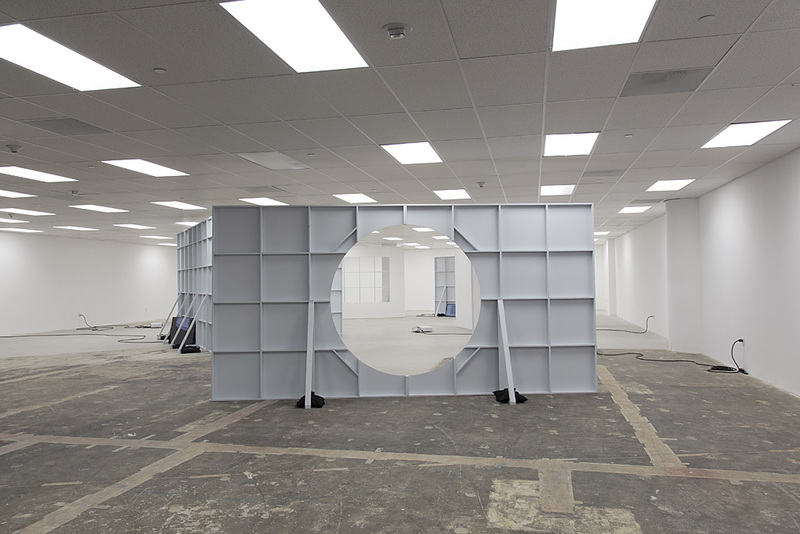 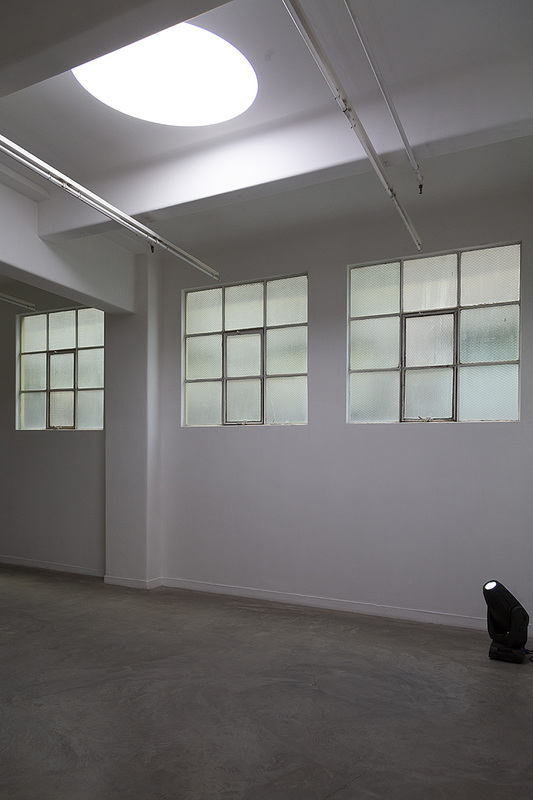 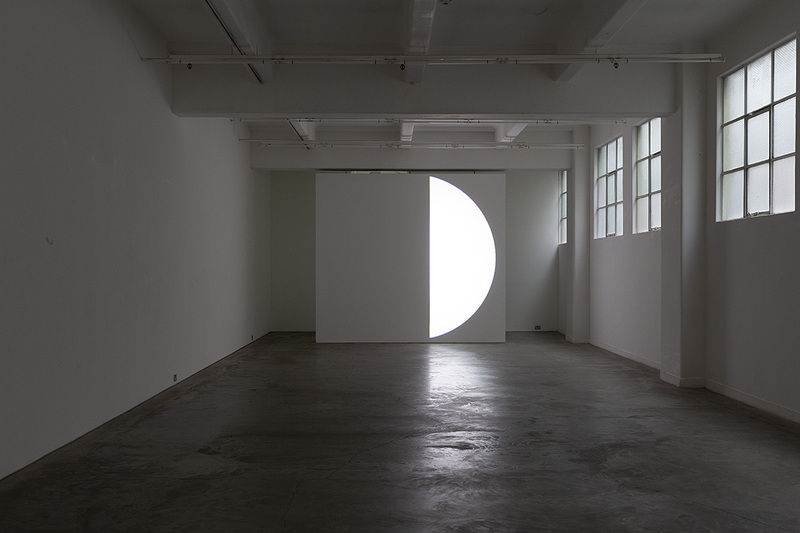 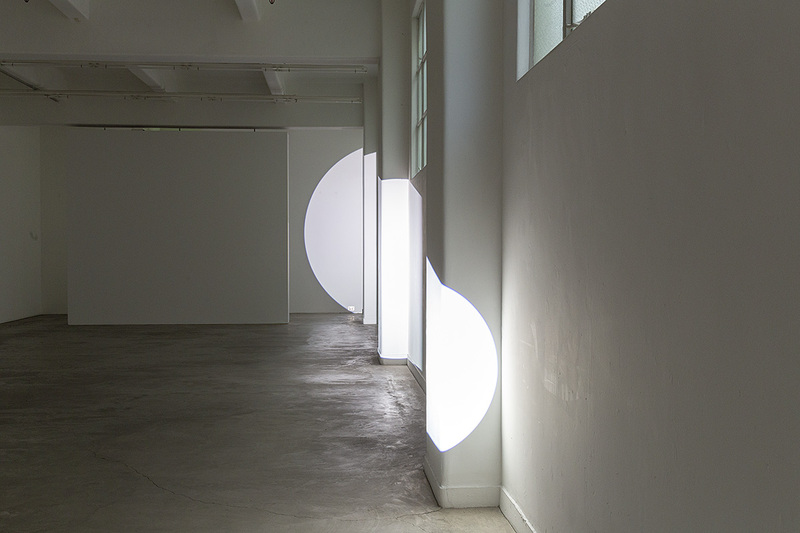 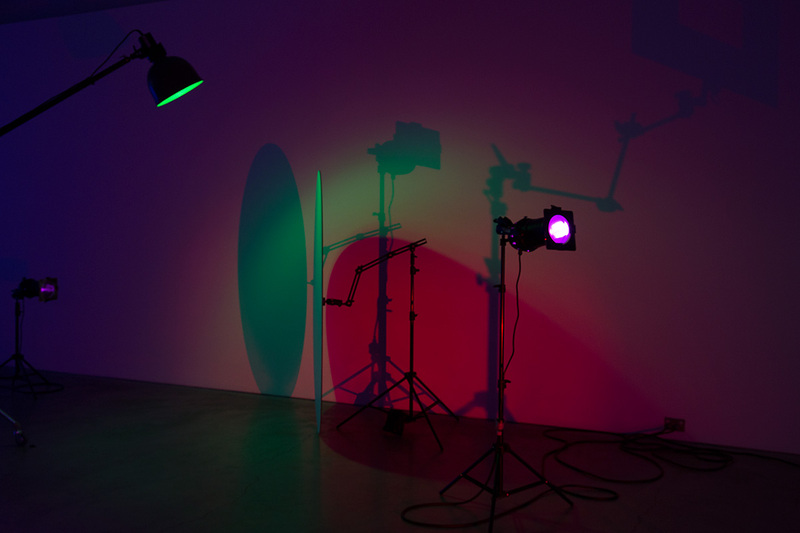 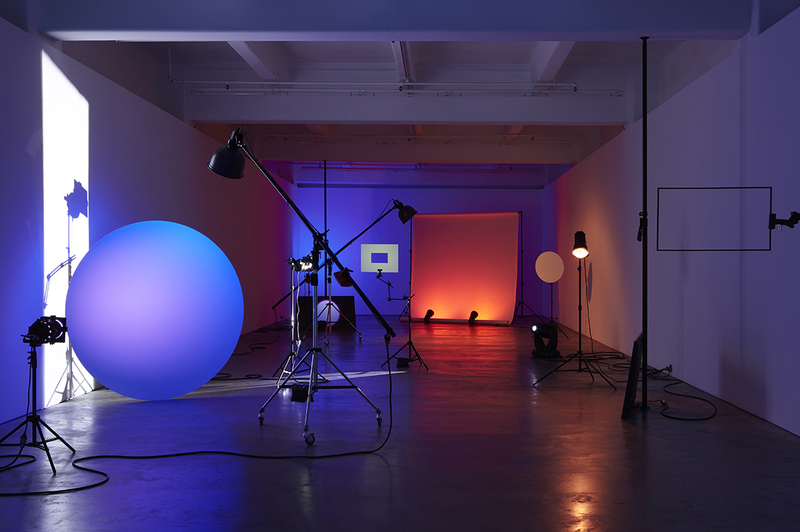 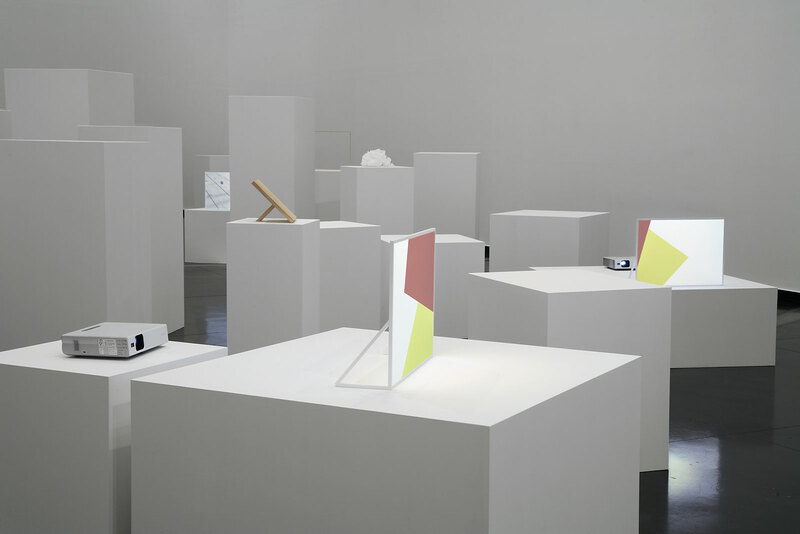 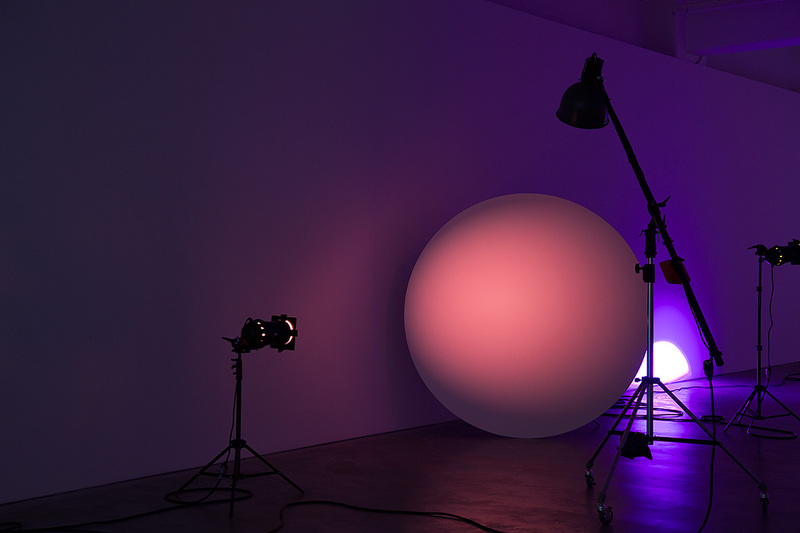 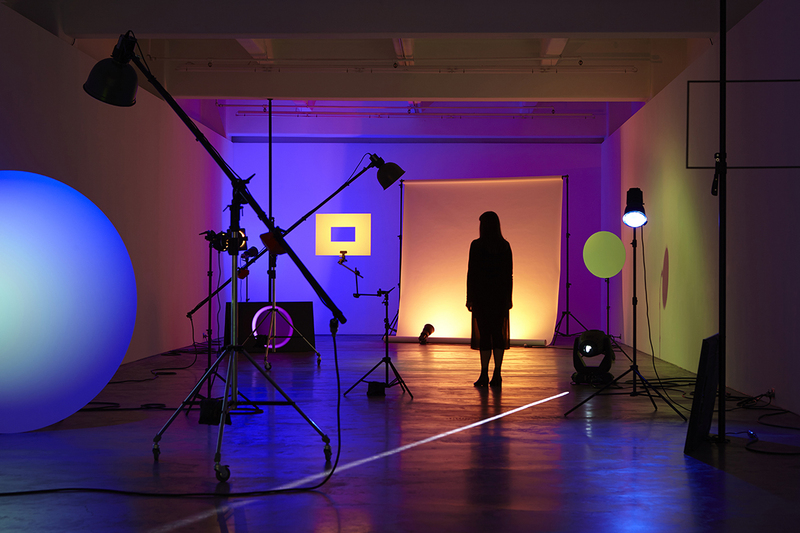 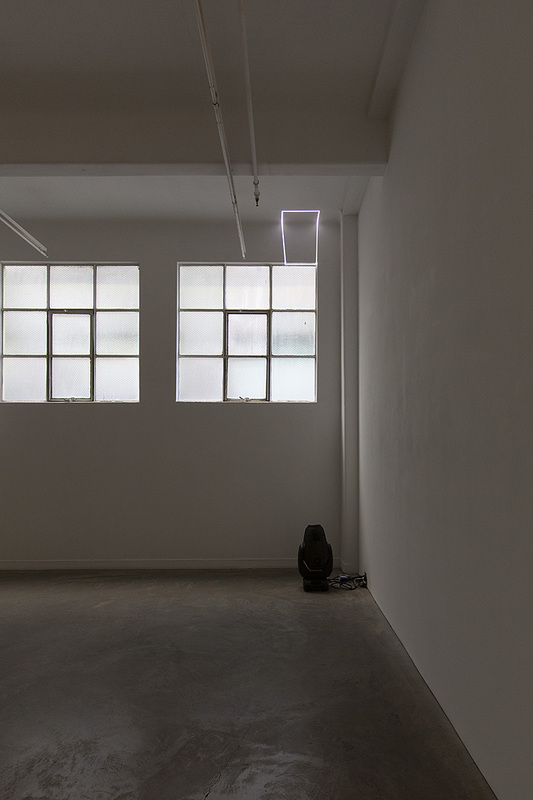 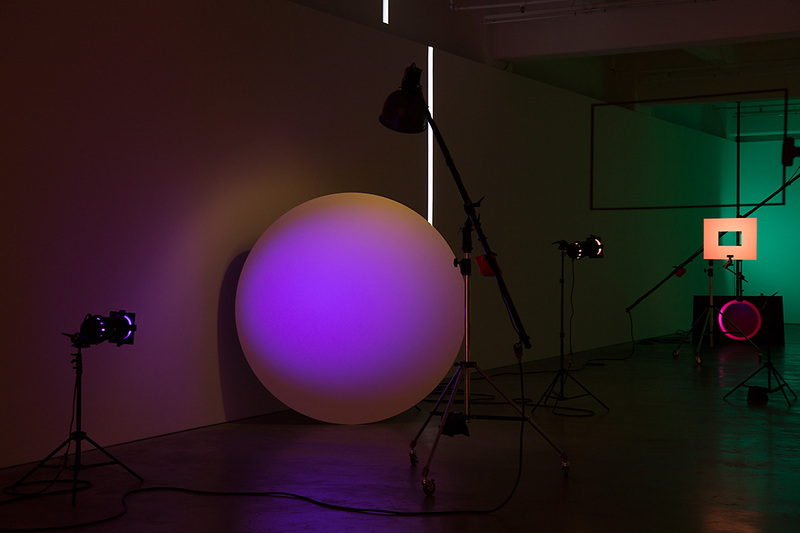 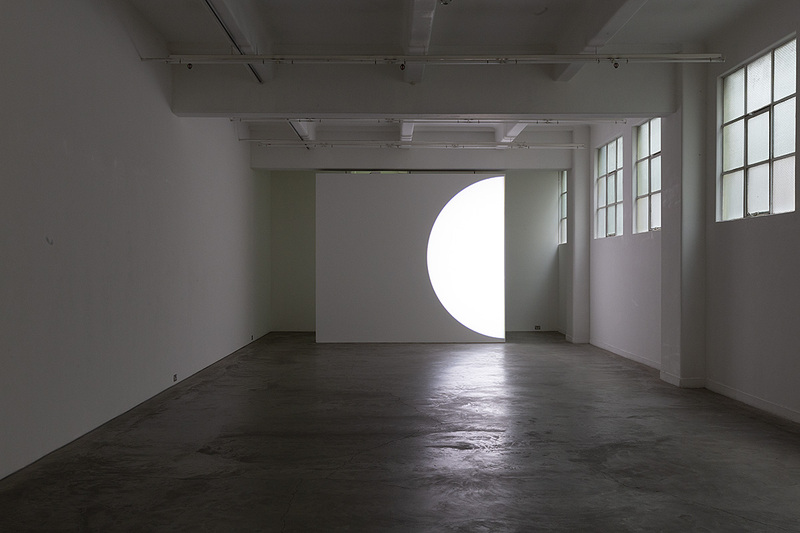 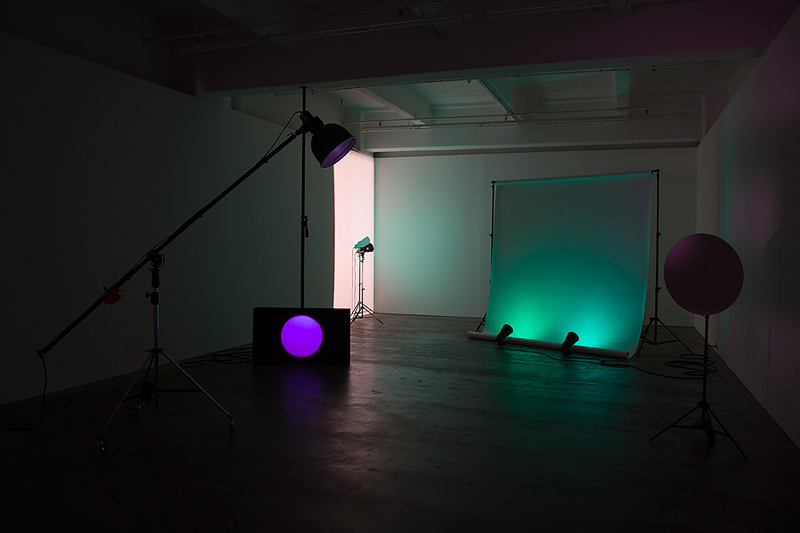 Young Projects Gallery, Los Angeles, 2014. 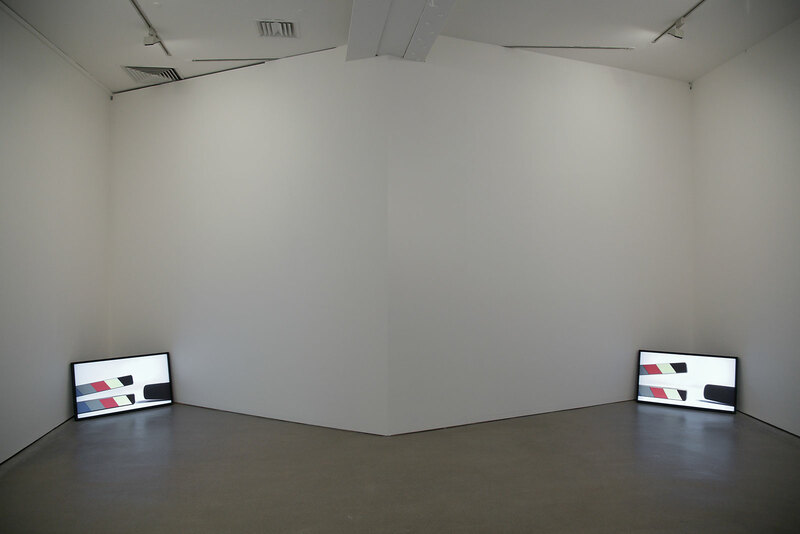 9 screen video installation. 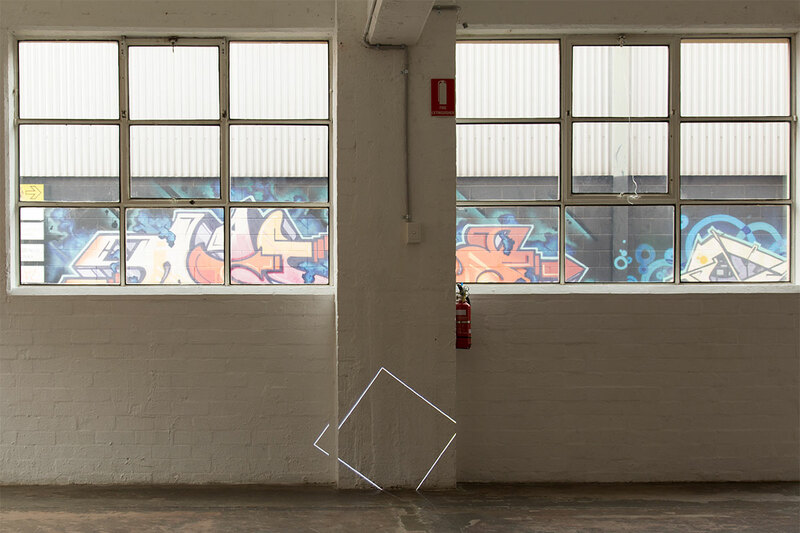 Made with the assistance of Arts Victoria, the Australia Council for the Arts and MADA. 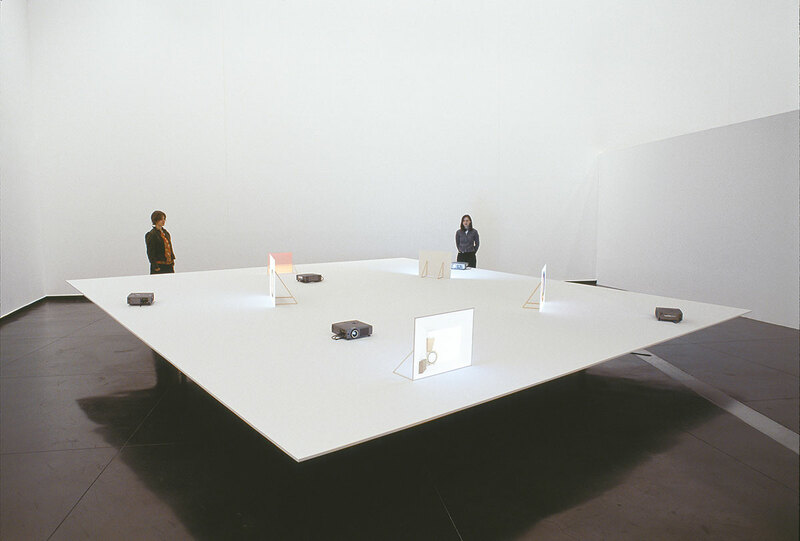 Paradox Park, Comissioned by the National Gallery of Victoria for Melbourne Now, 2013. 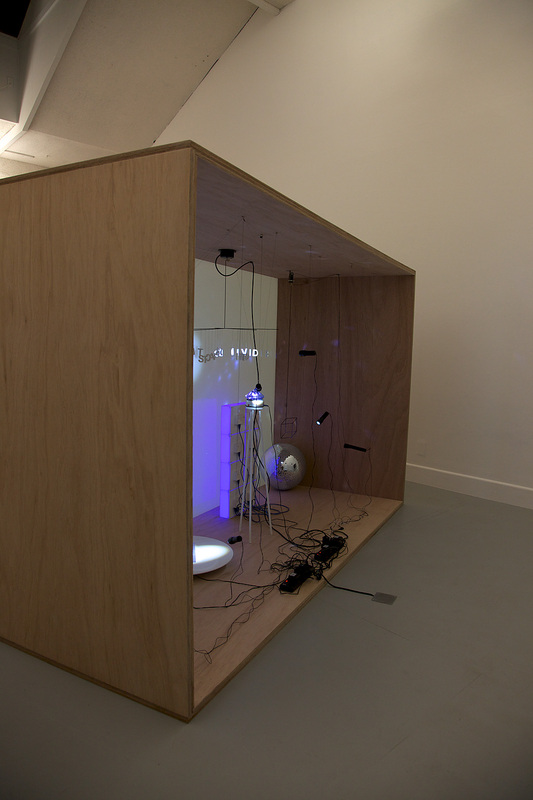 Kinetic sculpture with 7.2 metre square 'platform', 10x submersible pumps, food colouring, water, relays, switches, 2x video projectors, 2x GoPro Hero 3+ cameras, perspex screens. 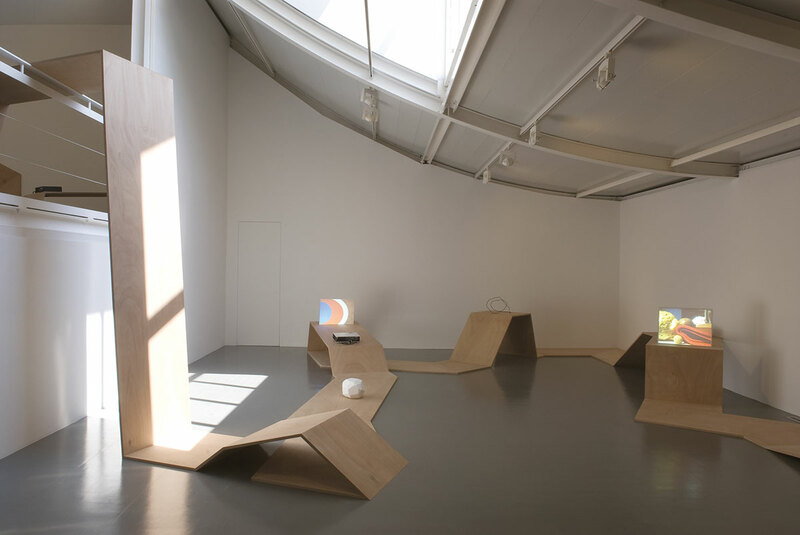 Site Gallery Sheffield - 2009 - 6 screen video installation with architectural interventions. 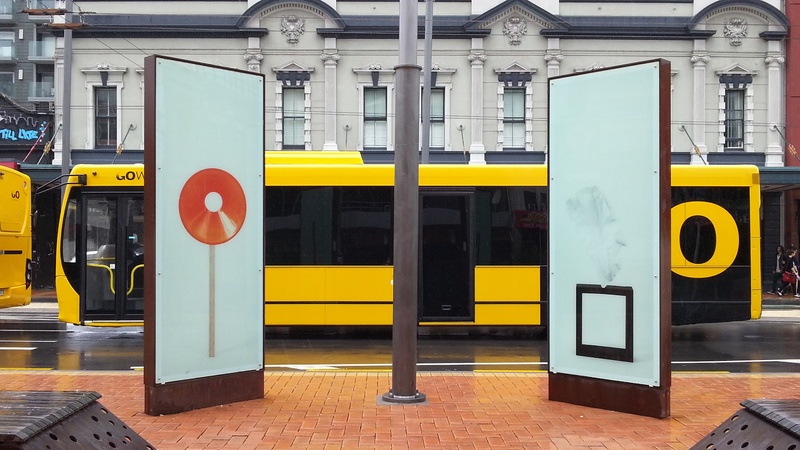 This project was support by the Australia Council for the Arts and Arts Victoria. 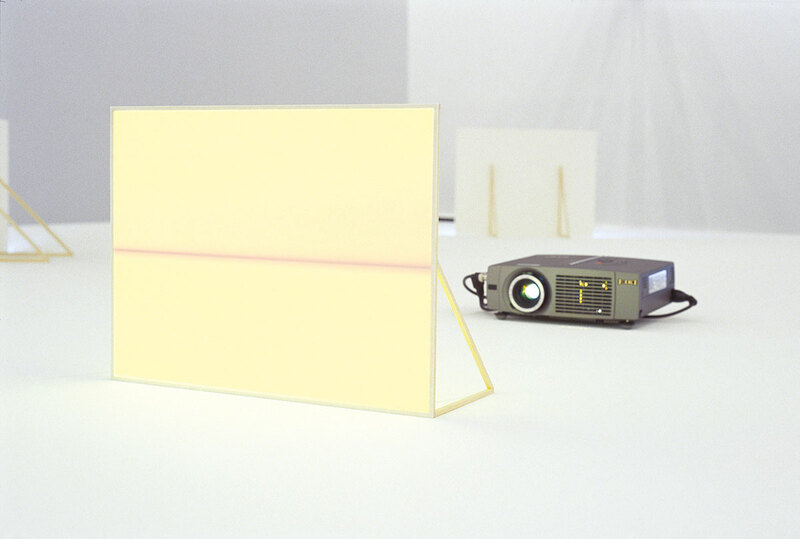 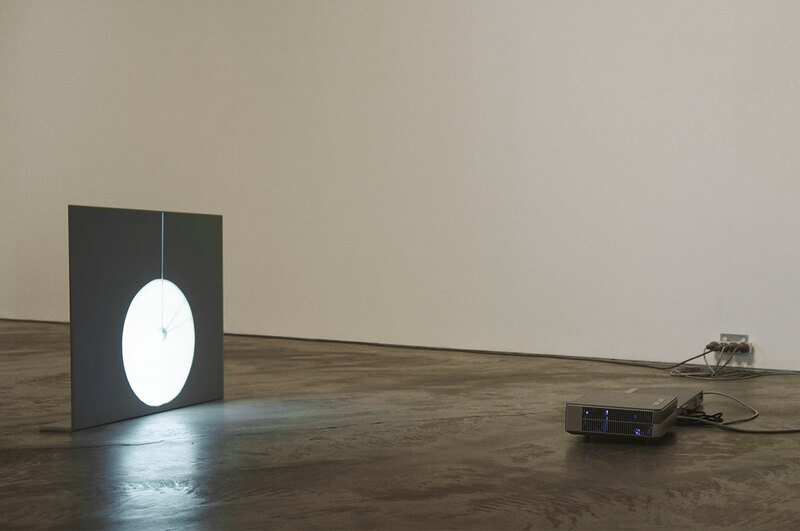 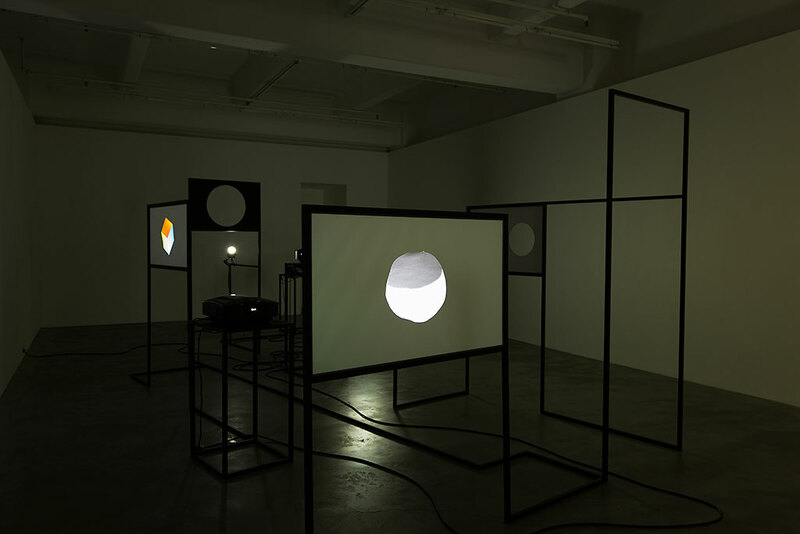 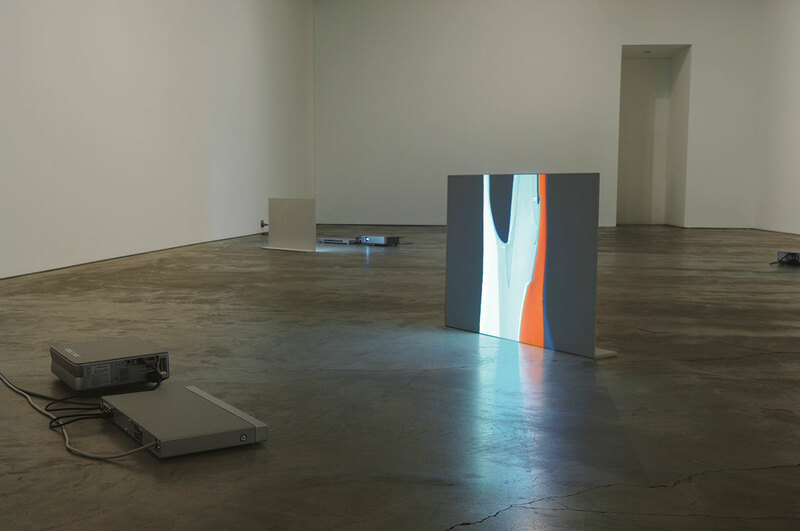 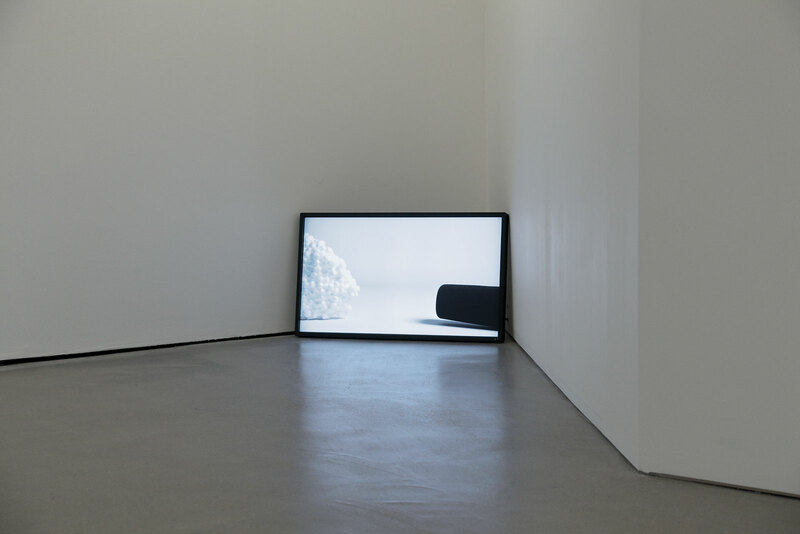 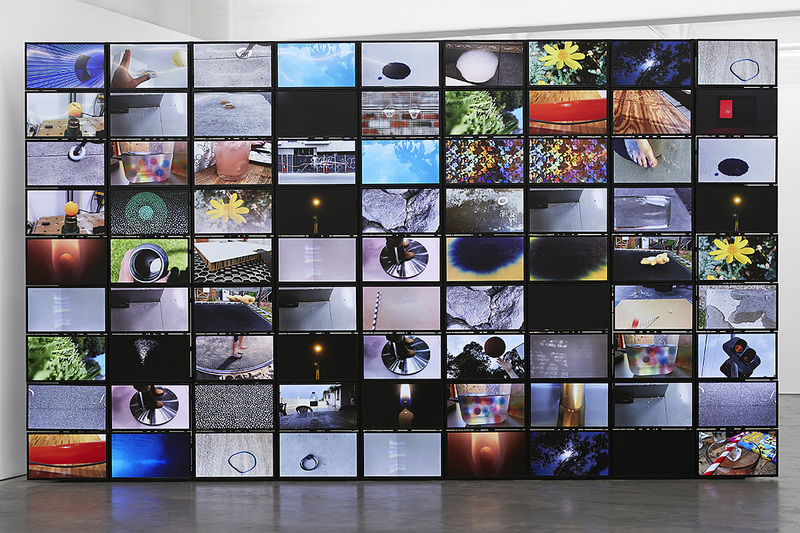 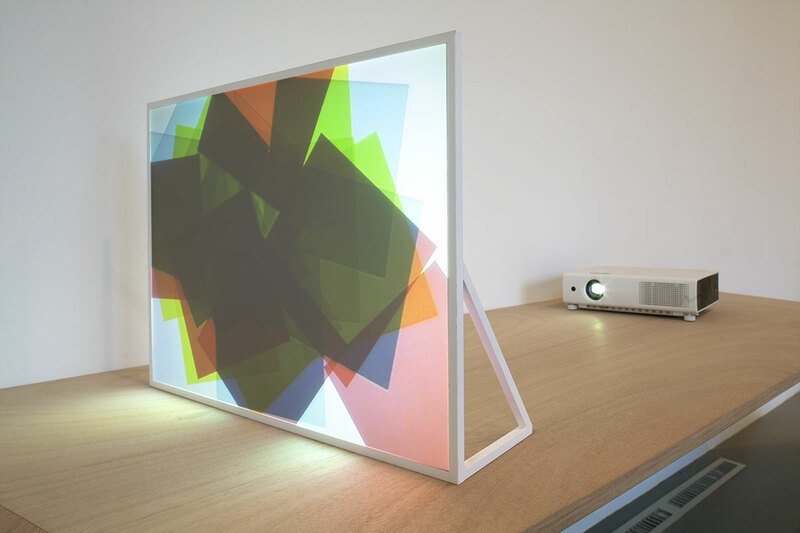 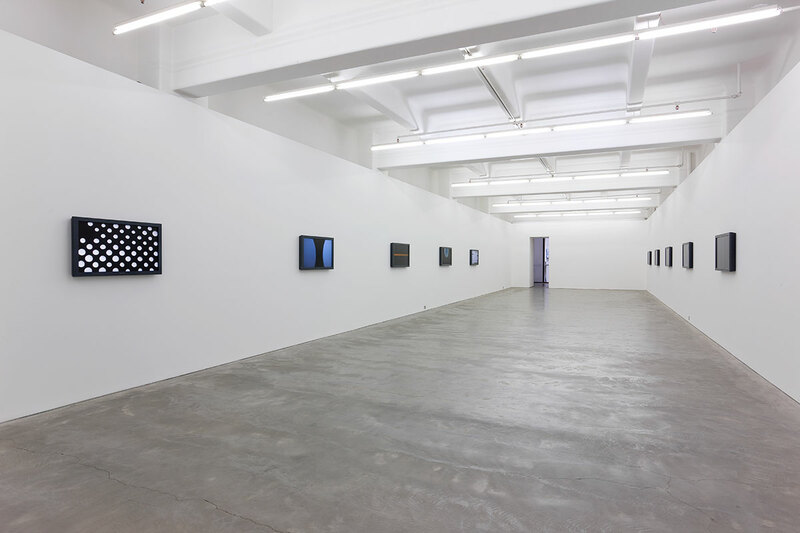 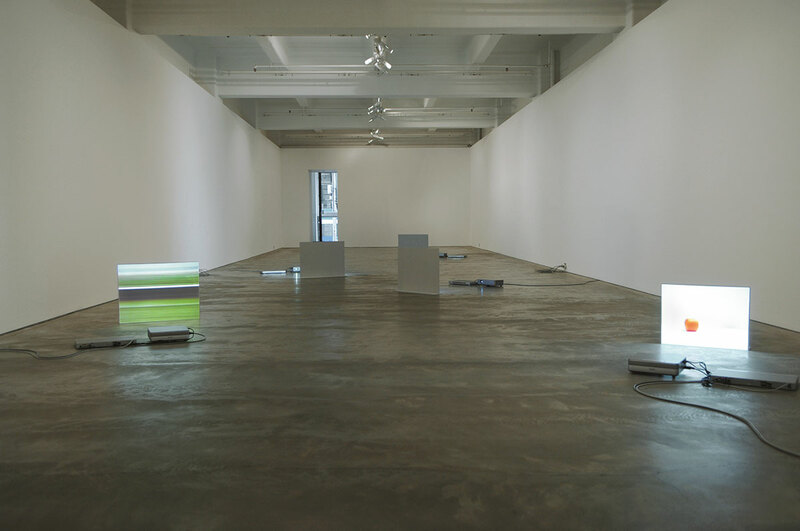 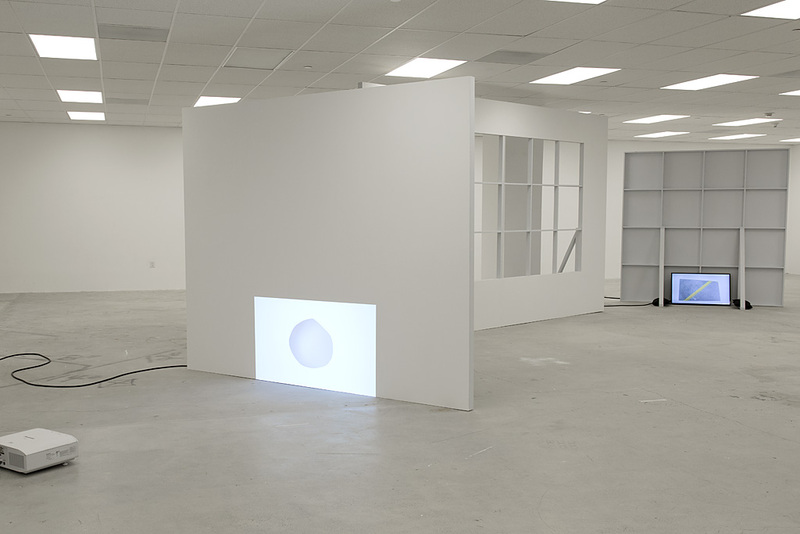 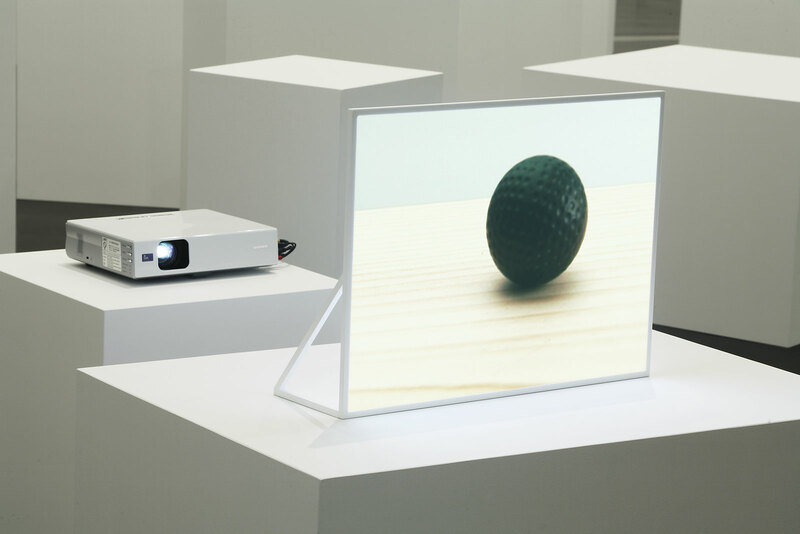 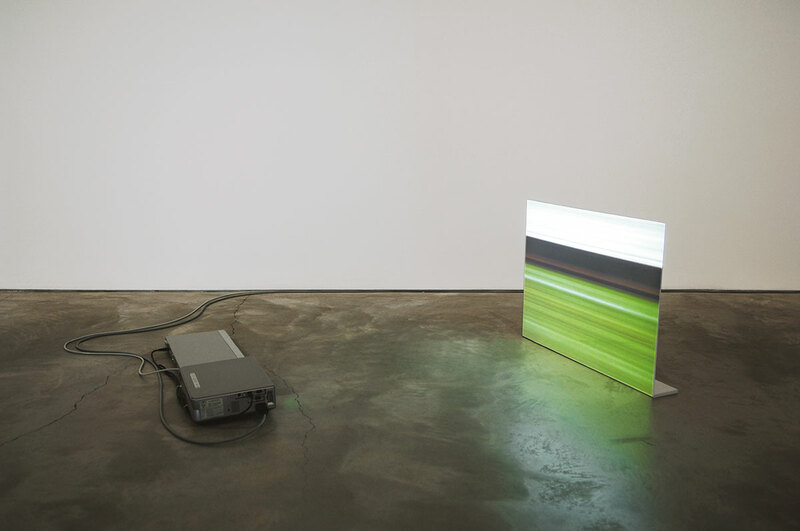 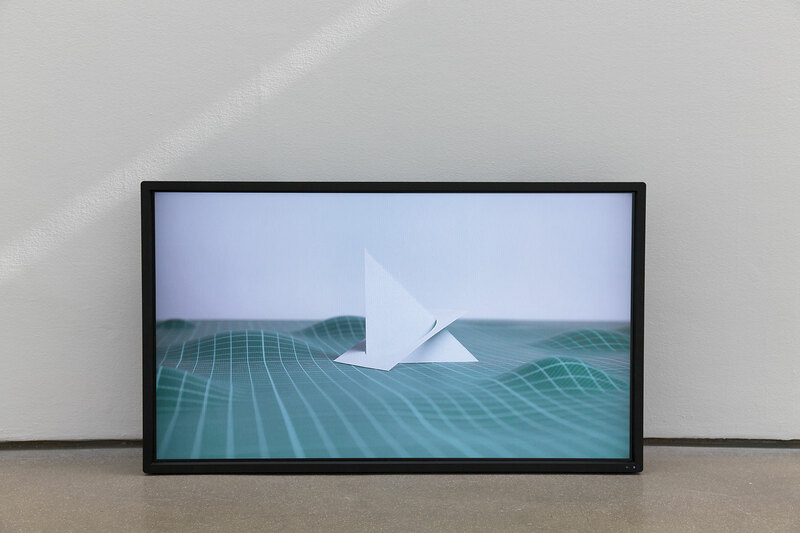 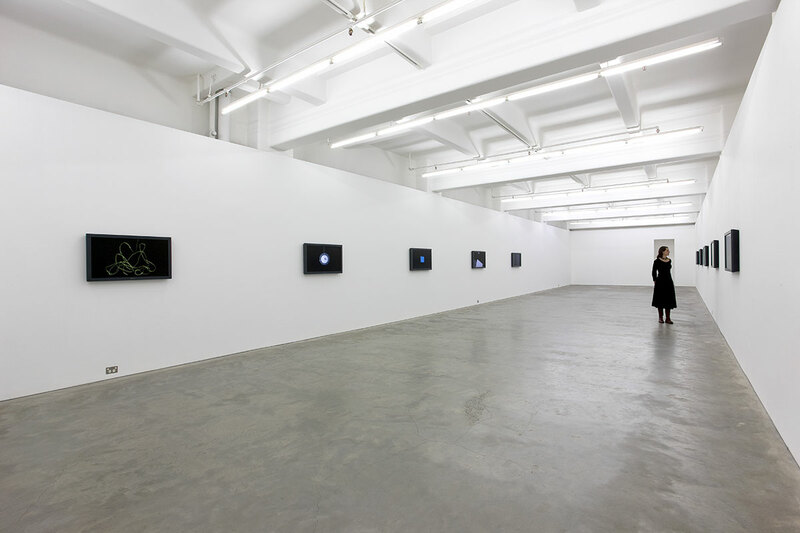 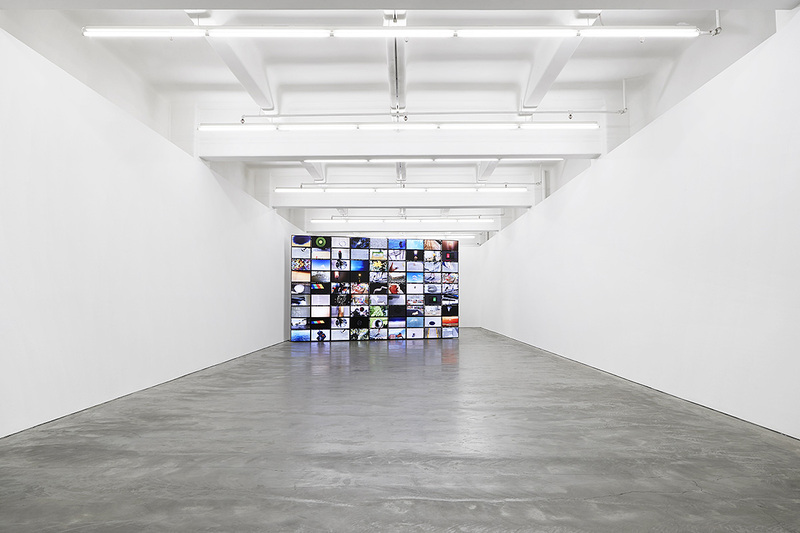 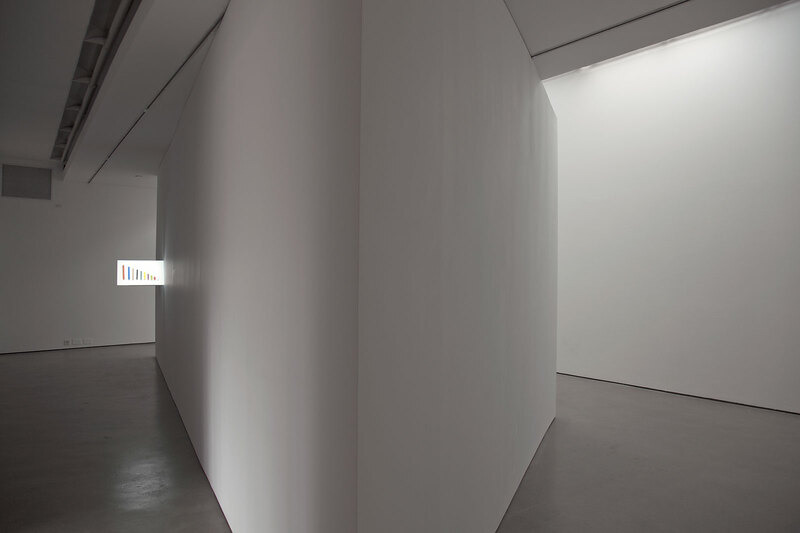 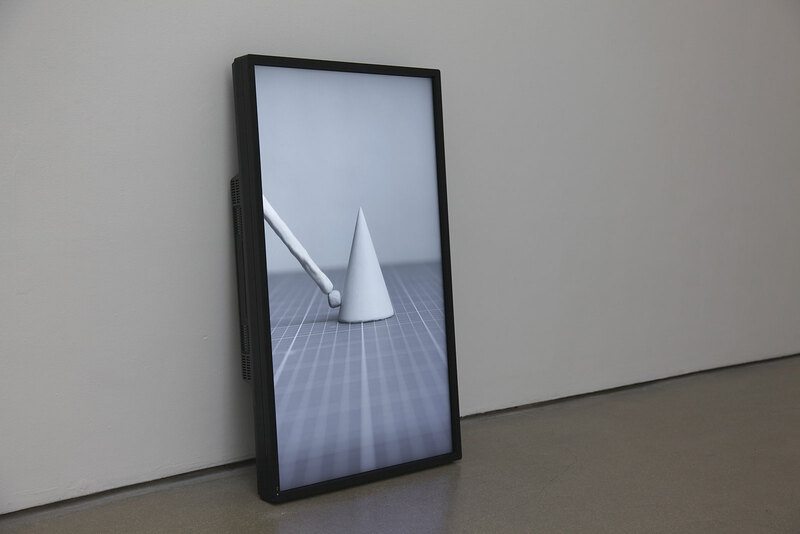 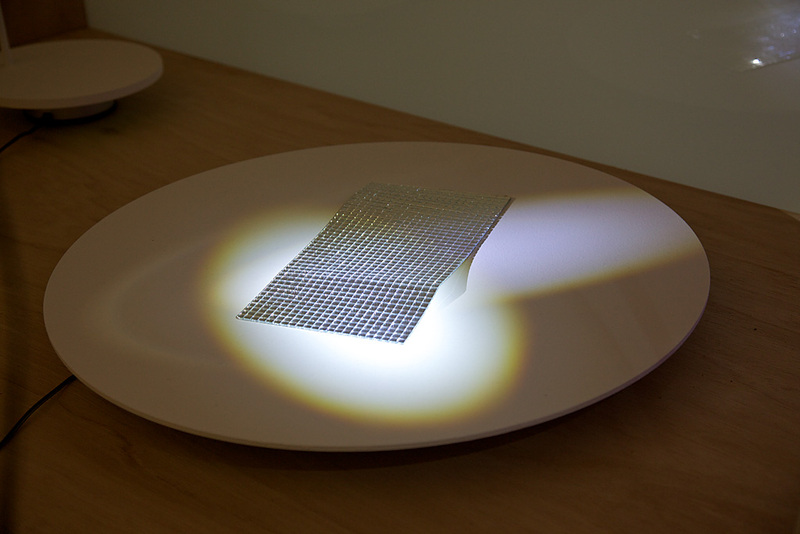 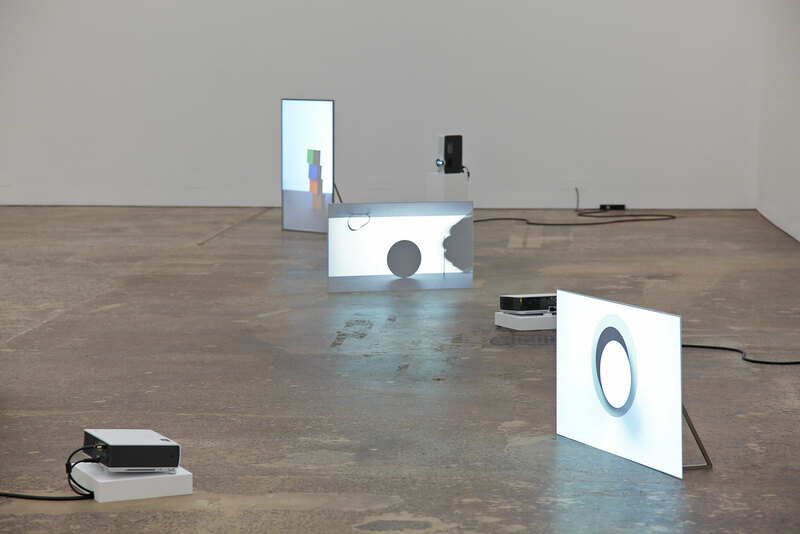 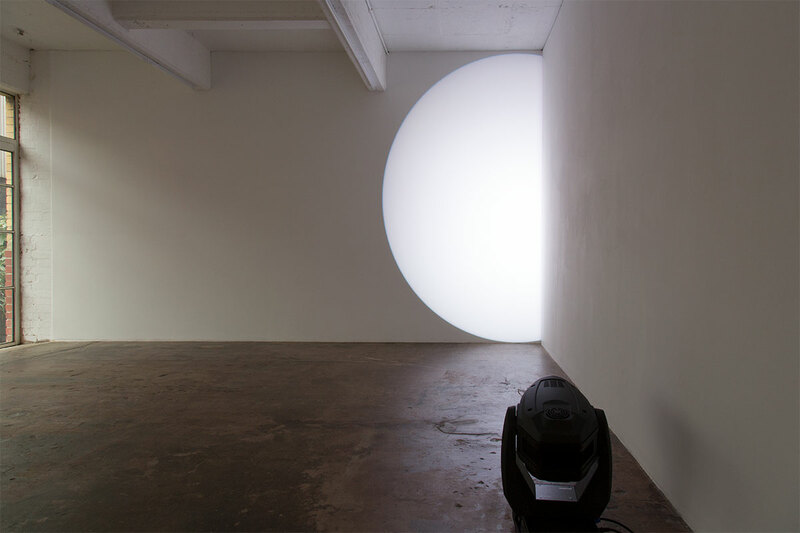 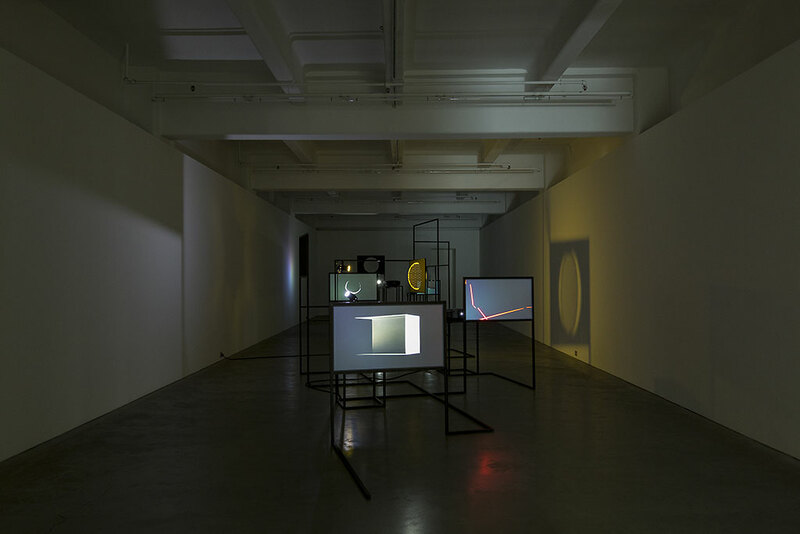 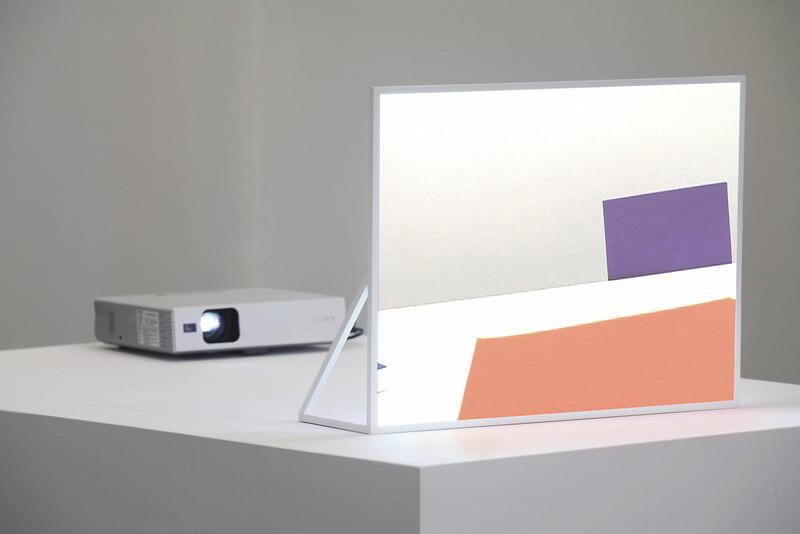 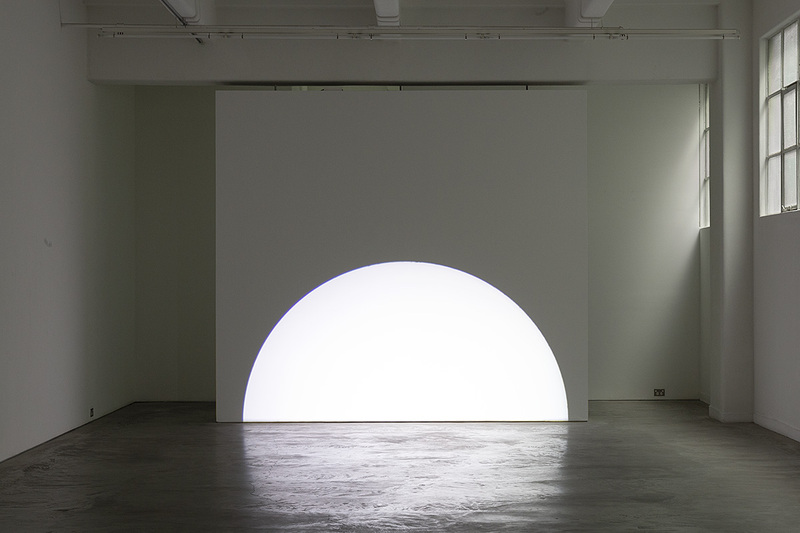 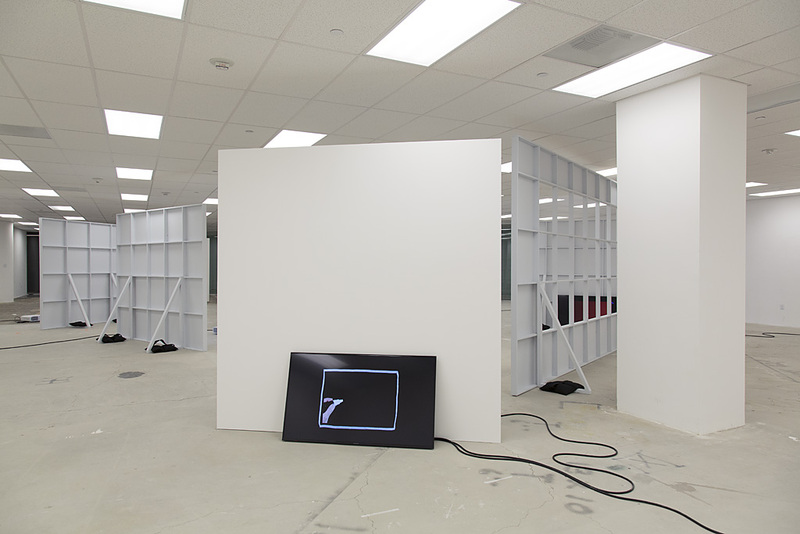 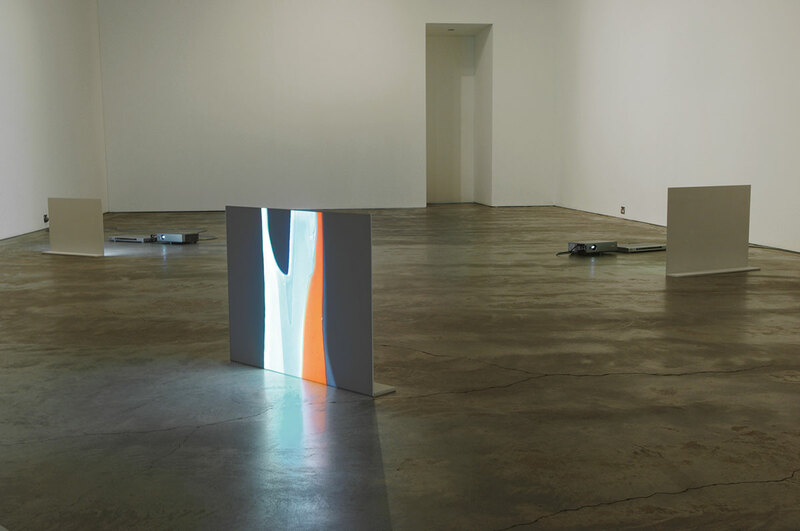 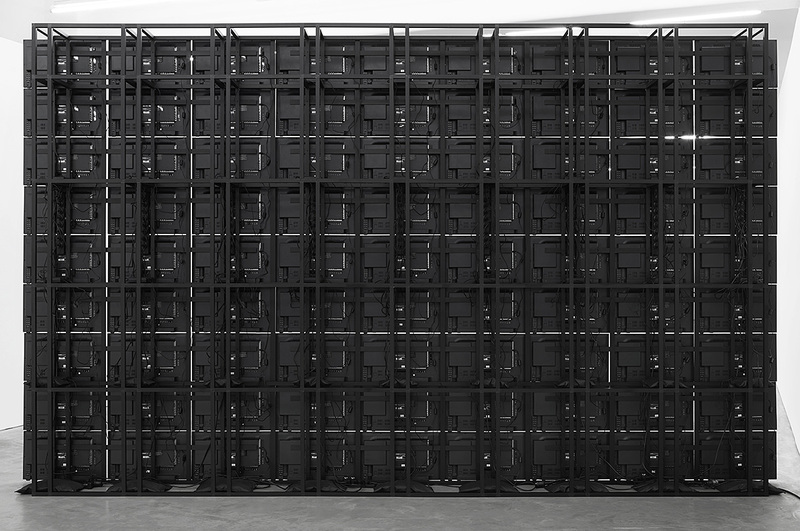 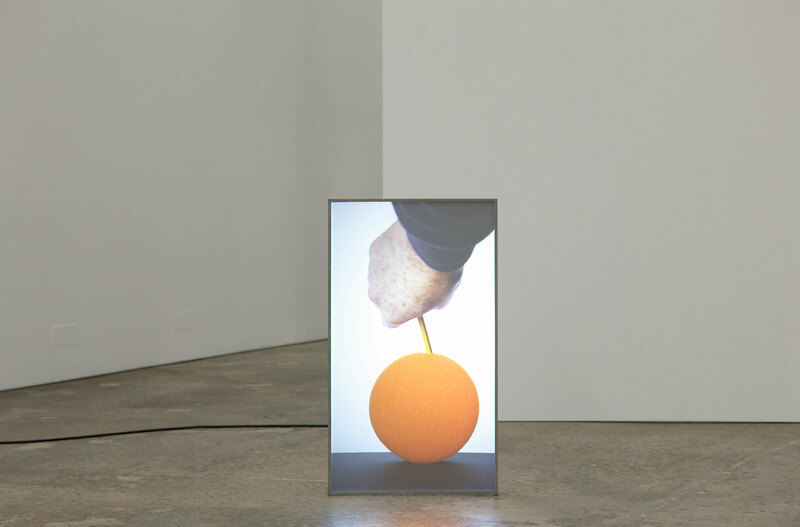 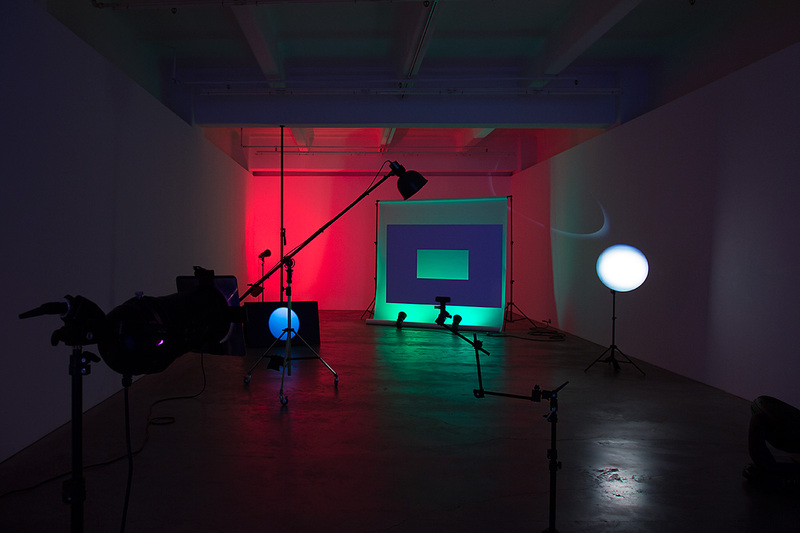 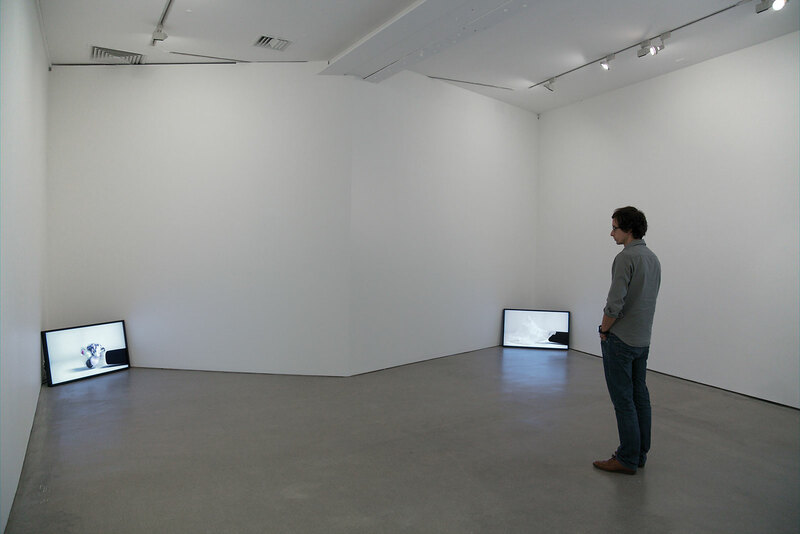 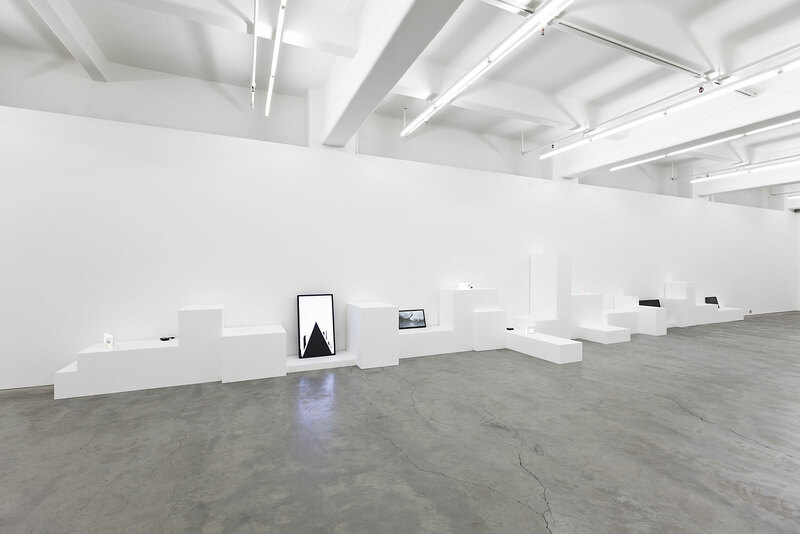 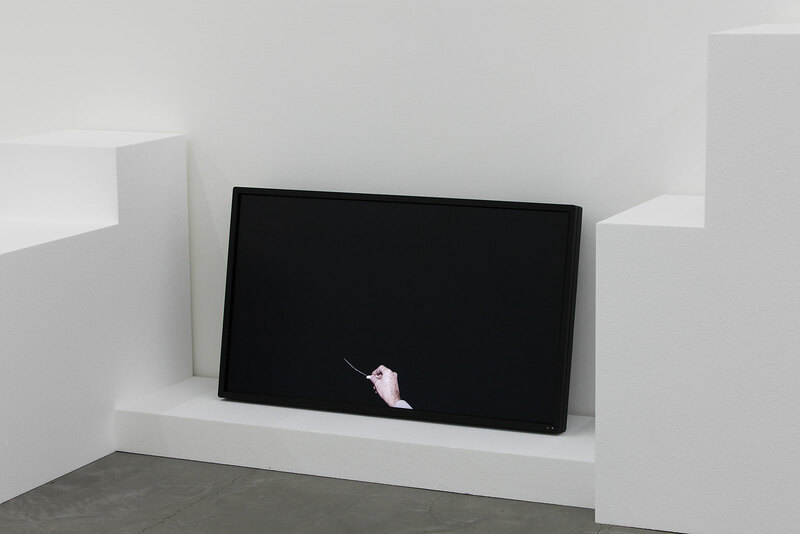 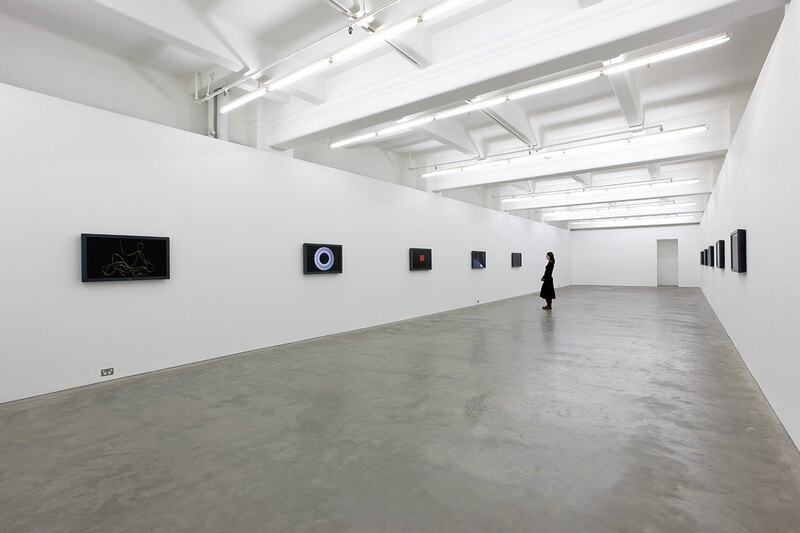 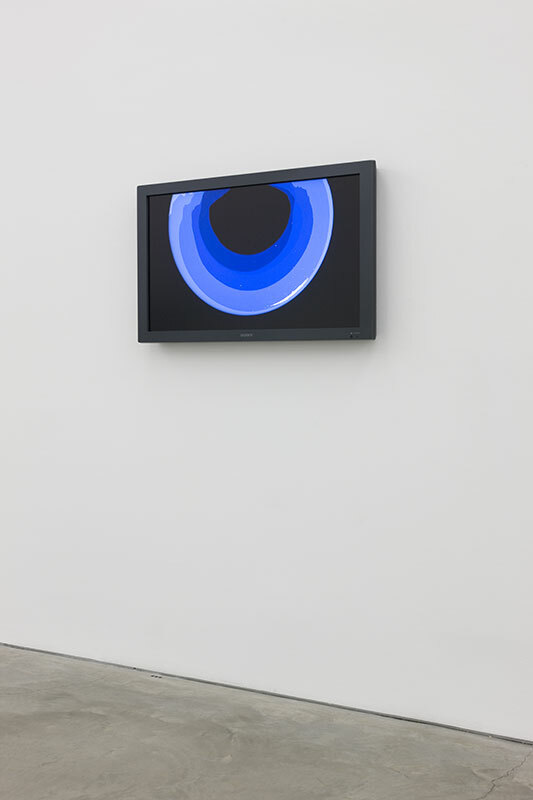 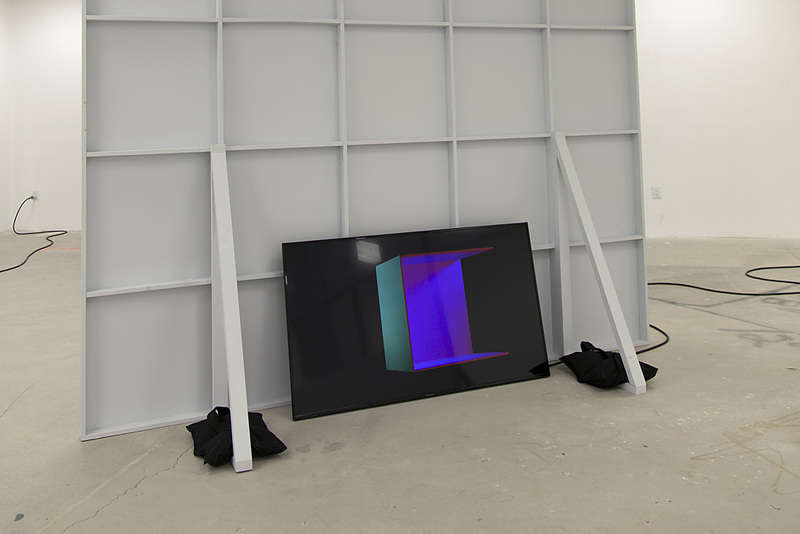 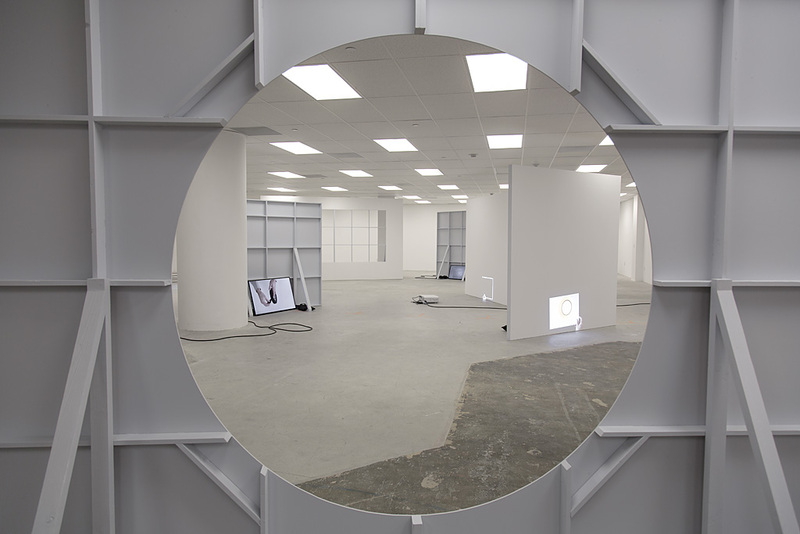 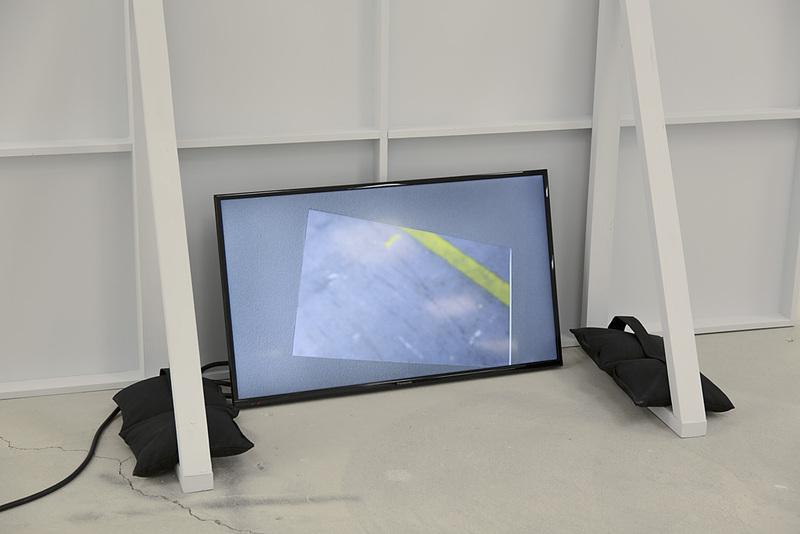 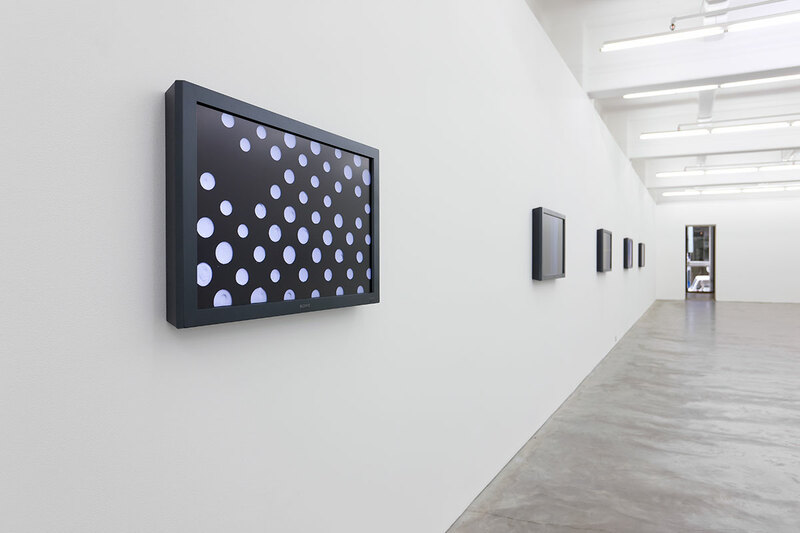 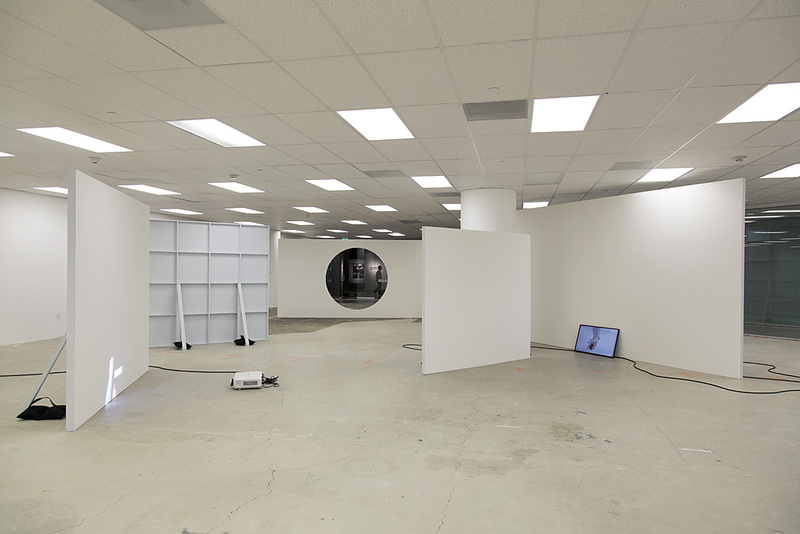 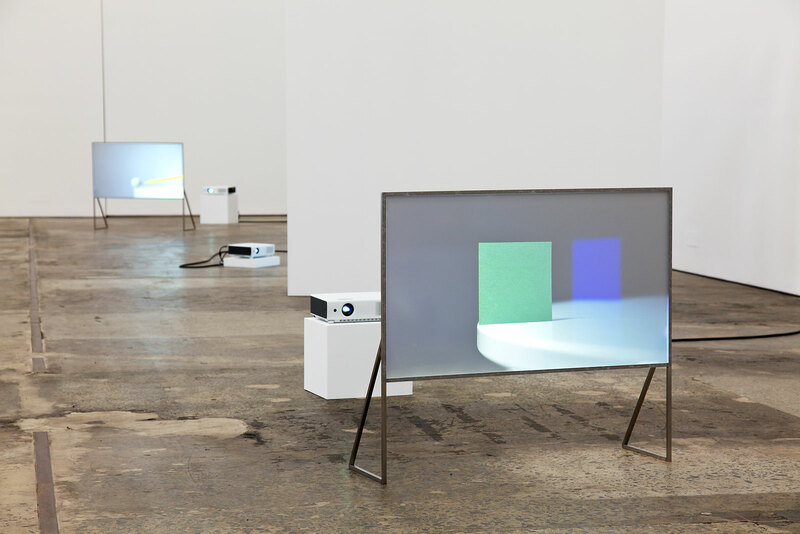 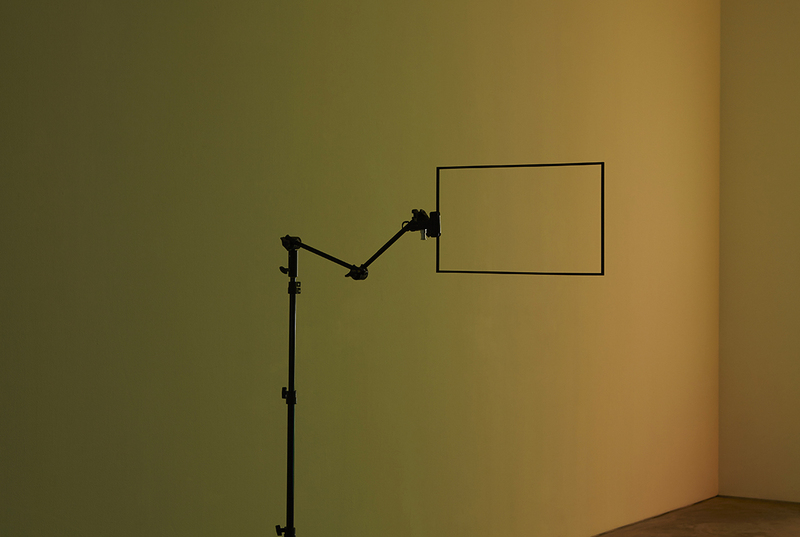 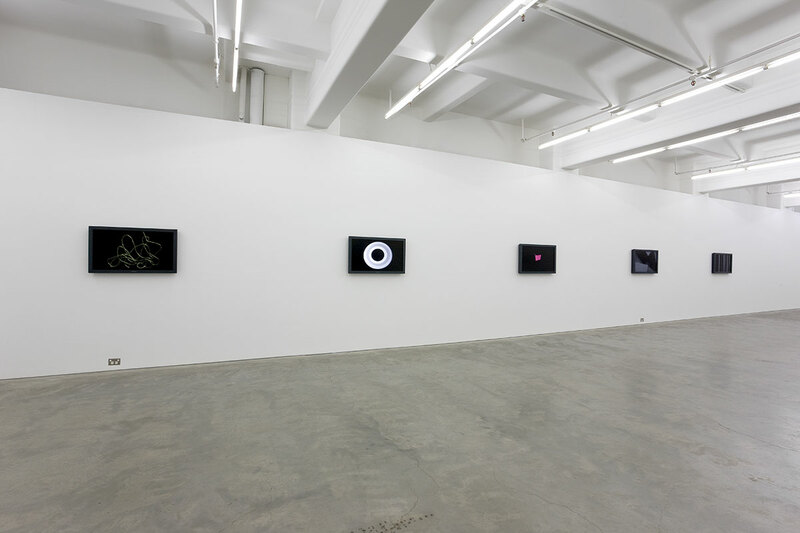 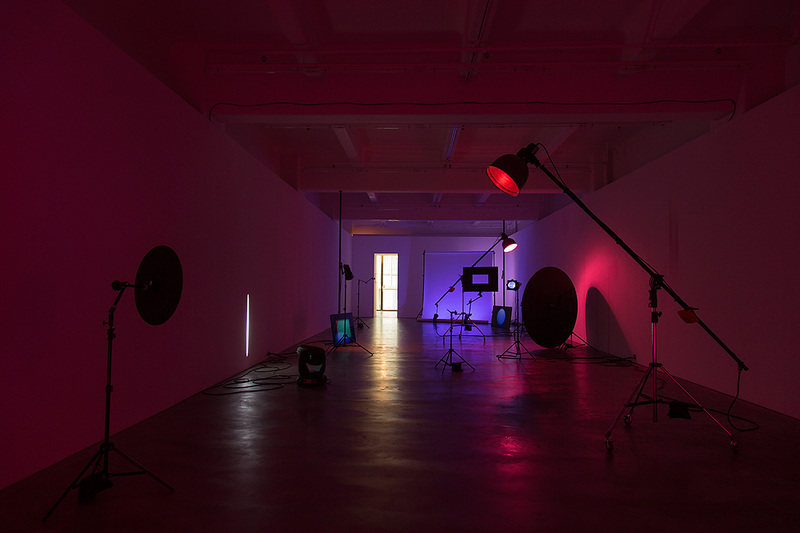 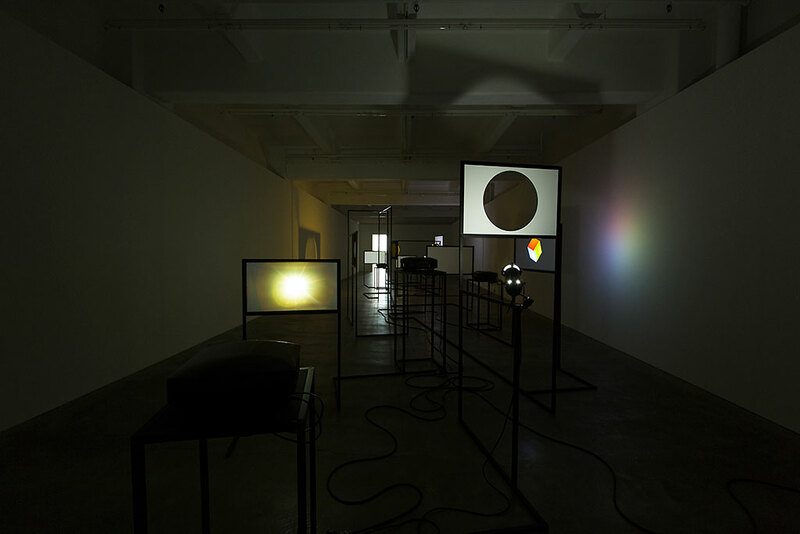 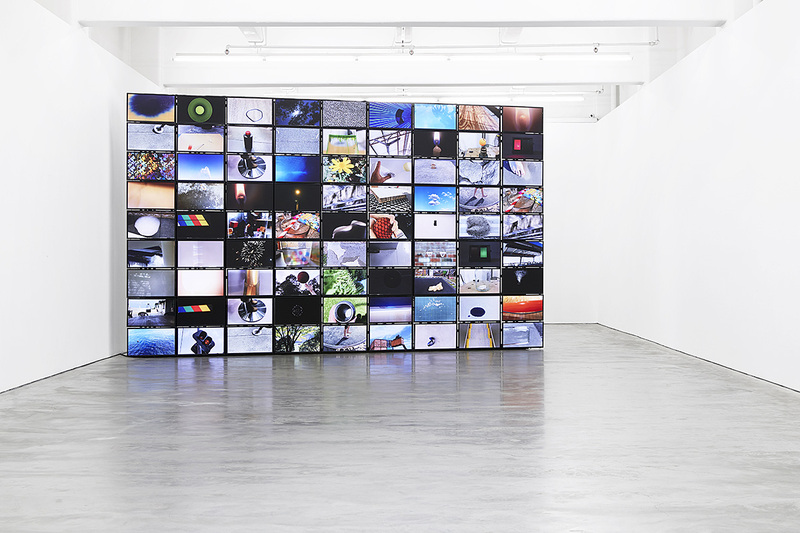 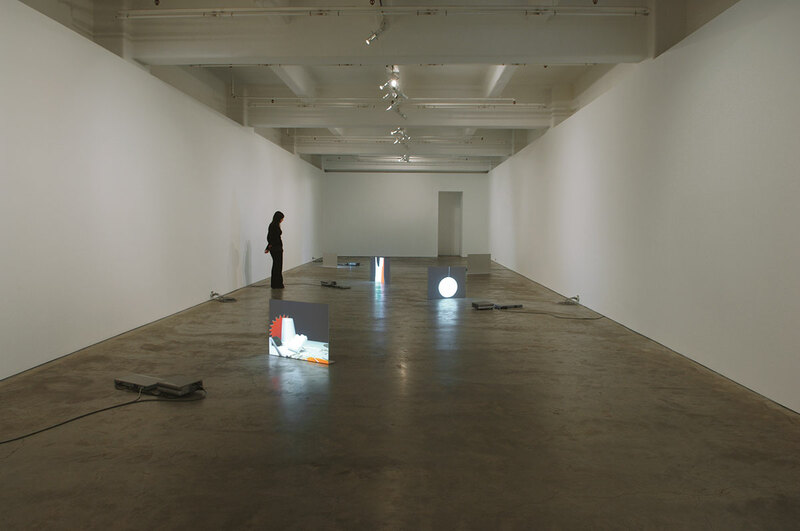 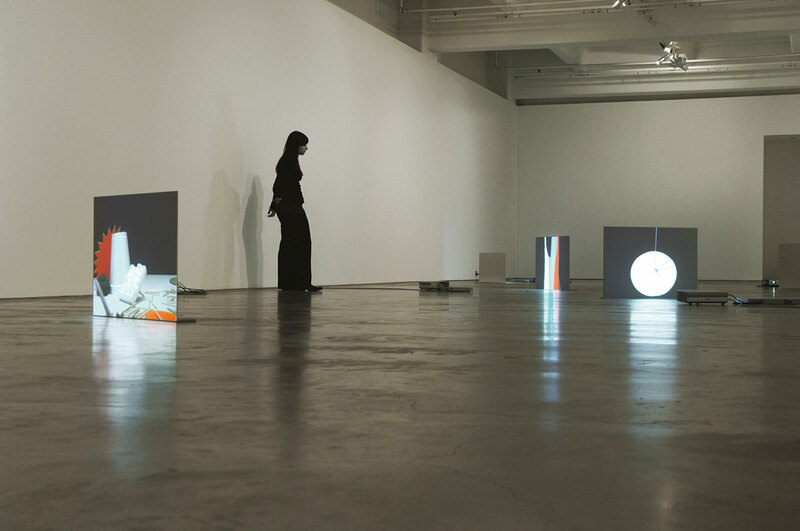 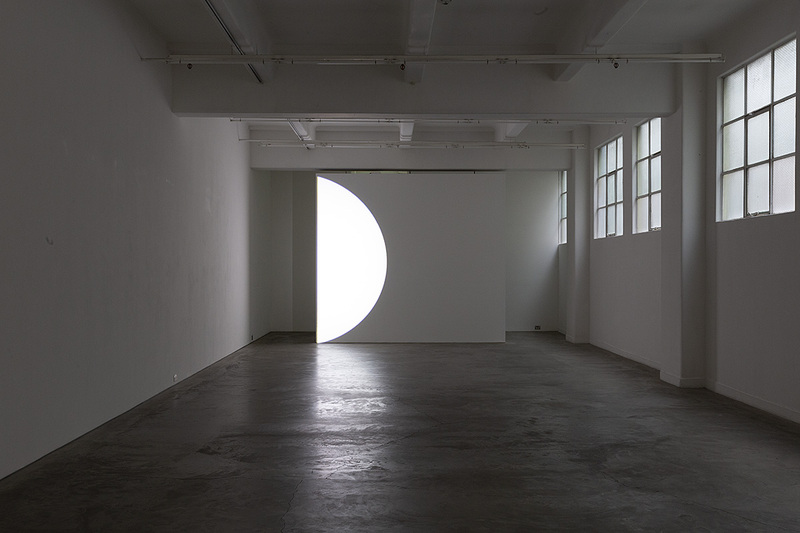 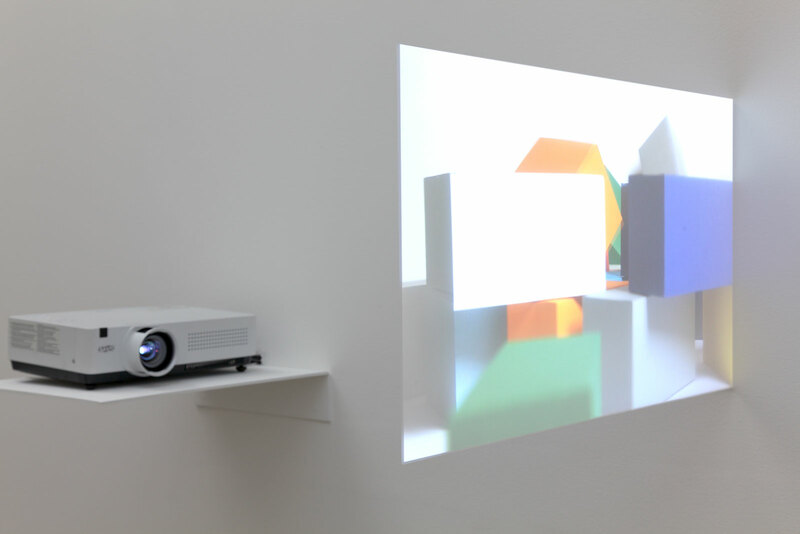 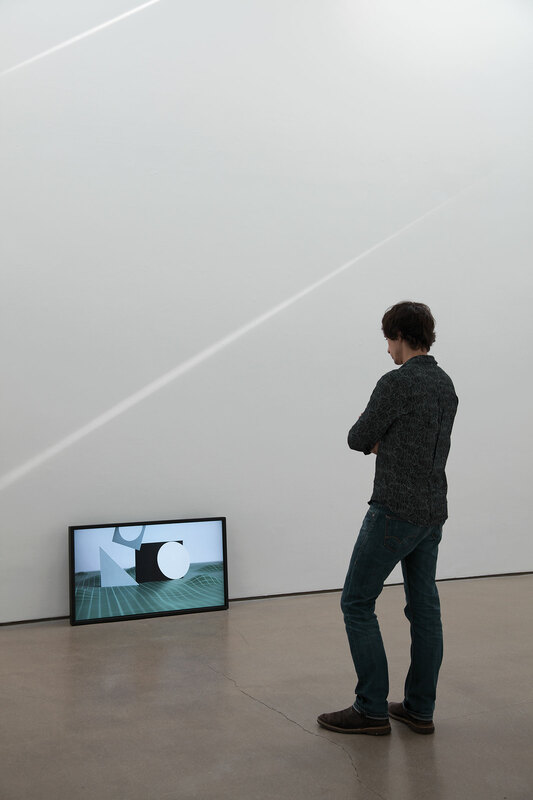 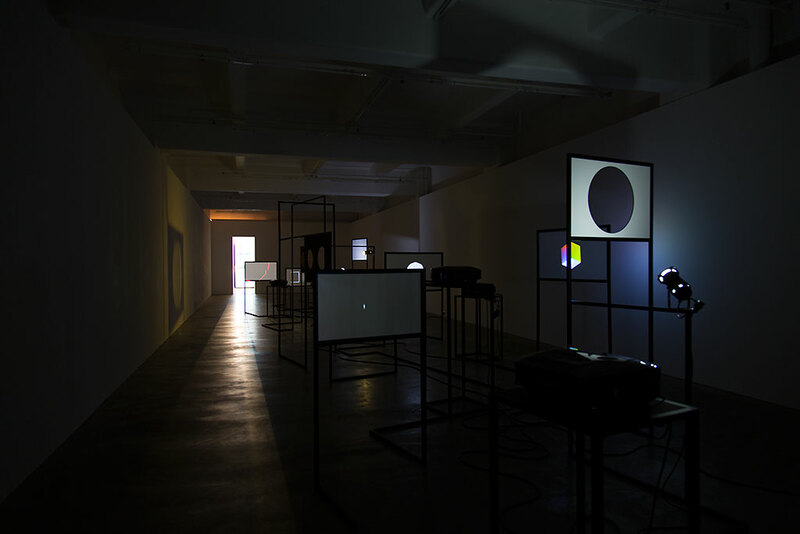 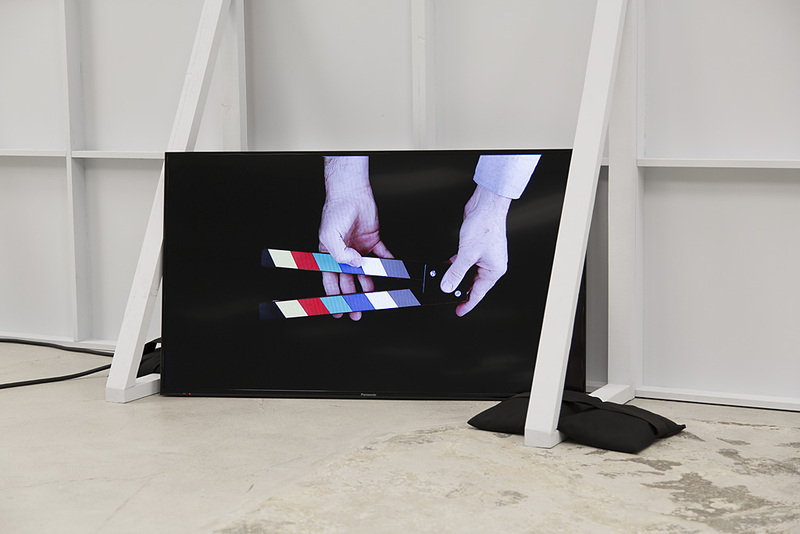 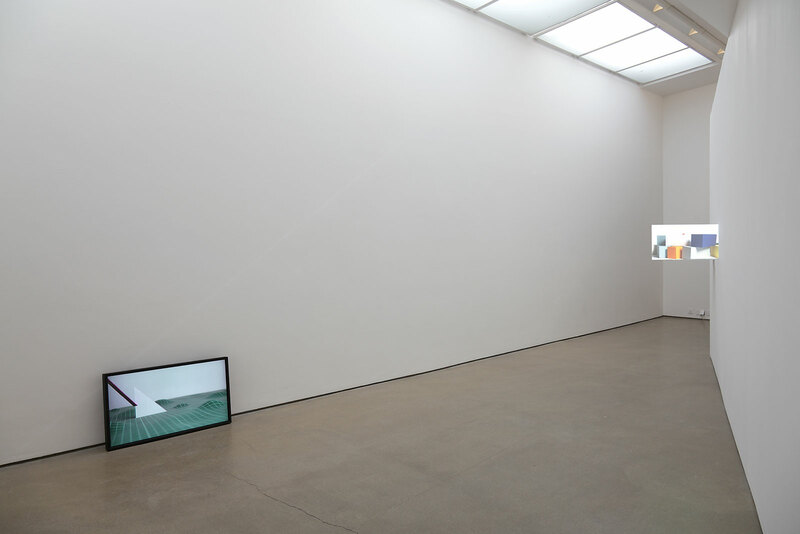 10 screen video installation, 2008, Anna Schwartz Gallery. 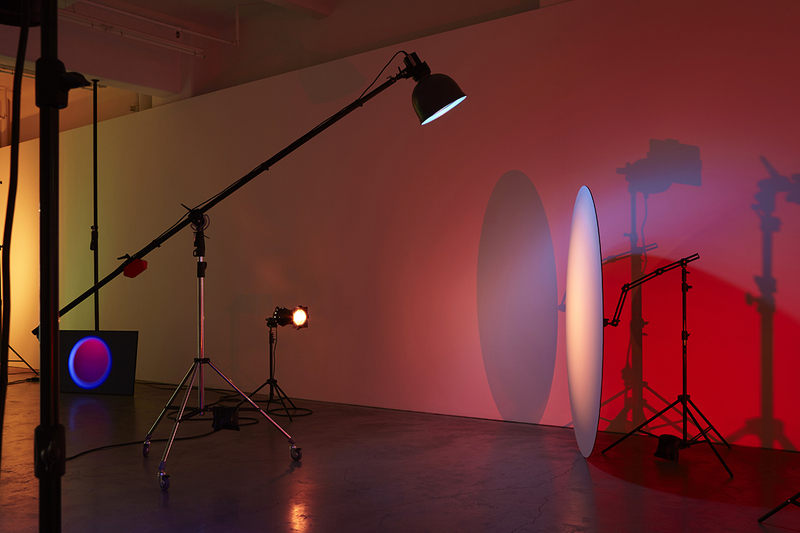 Photos: Mark Ashkanasy. 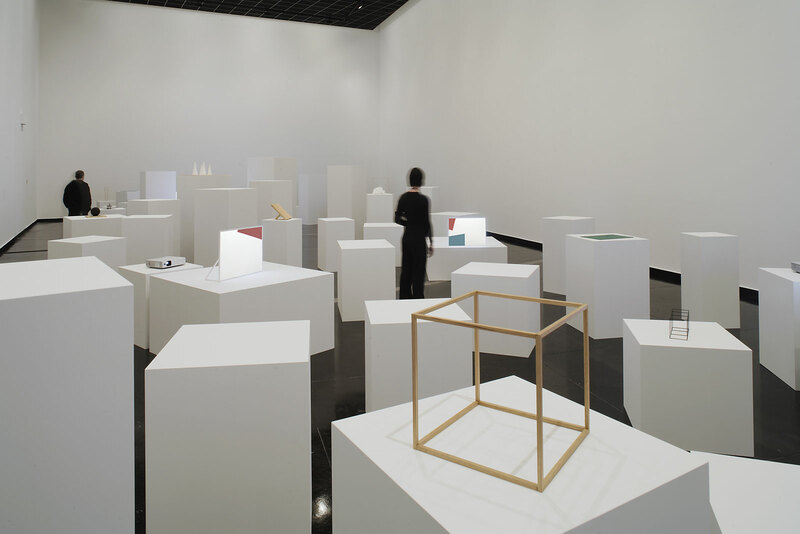 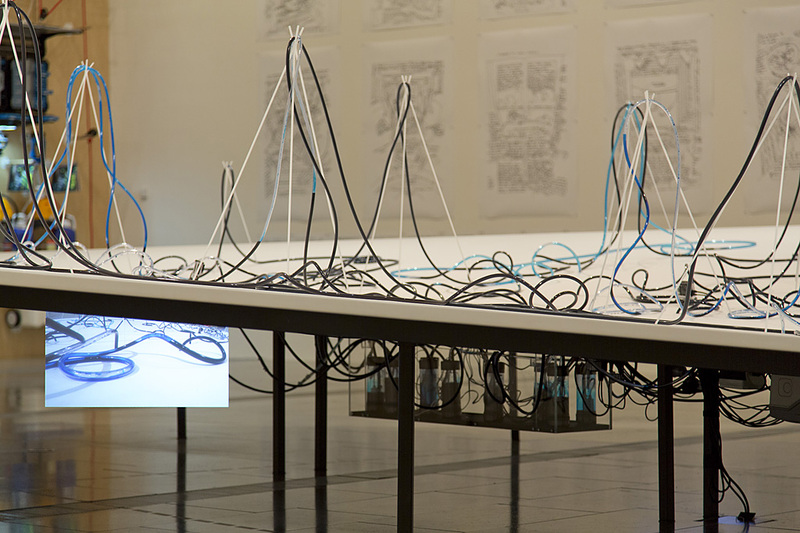 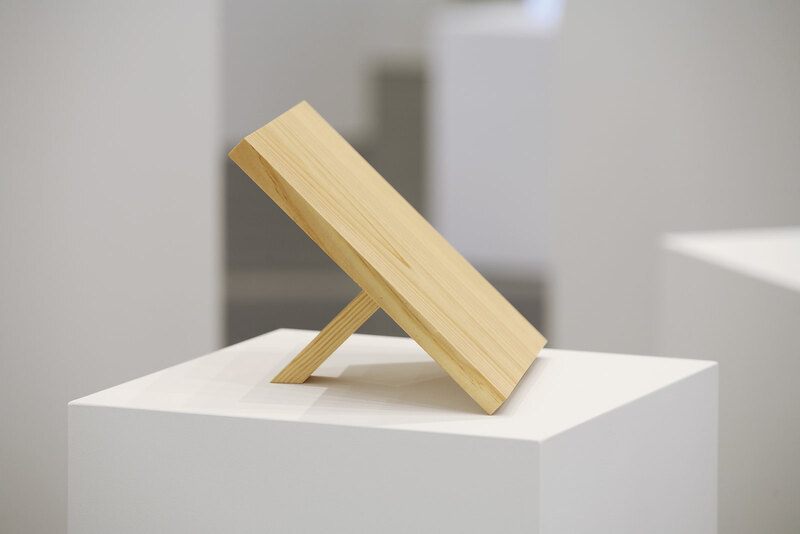 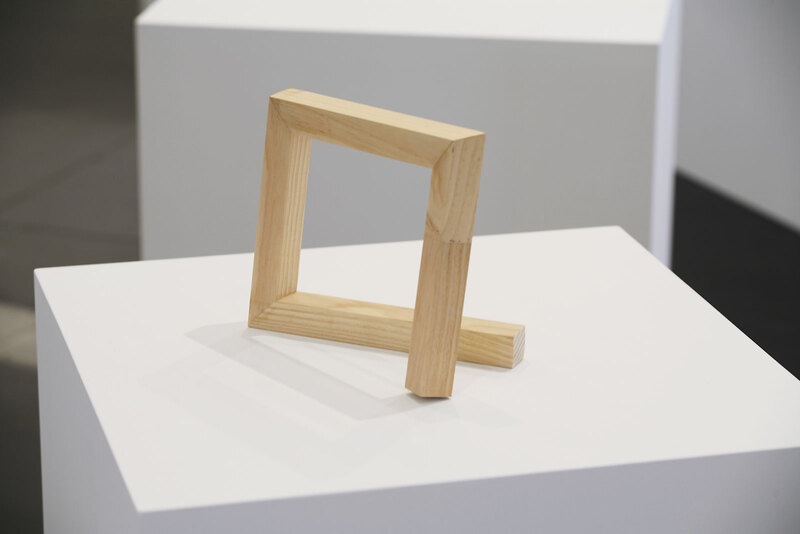 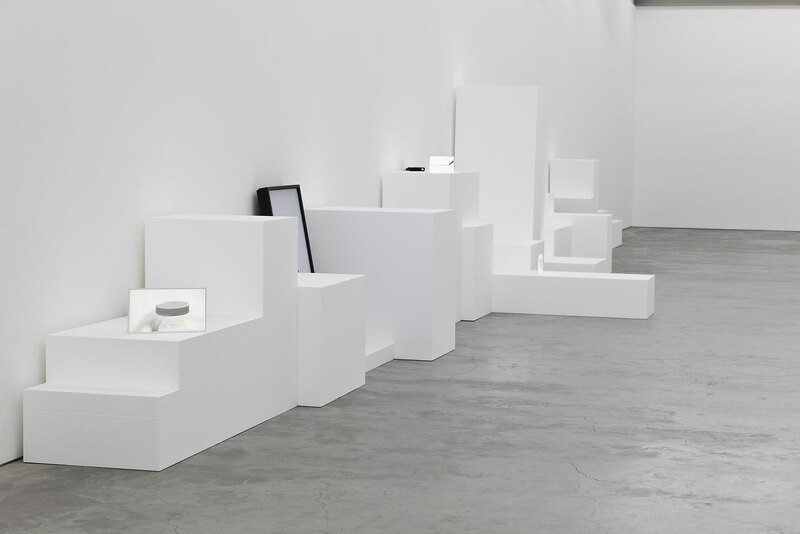 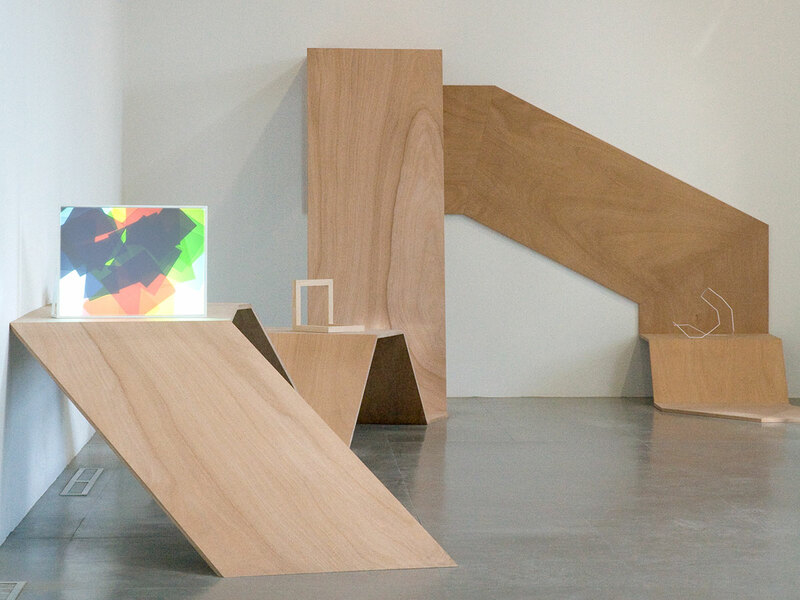 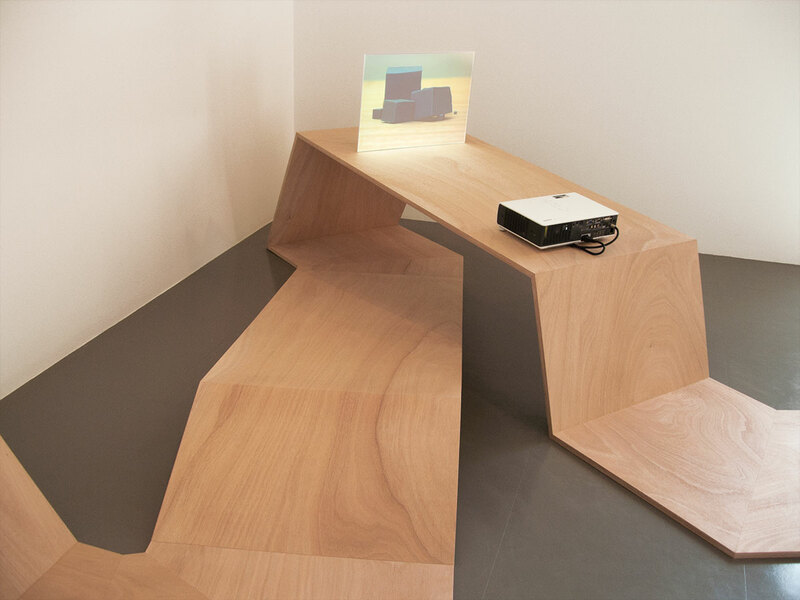 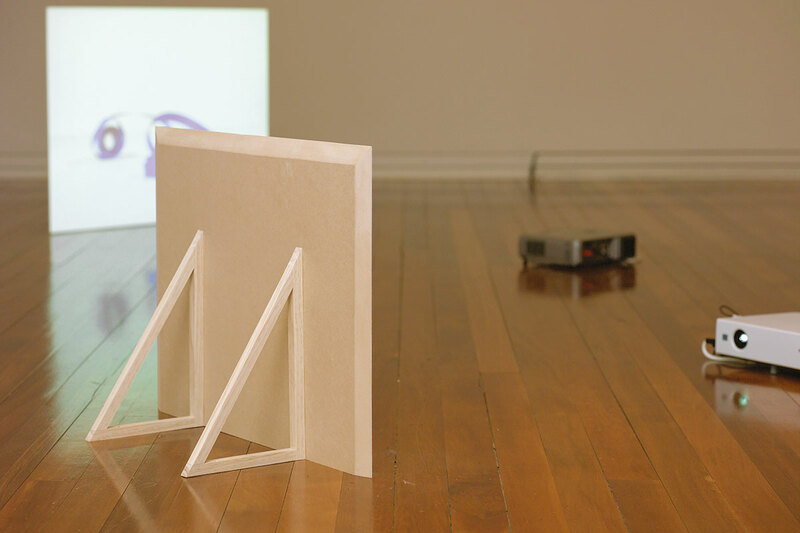 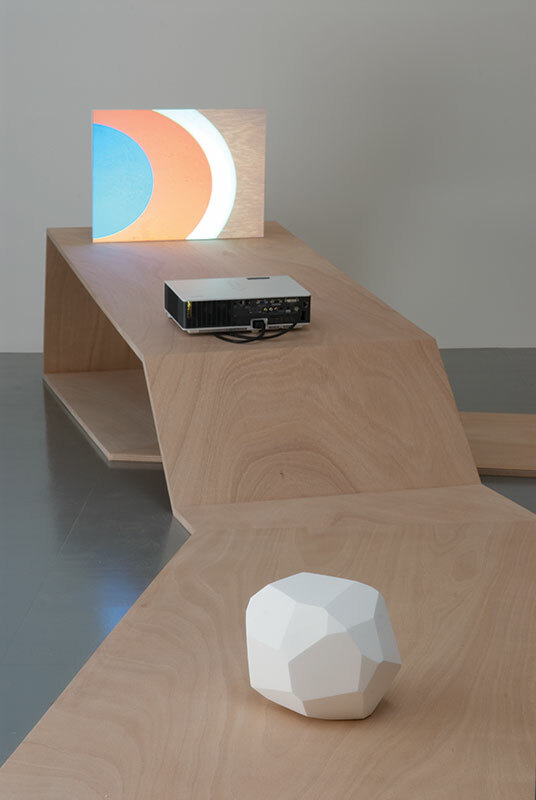 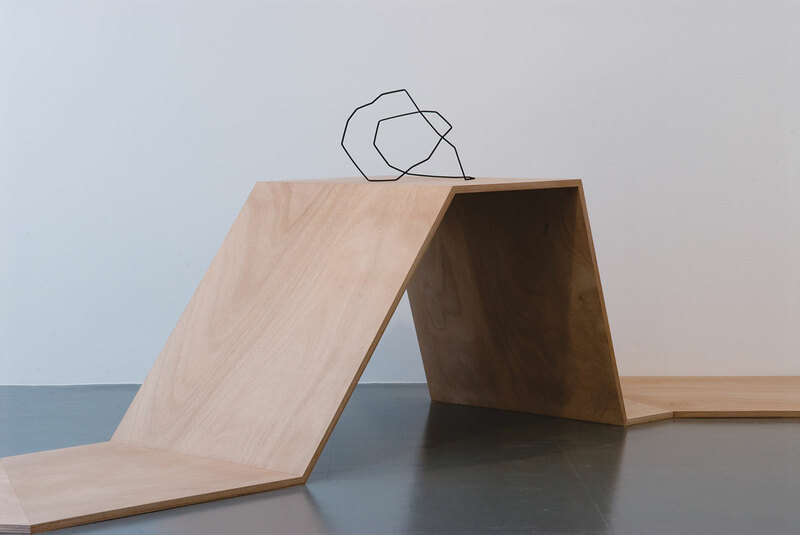 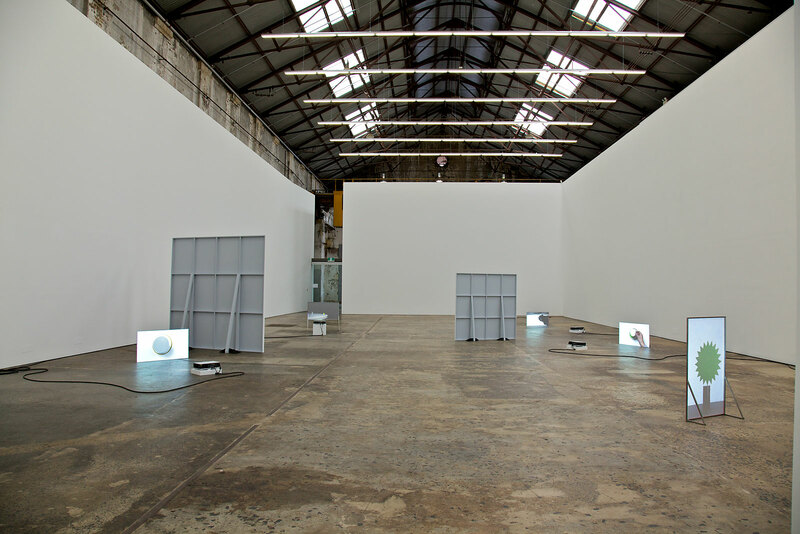 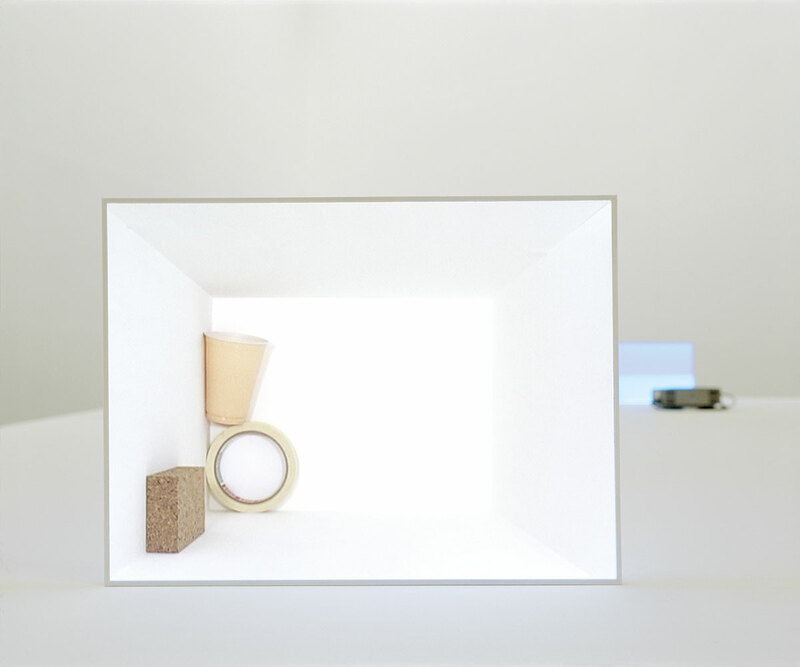 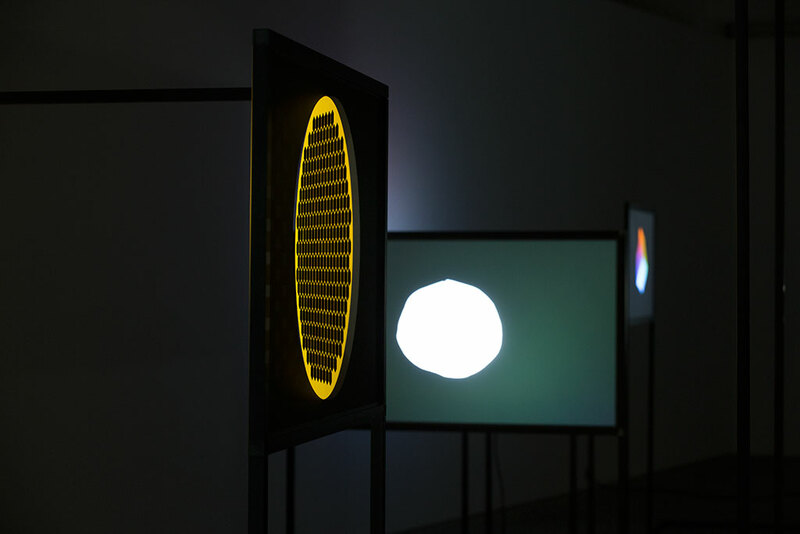 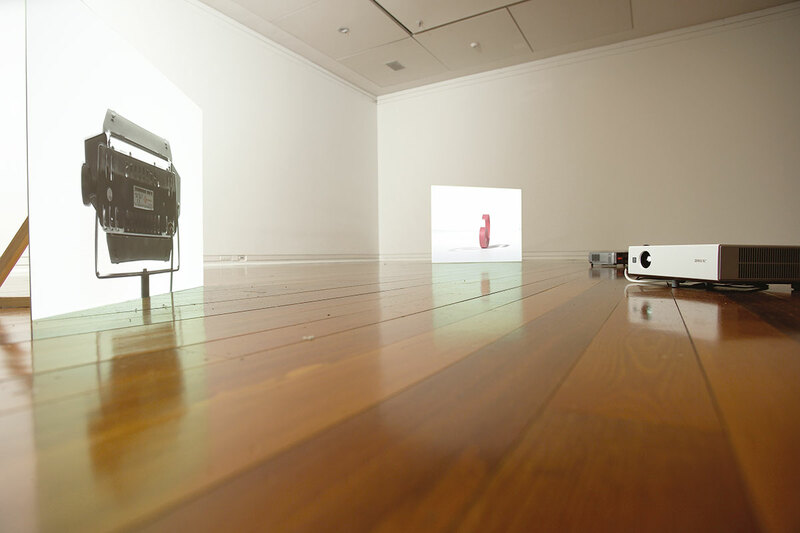 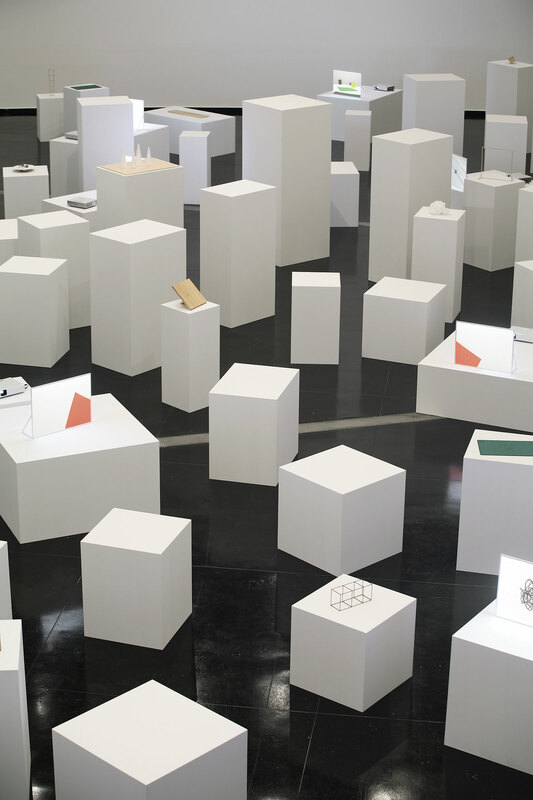 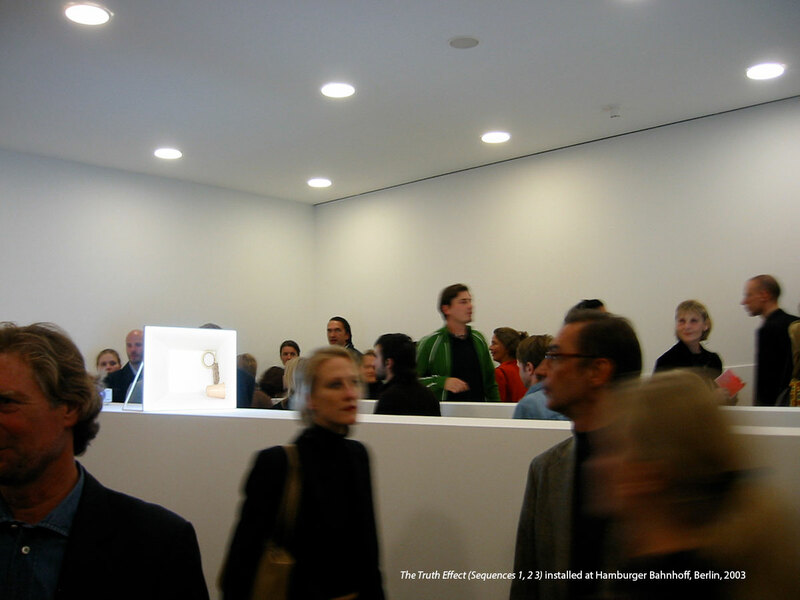 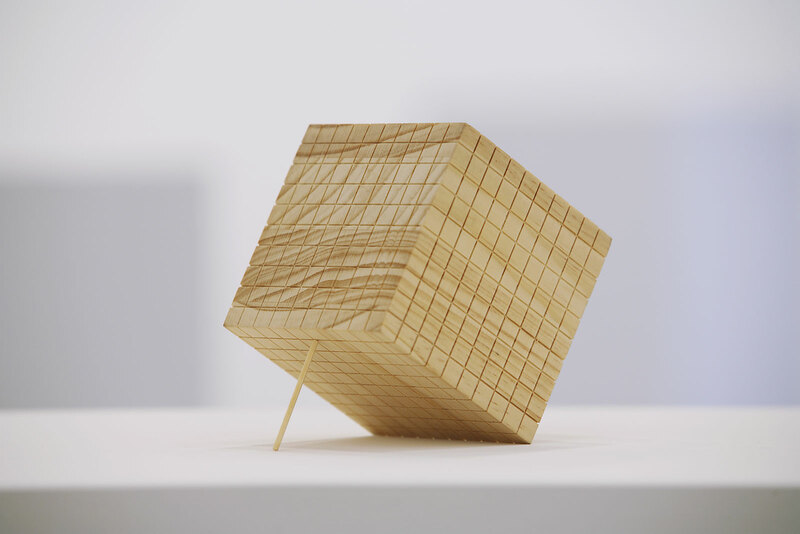 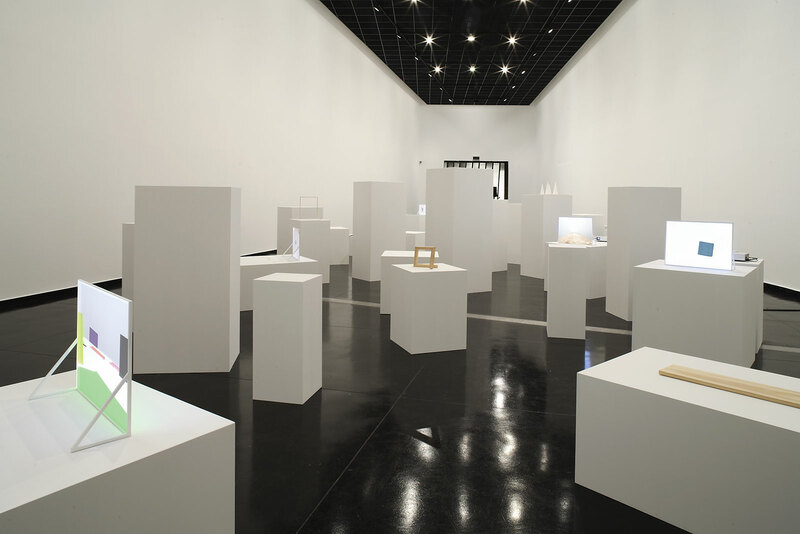 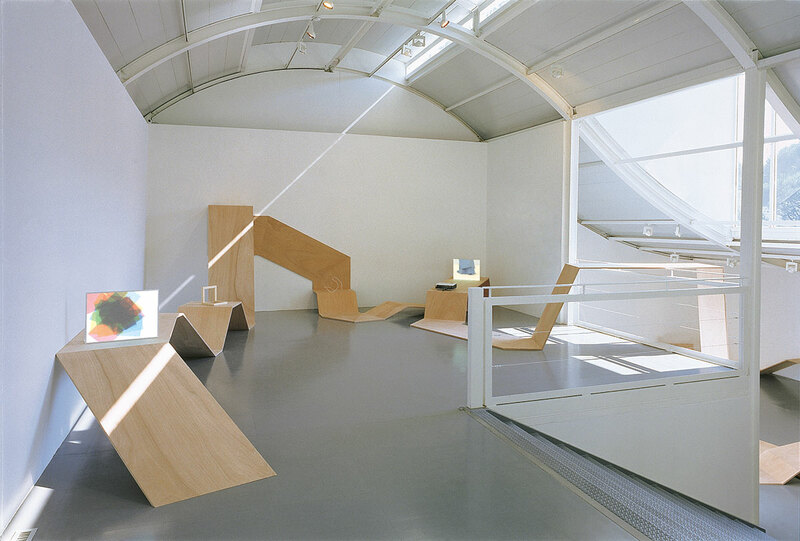 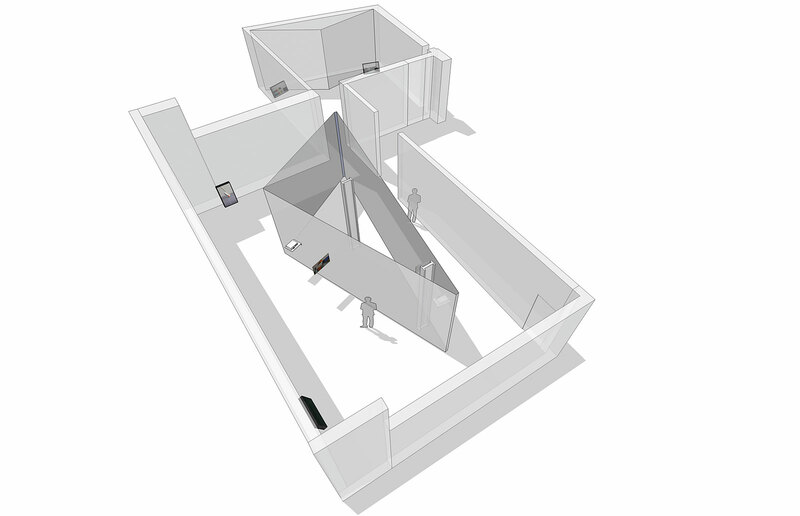 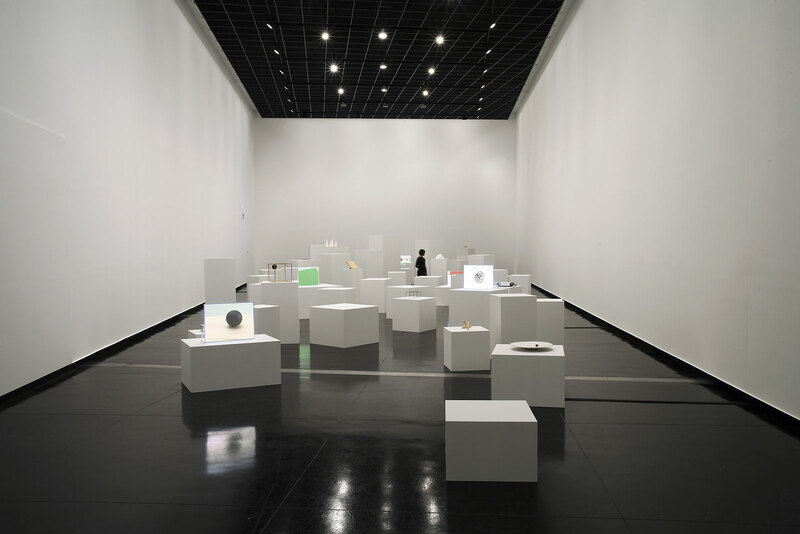 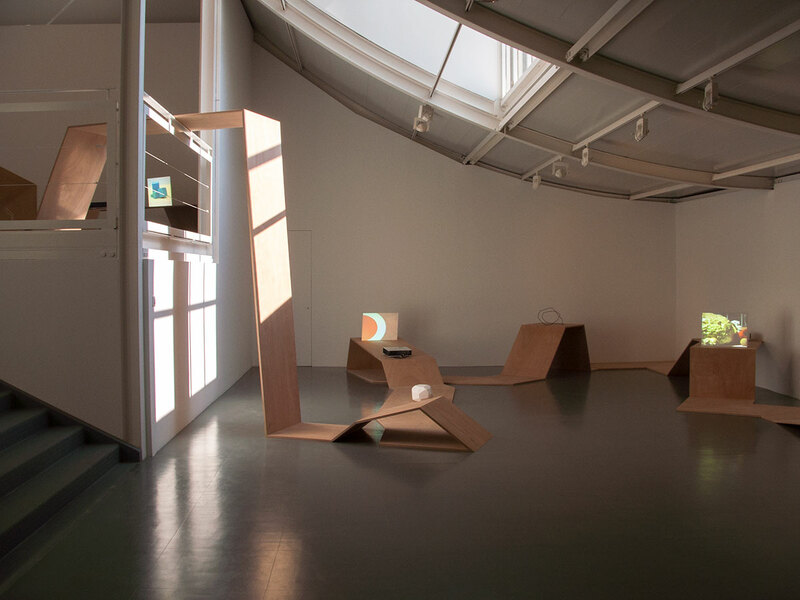 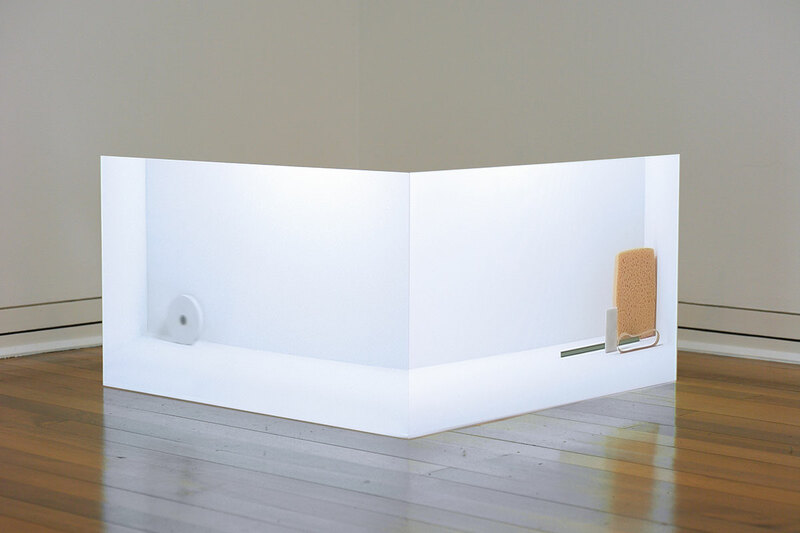 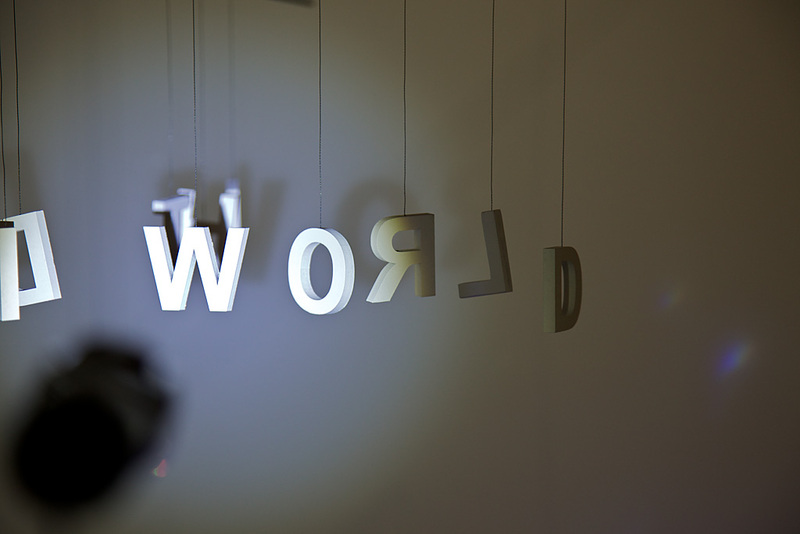 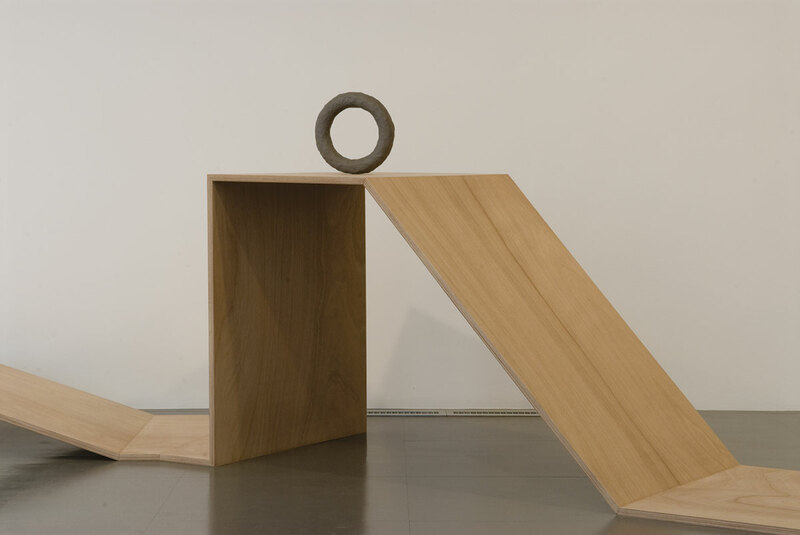 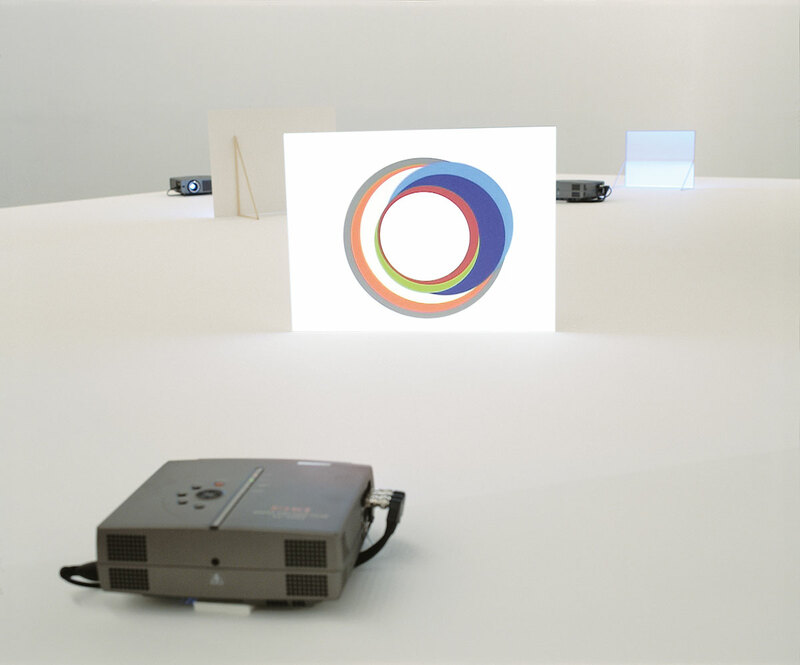 5 screen video installation with sculptural objects, custom built plywood platform, 2007, Australian Pavilion, 52nd Venice Biennale. 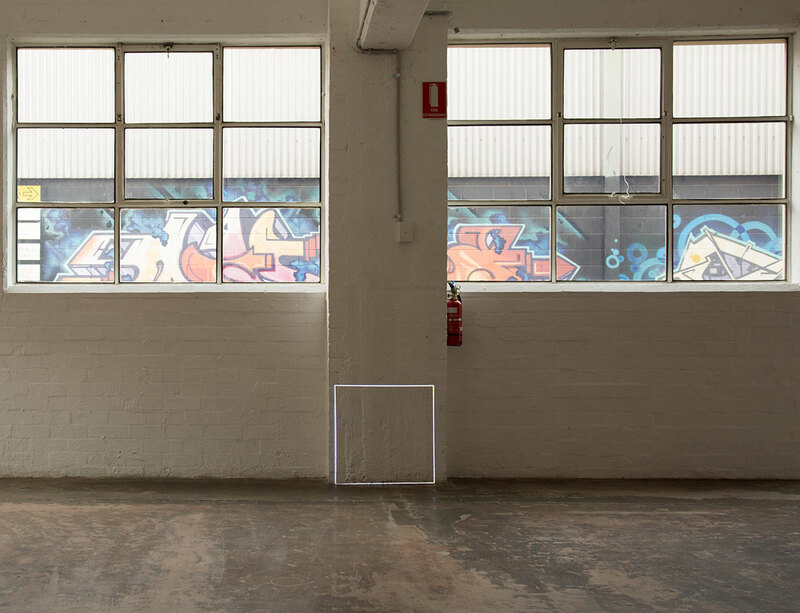 This project was supported by the Australia Council for the Arts.